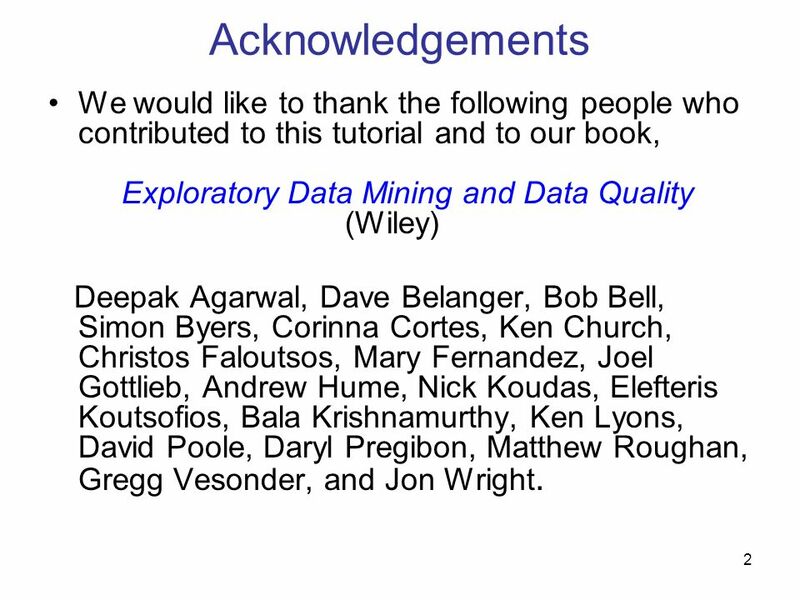 2 Acknowledgements We would like to thank the following people who contributed to this tutorial and to our book, Exploratory Data Mining and Data Quality (Wiley) Deepak Agarwal, Dave Belanger, Bob Bell, Simon Byers, Corinna Cortes, Ken Church, Christos Faloutsos, Mary Fernandez, Joel Gottlieb, Andrew Hume, Nick Koudas, Elefteris Koutsofios, Bala Krishnamurthy, Ken Lyons, David Poole, Daryl Pregibon, Matthew Roughan, Gregg Vesonder, and Jon Wright. 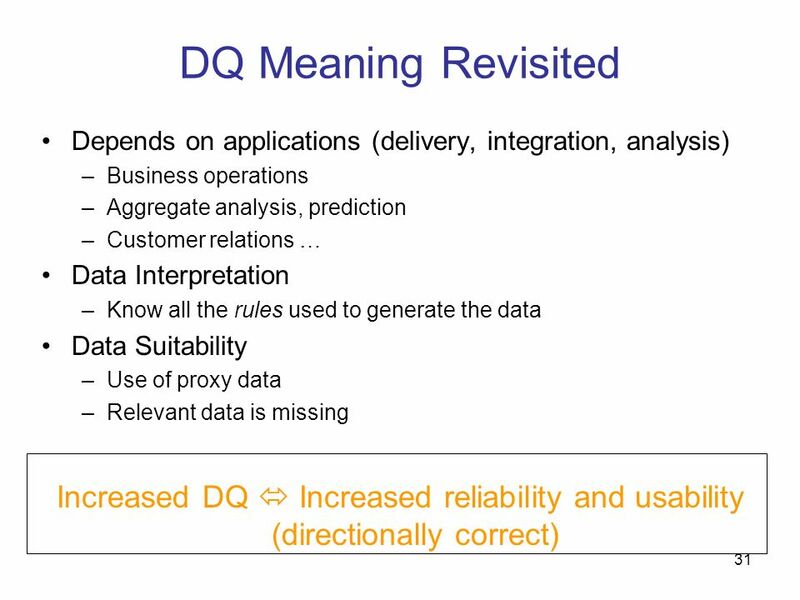 DQ is pervasive and expensive The problems are messy and unstructured Cannot be pigeonholed into clearly defined problems or disciplines As a consequence, there is very little research and few systematic solutions. 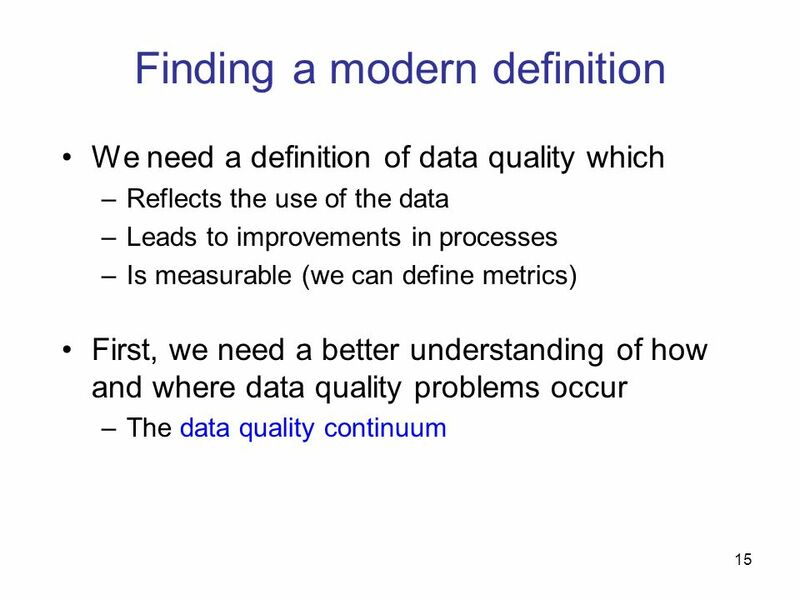 Purpose of the tutorial Define a framework for the problem of data quality, place the existing work within this structure Discuss methods for detecting, defining, measuring and resolving data quality issues Identify challenges and opportunities Make research directions clear. 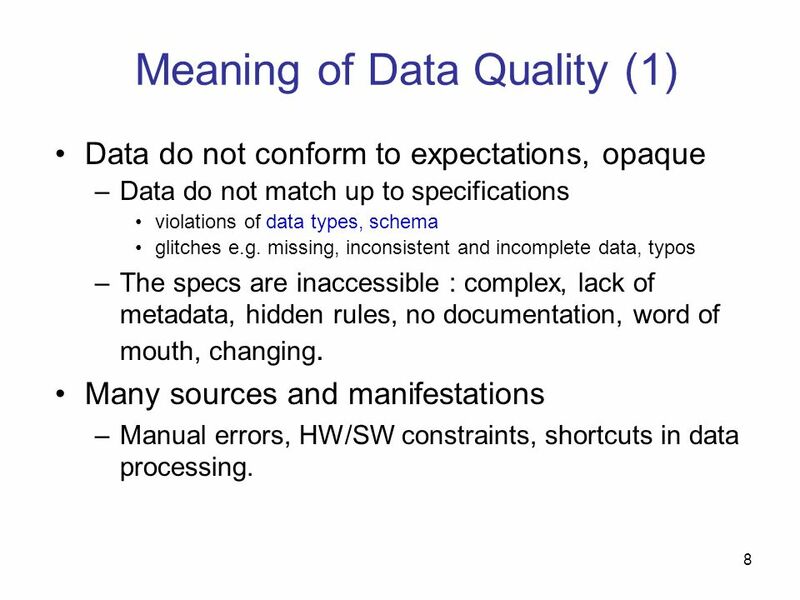 Data do not conform to expectations, opaque Data do not match up to specifications violations of data types, schema glitches e.g. 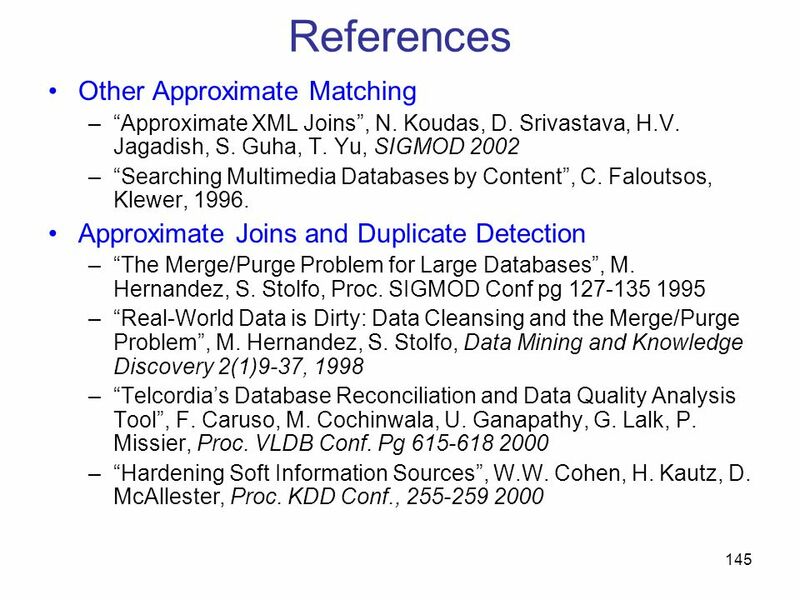 missing, inconsistent and incomplete data, typos The specs are inaccessible : complex, lack of metadata, hidden rules, no documentation, word of mouth, changing. 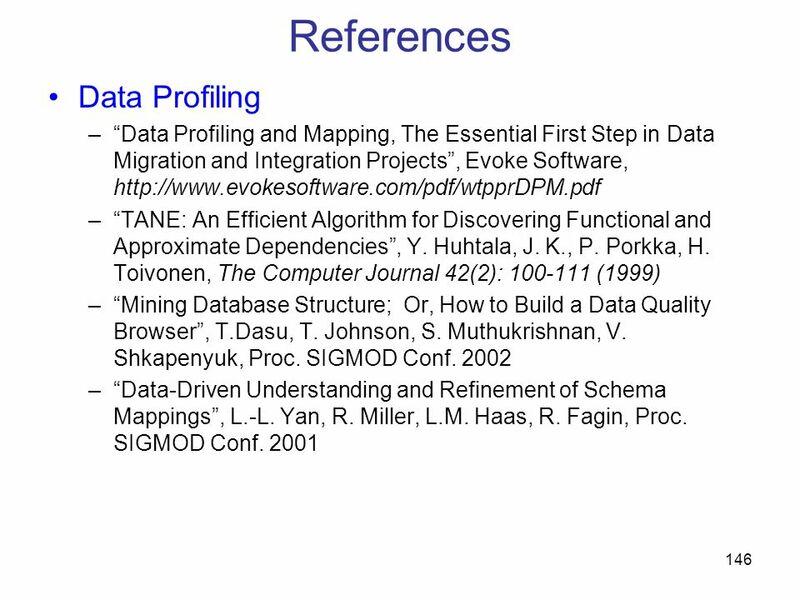 Many sources and manifestations Manual errors, HW/SW constraints, shortcuts in data processing. 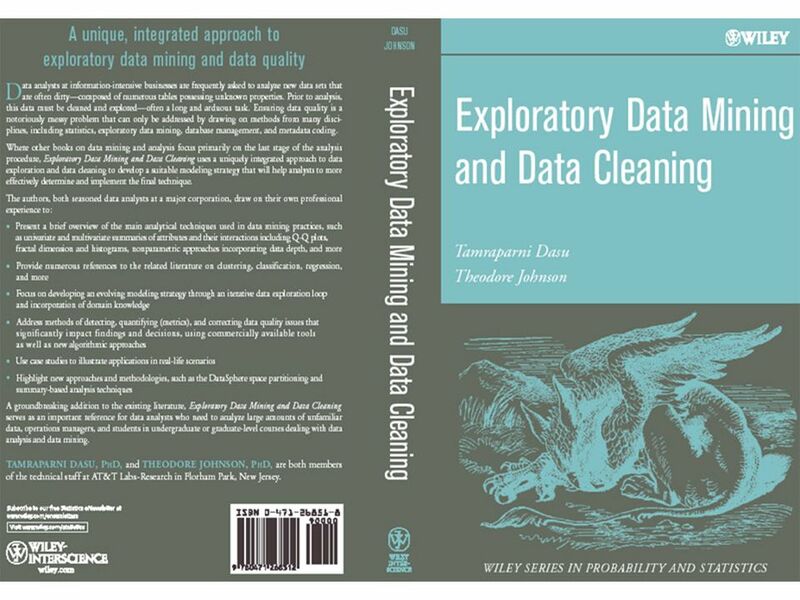 T.Das |55536o8327 |24.95|Y|- |0.0|1000 Ted J.| |2000 |N|M|NY|1000 Can we interpret the data? What do the fields mean? Units of measurement? Field three is Revenue. In dollars or cents? 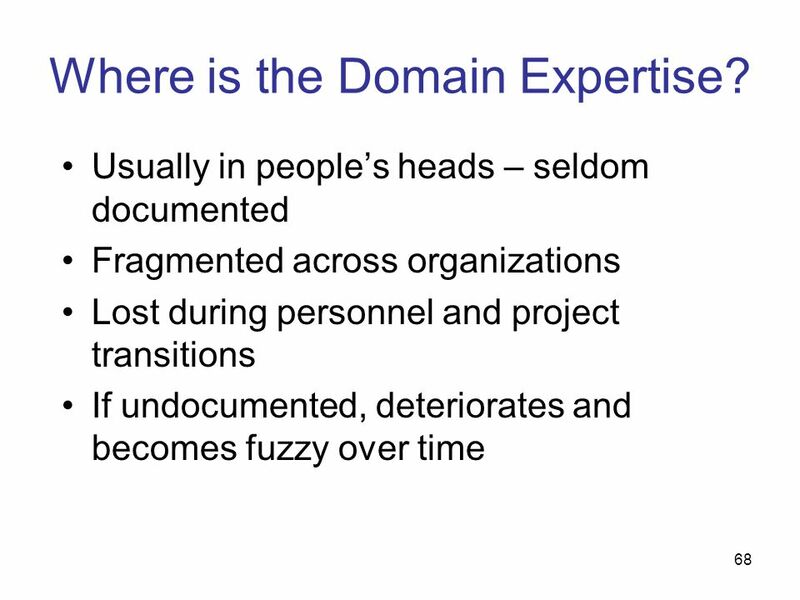 Data glitches Typos, multiple formats, missing / default values Metadata and domain expertise Field seven is Usage. Is it censored? Field 4 is a censored flag. How to handle censored data? 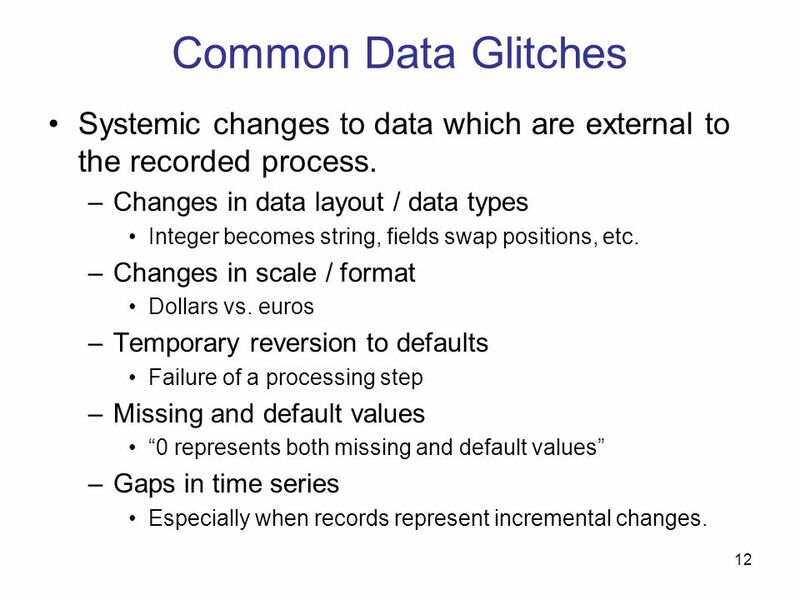 12 Common Data Glitches Systemic changes to data which are external to the recorded process. 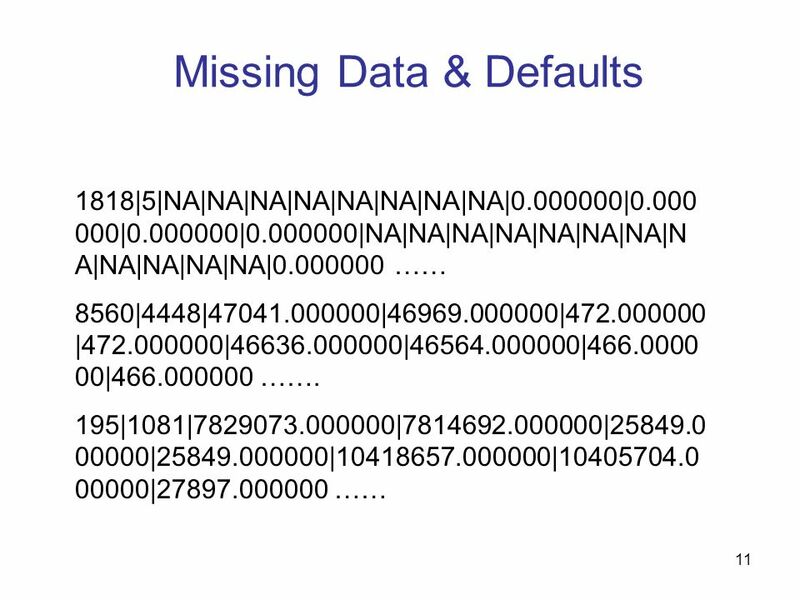 Changes in data layout / data types Integer becomes string, fields swap positions, etc. 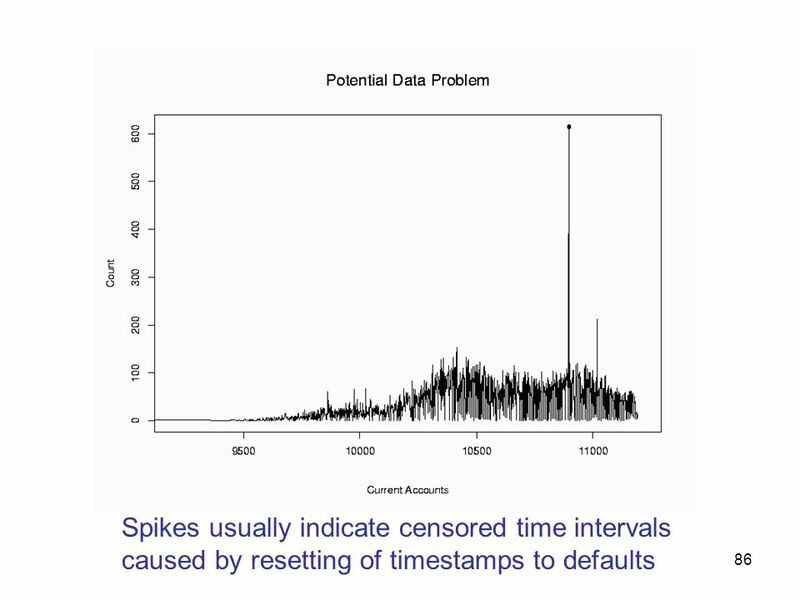 Changes in scale / format Dollars vs. euros Temporary reversion to defaults Failure of a processing step Missing and default values “0 represents both missing and default values” Gaps in time series Especially when records represent incremental changes. Accuracy The data was recorded correctly. 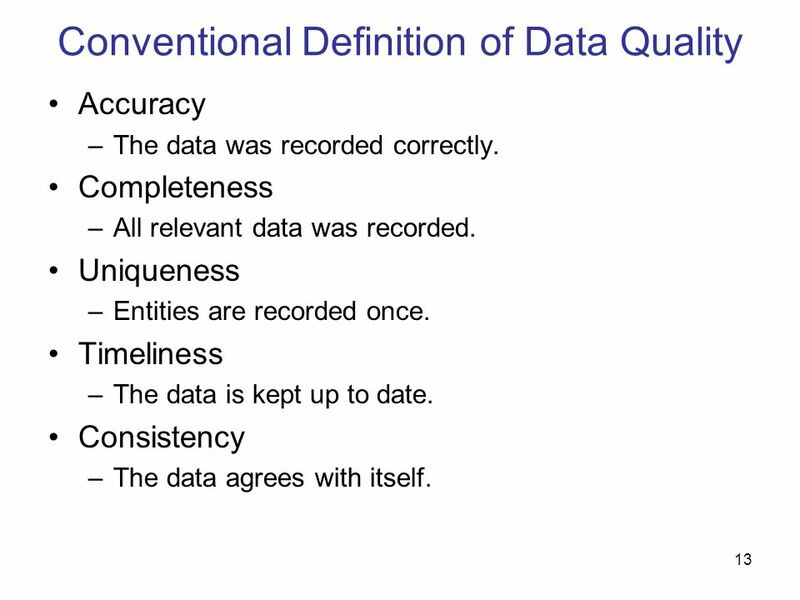 Completeness All relevant data was recorded. 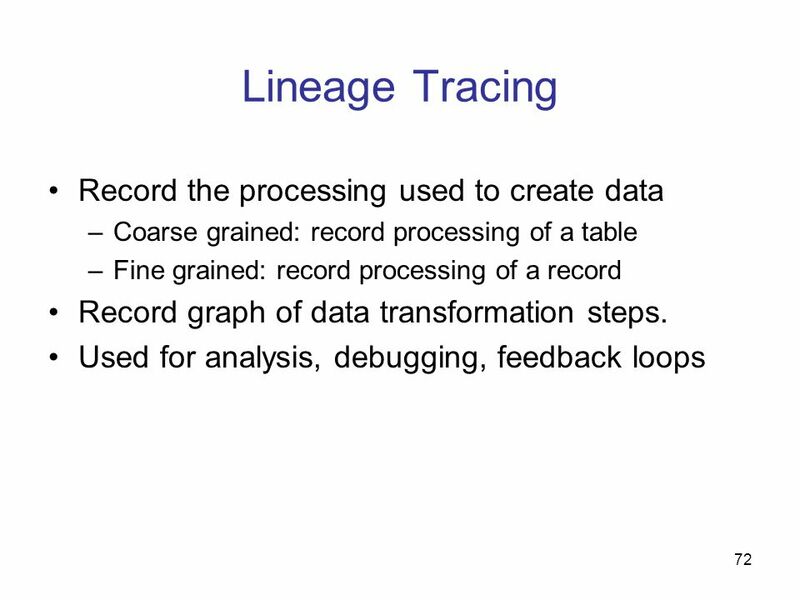 Uniqueness Entities are recorded once. Timeliness The data is kept up to date. 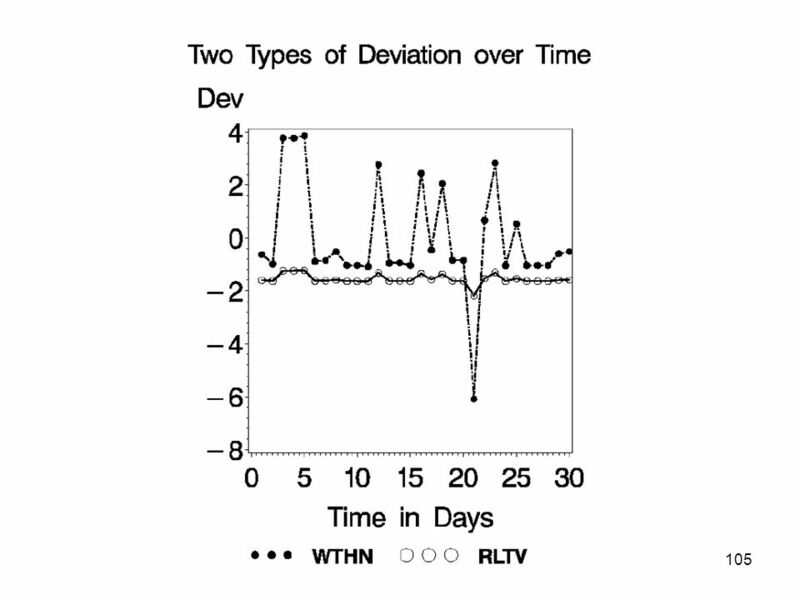 Consistency The data agrees with itself. Accuracy and completeness are difficult, perhaps impossible to measure. Rigid and static Context independent No accounting for what is important. 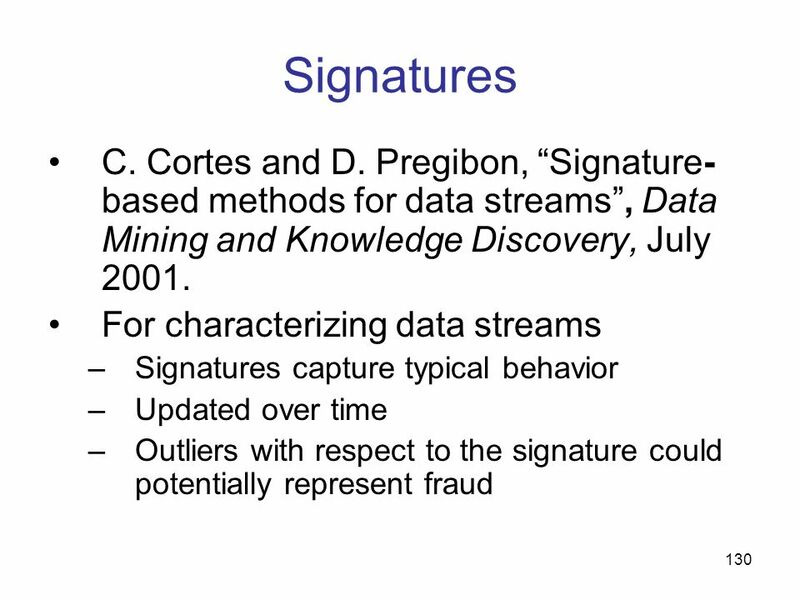 Aggregates can tolerate inaccuracies but signatures cannot Incomplete: interpretability, accessibility, metadata, relevance to analysis, etc.? 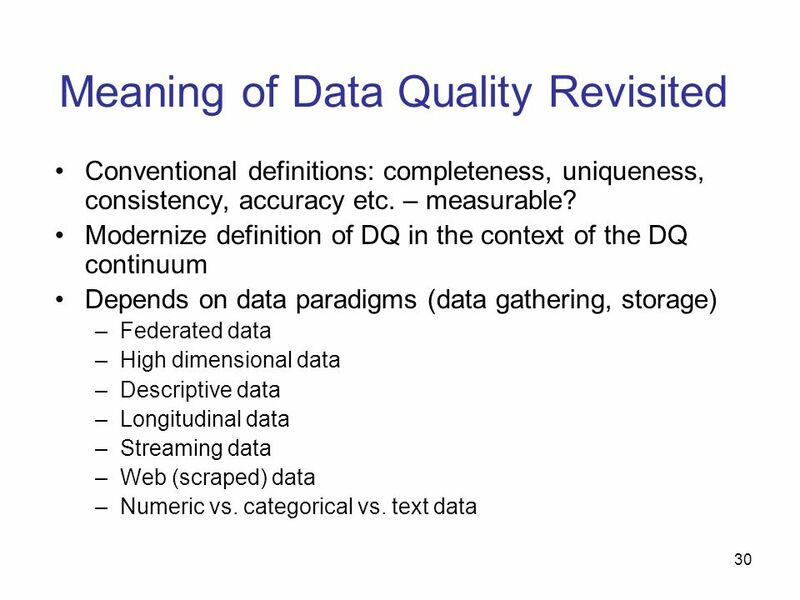 Vague The conventional definitions provide no guidance towards practical improvements of the data. 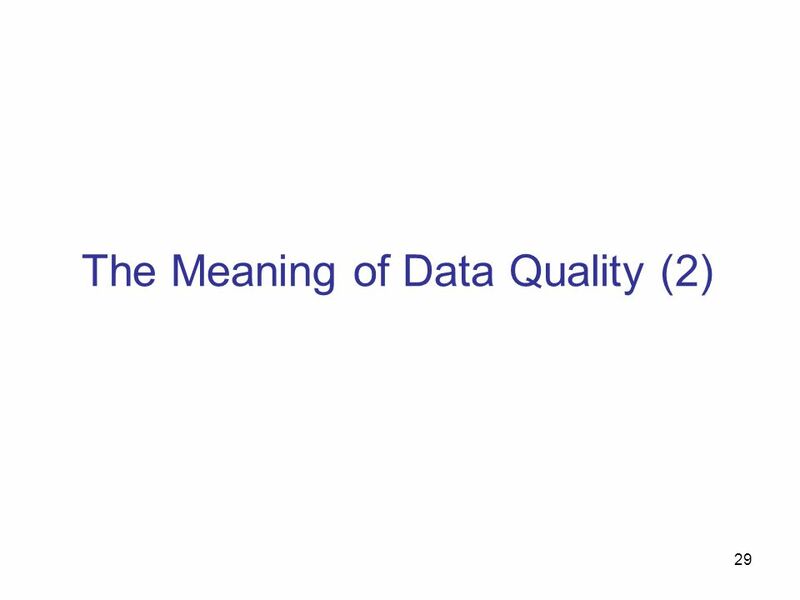 17 Data Gathering How does the data enter the system? 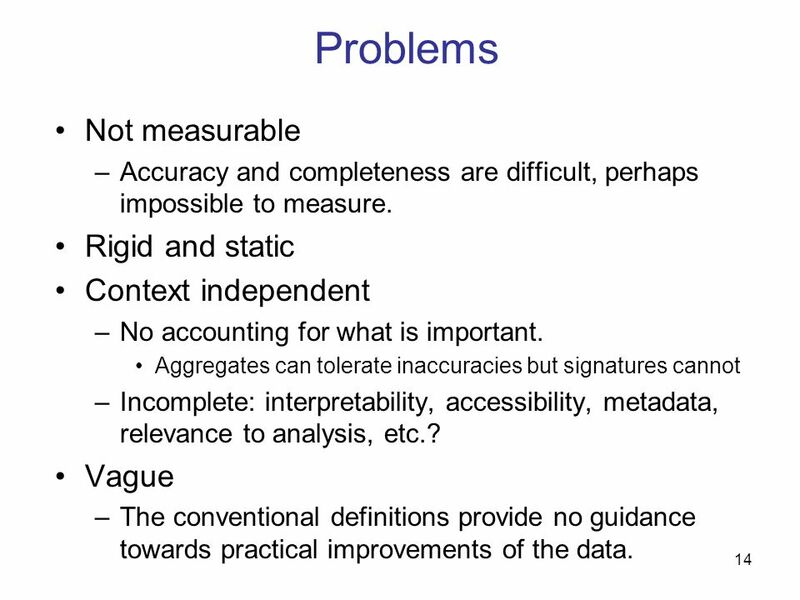 Sources of problems: Manual entry No uniform standards for content and formats Parallel data entry (duplicates) Approximations, surrogates – SW/HW constraints Measurement errors. 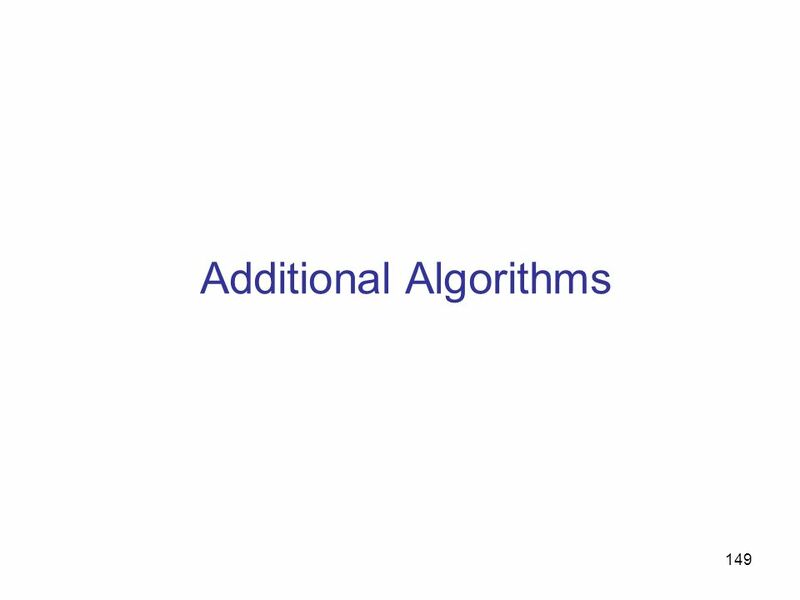 hops Destroying or mutilating information by inappropriate pre-processing Inappropriate aggregation Nulls converted to default values Loss of data: Buffer overflows Transmission problems No checks Did all the files arrive in their entirety? 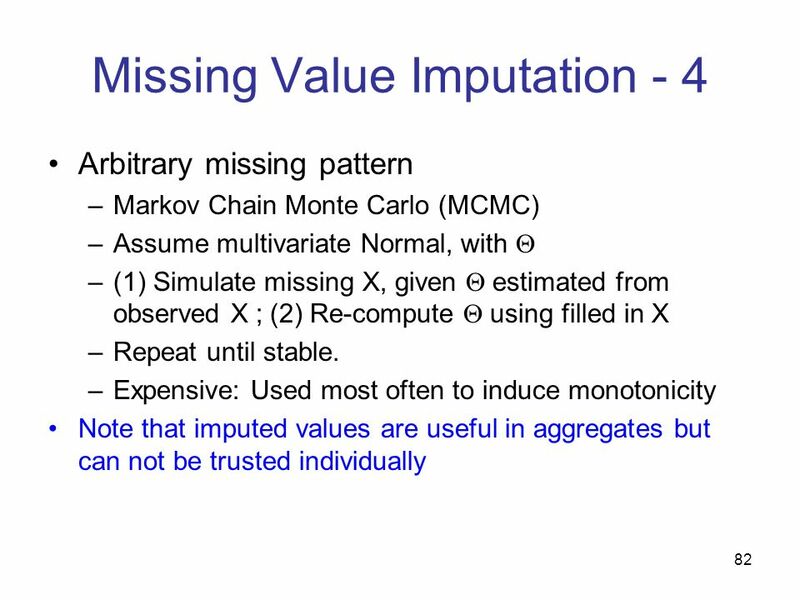 Use a relay server Verification Checksums, verification parser Do the uploaded files fit an expected pattern? 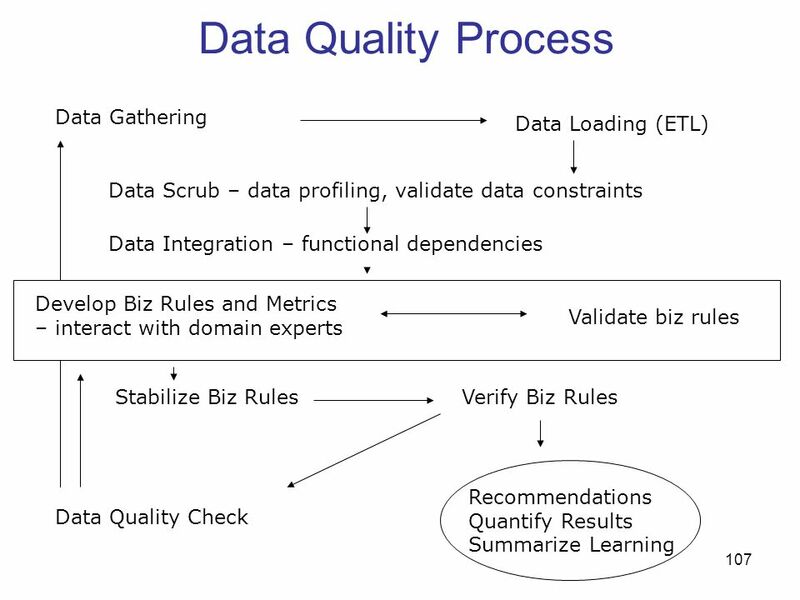 Relationships Are there dependencies between data streams and processing steps Interface agreements Data quality commitment from the data stream supplier. 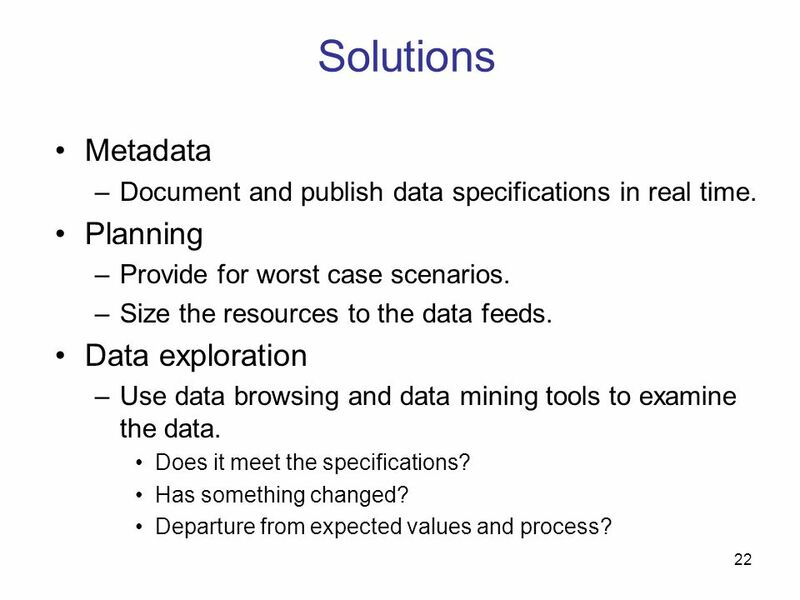 Document and publish data specifications in real time. Planning Provide for worst case scenarios. 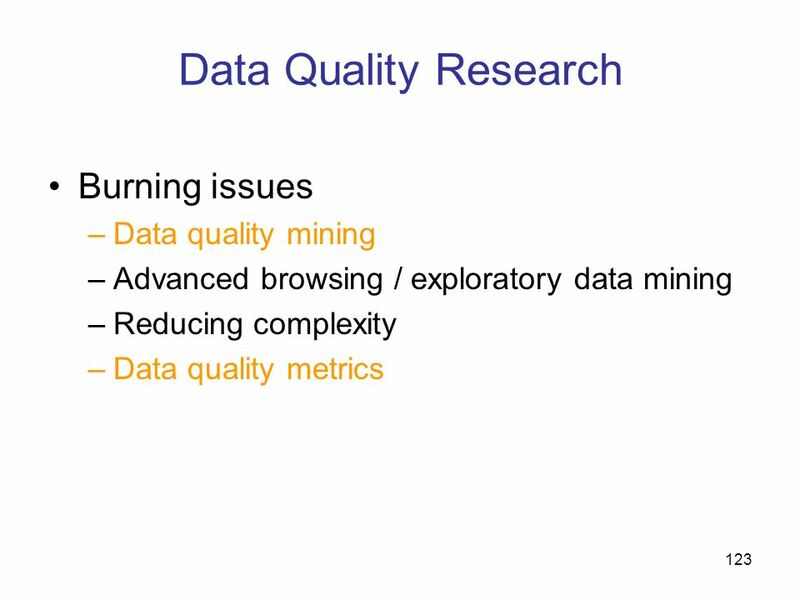 Size the resources to the data feeds. 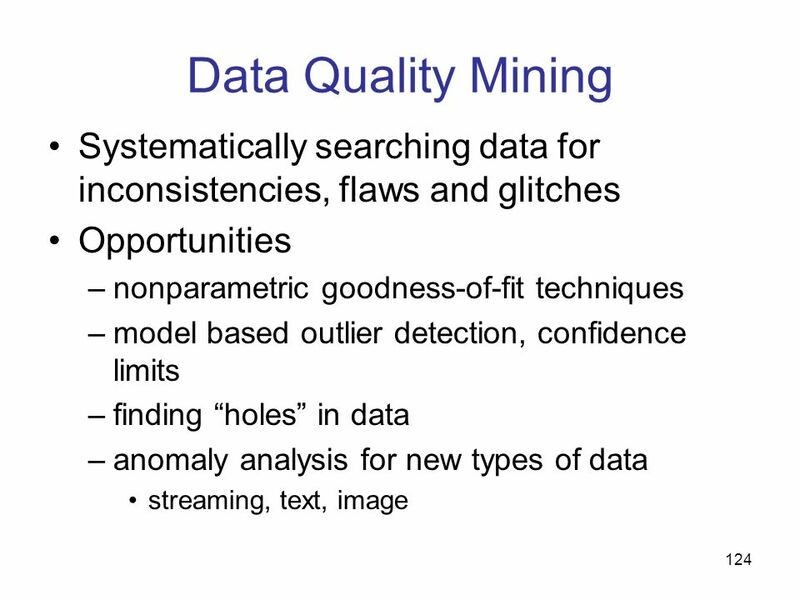 Data exploration Use data browsing and data mining tools to examine the data. Does it meet the specifications? Has something changed? 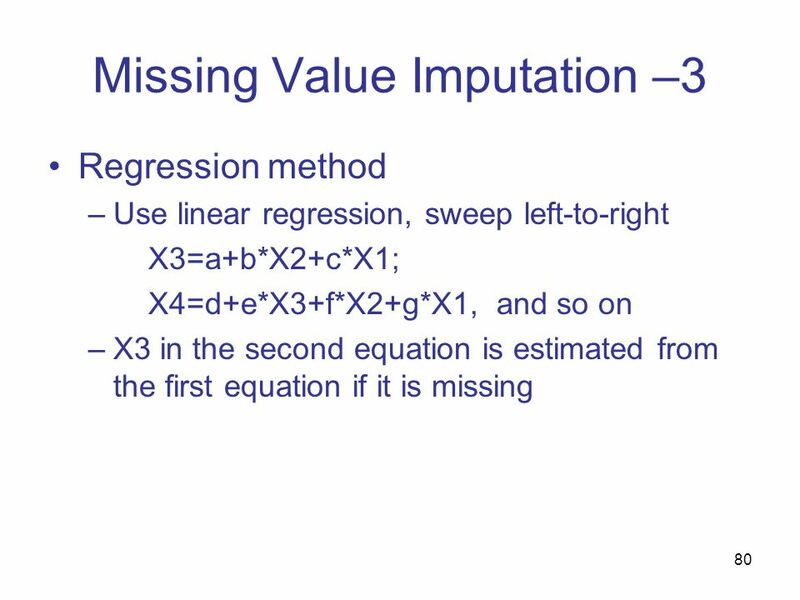 Departure from expected values and process? 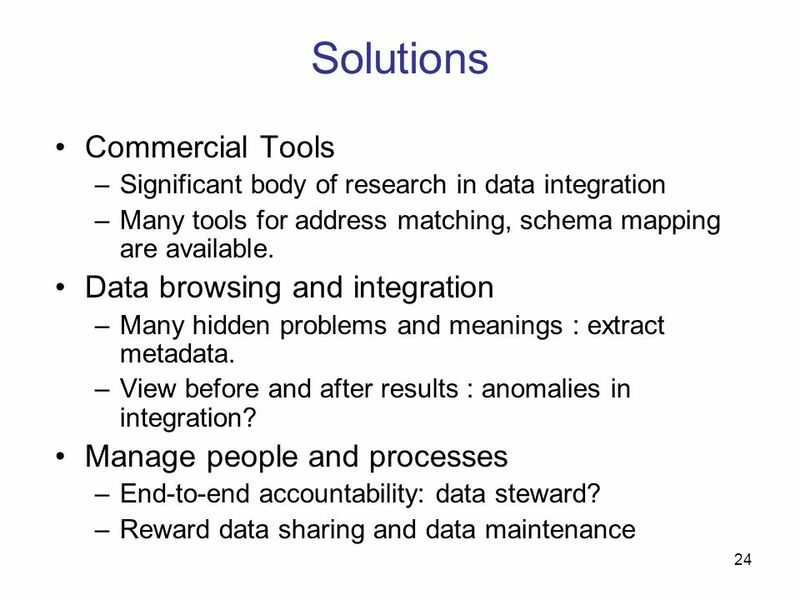 23 Data Integration Combine data sets (acquisitions, across departments). 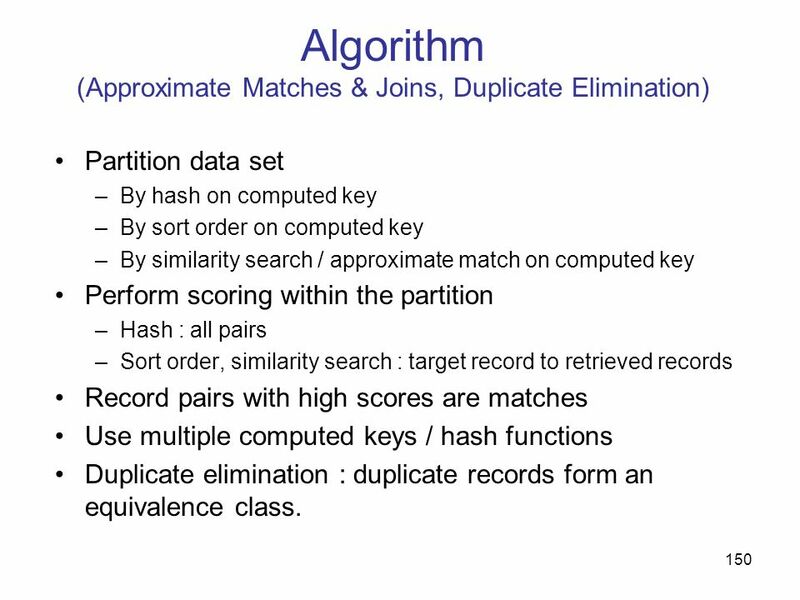 Common source of problems Heterogeneous data : no common key, different field formats Approximate matching (e.g., names and addresses) Different definitions What is a customer: an account, an individual, a contract … Time synchronization Does the data relate to the same time periods? Are the time windows compatible? 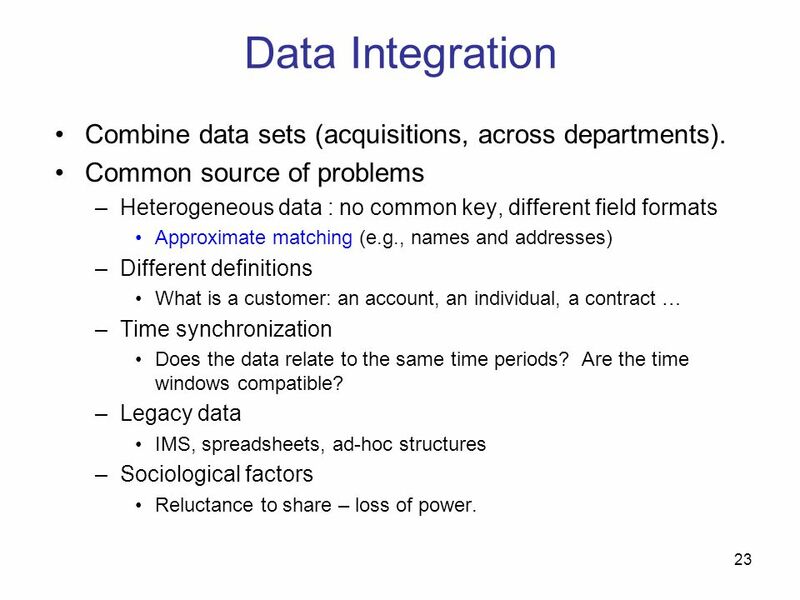 Legacy data IMS, spreadsheets, ad-hoc structures Sociological factors Reluctance to share – loss of power. 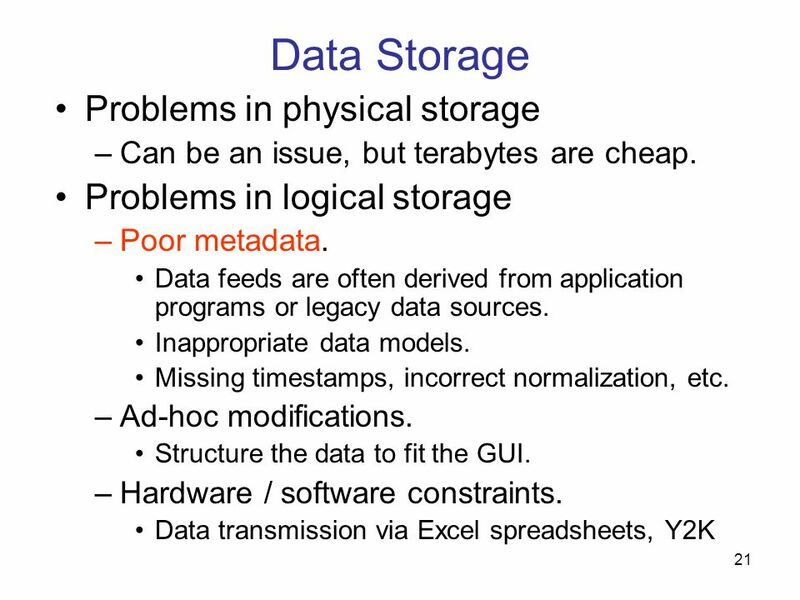 25 Data Retrieval Exported data sets are often an extract of the actual data. 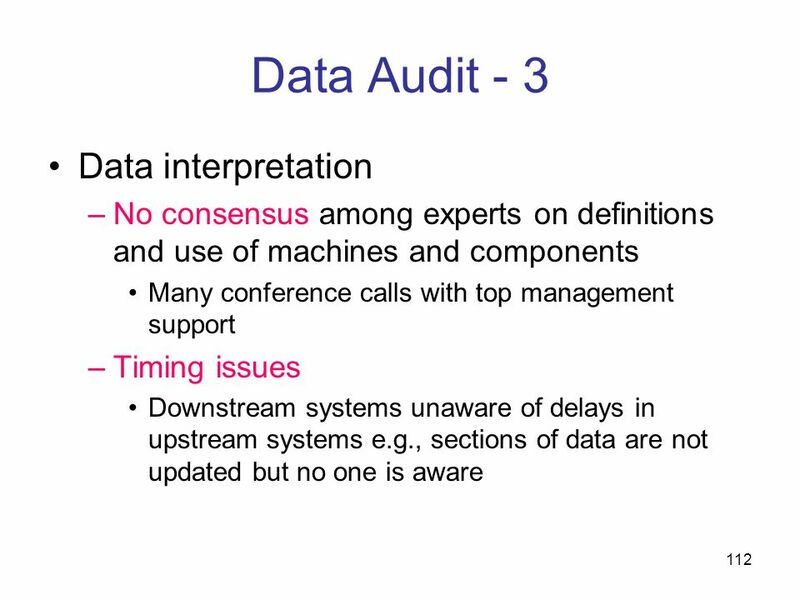 Problems occur because: Source data not properly understood. 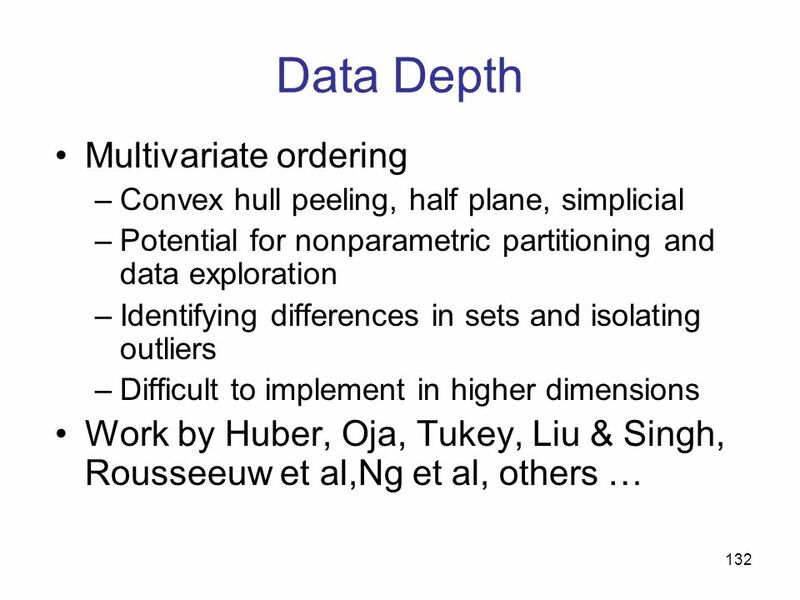 Need for derived data not understood. Simple mistakes. 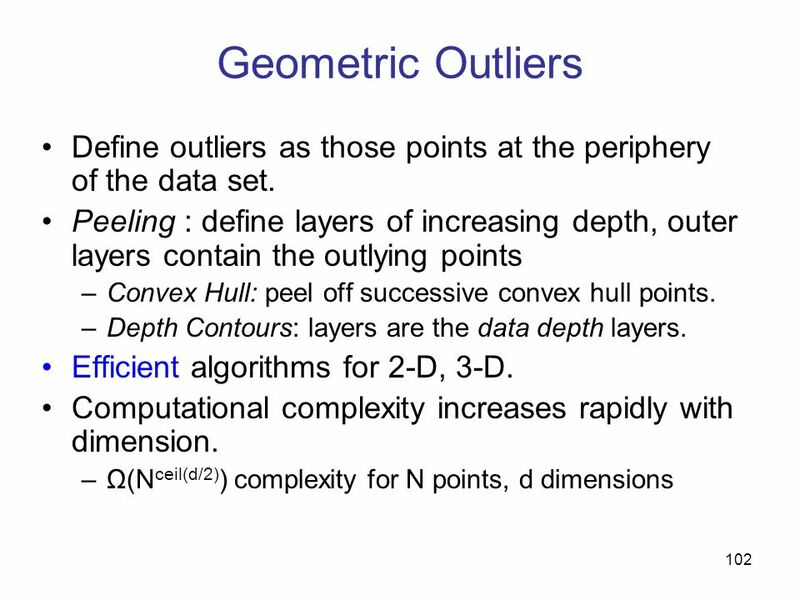 Inner join vs. outer join Understanding NULL values Computational constraints E.g., too expensive to give a full history, instead use a snapshot. 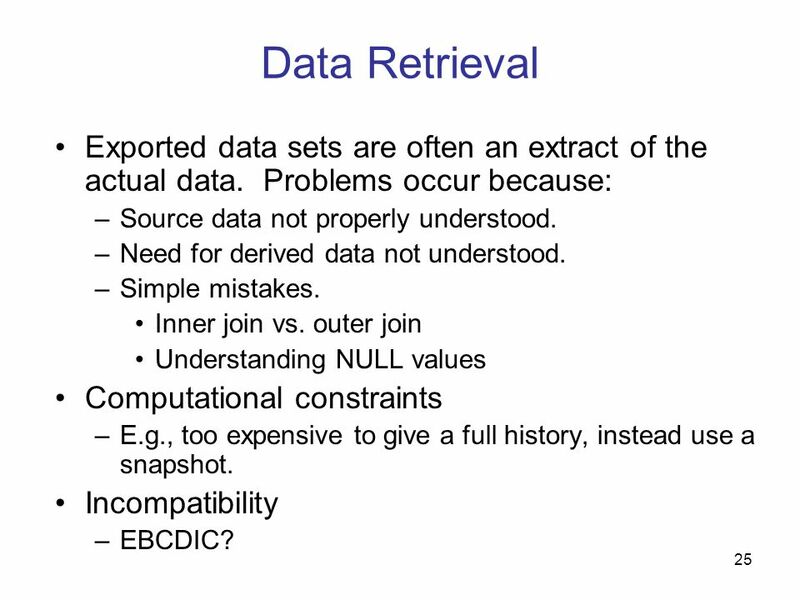 Incompatibility EBCDIC? 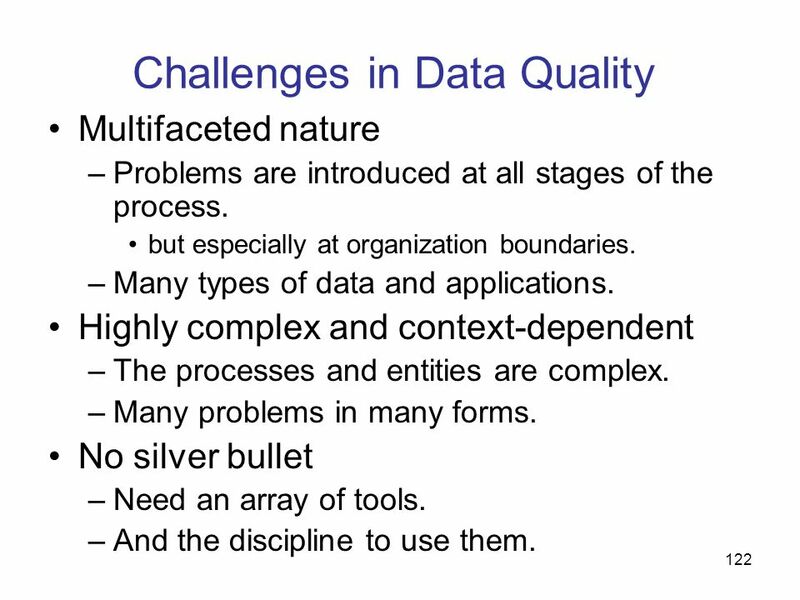 Many data quality problems can be captured by static constraints based on the schema. 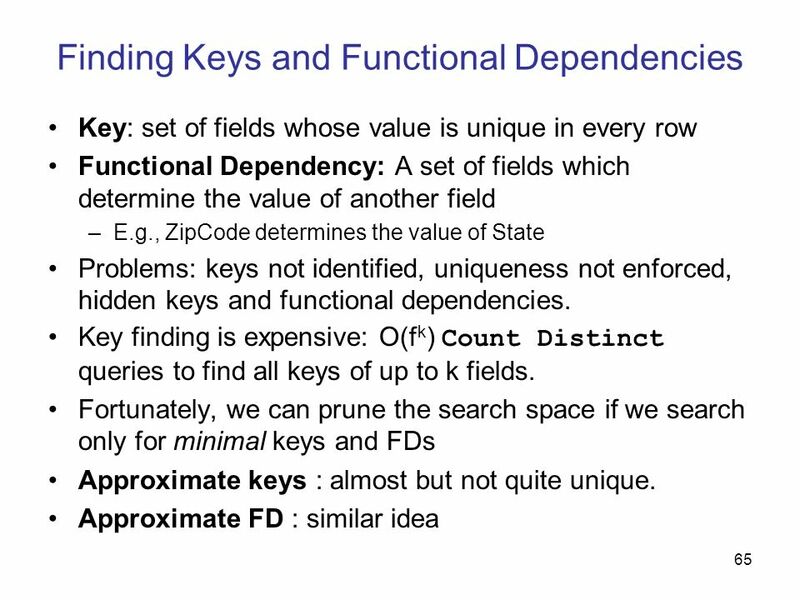 Nulls not allowed, field domains, foreign key constraints, etc. 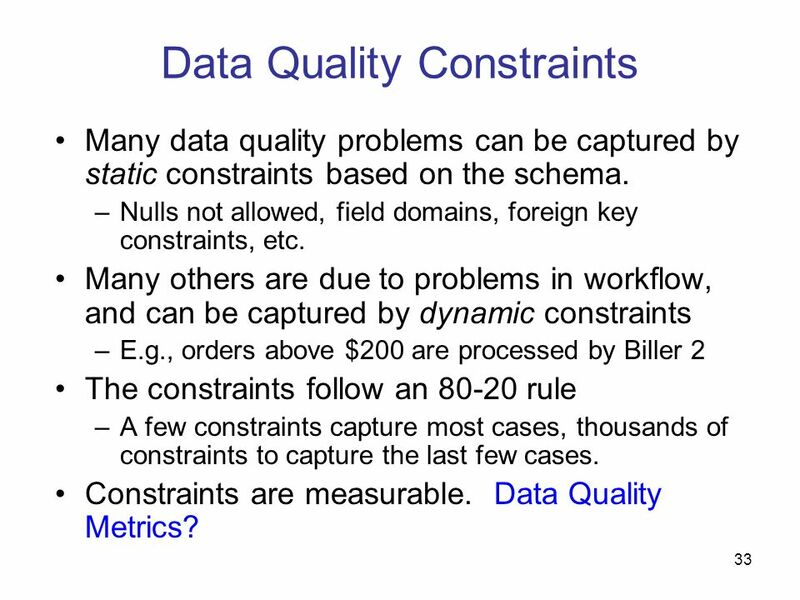 Many others are due to problems in workflow, and can be captured by dynamic constraints E.g., orders above $200 are processed by Biller 2 The constraints follow an rule A few constraints capture most cases, thousands of constraints to capture the last few cases. 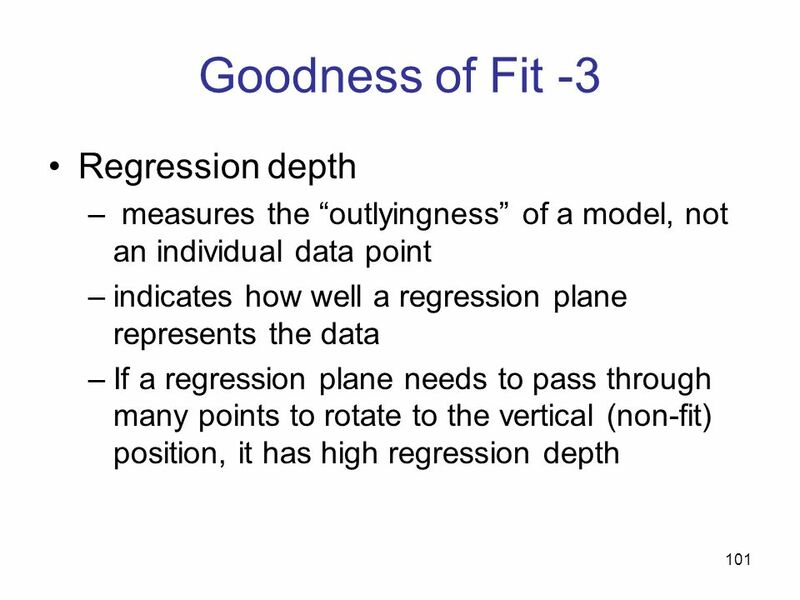 Constraints are measurable. Data Quality Metrics? 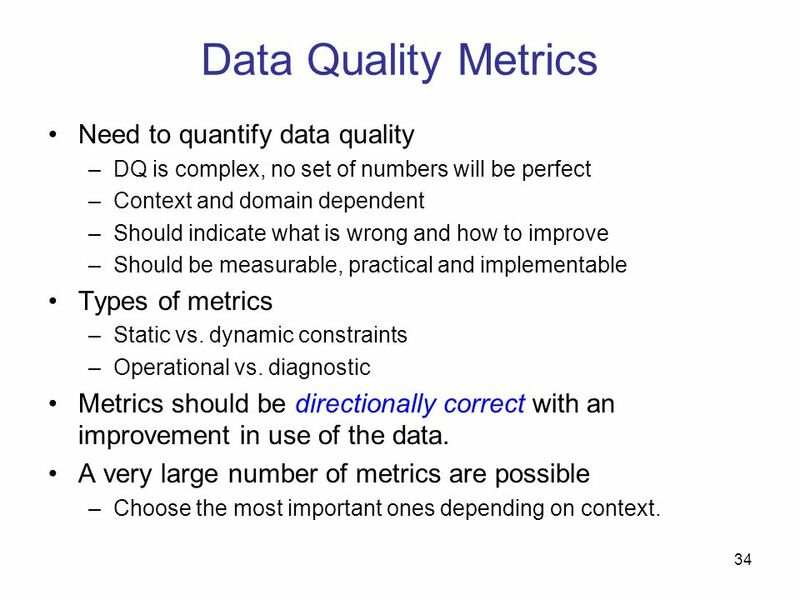 DQ is complex, no set of numbers will be perfect Context and domain dependent Should indicate what is wrong and how to improve Should be measurable, practical and implementable Types of metrics Static vs. dynamic constraints Operational vs. diagnostic Metrics should be directionally correct with an improvement in use of the data. 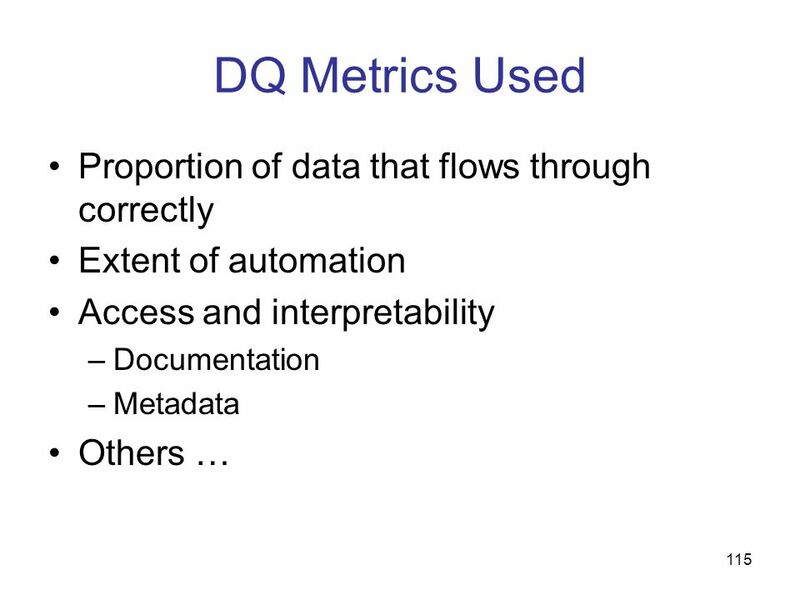 A very large number of metrics are possible Choose the most important ones depending on context. 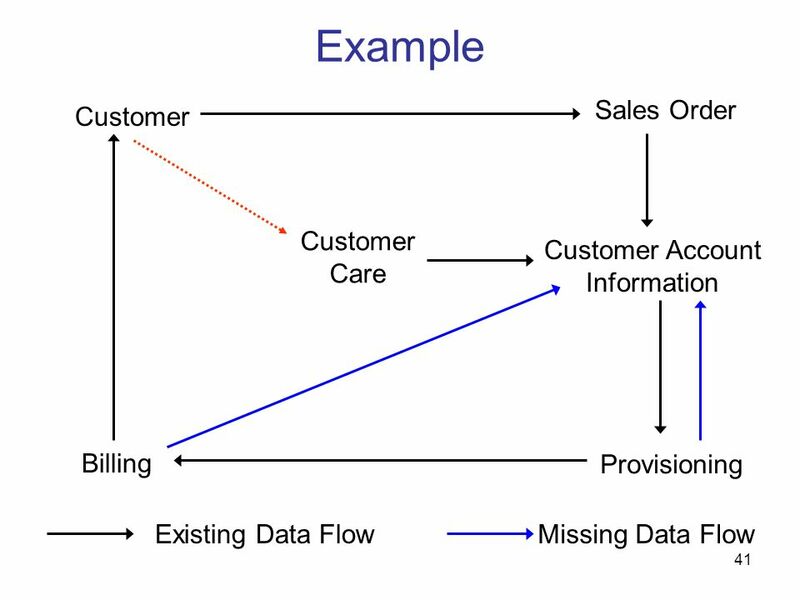 40 Example Sales, provisioning, and billing for telecommunications service Many stages involving handoffs between organizations and databases Simplified picture Transition between organizational boundaries is a common cause of problems. 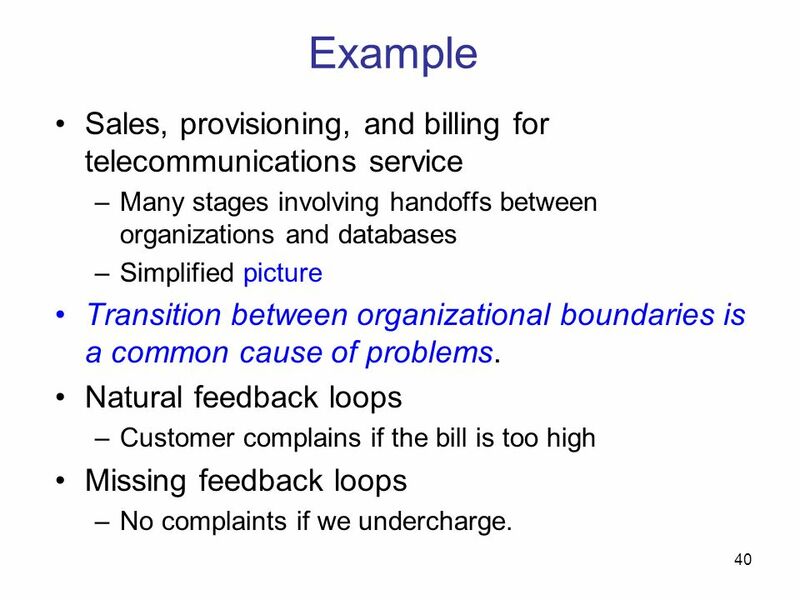 Natural feedback loops Customer complains if the bill is too high Missing feedback loops No complaints if we undercharge. 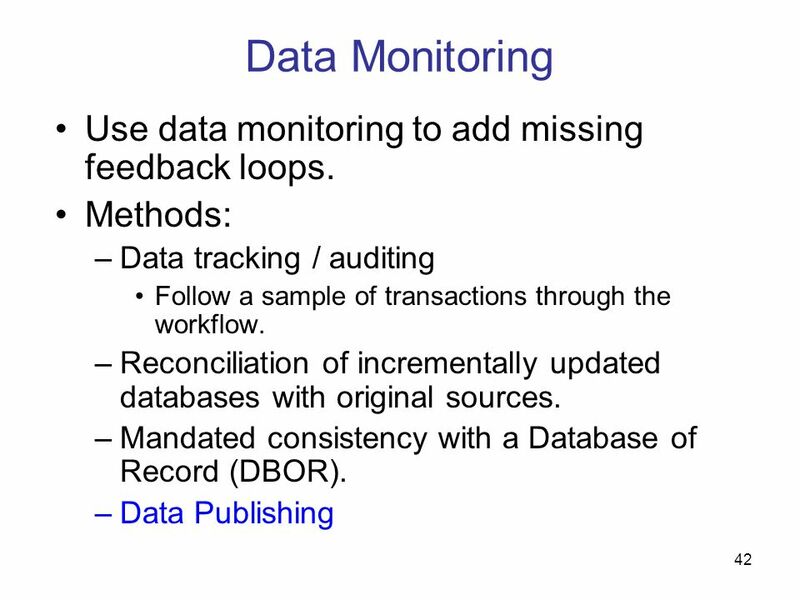 42 Data Monitoring Use data monitoring to add missing feedback loops. 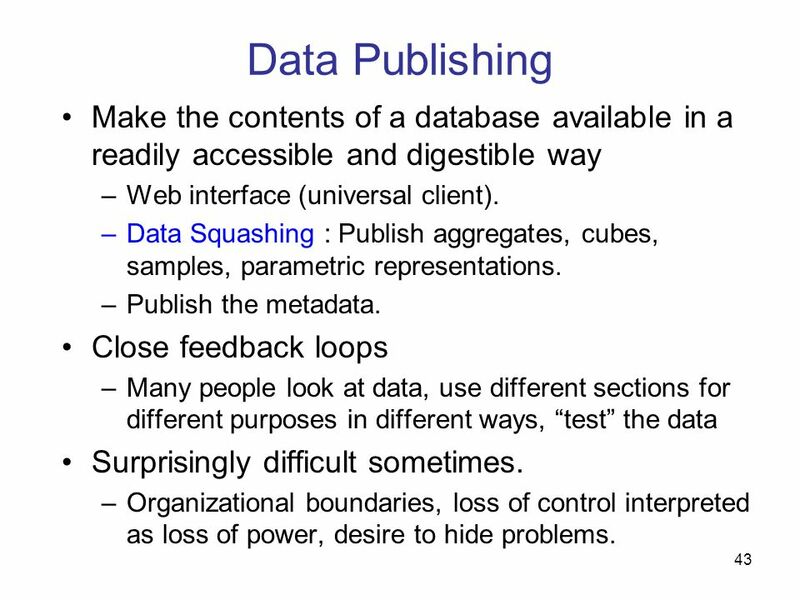 43 Data Publishing Make the contents of a database available in a readily accessible and digestible way Web interface (universal client). 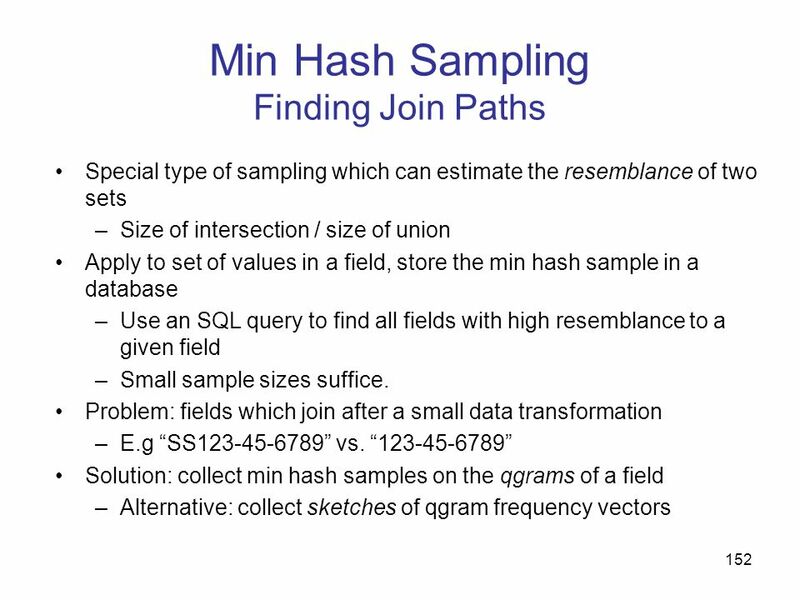 Data Squashing : Publish aggregates, cubes, samples, parametric representations. 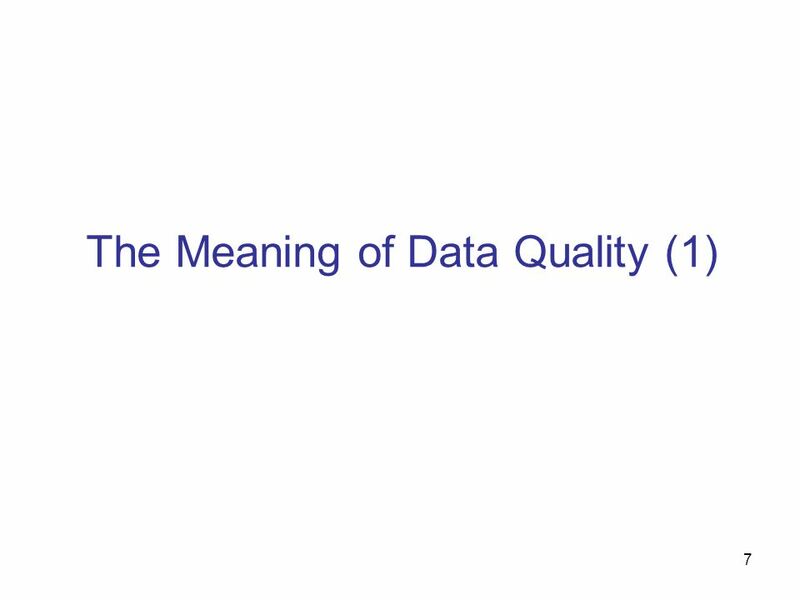 Publish the metadata. 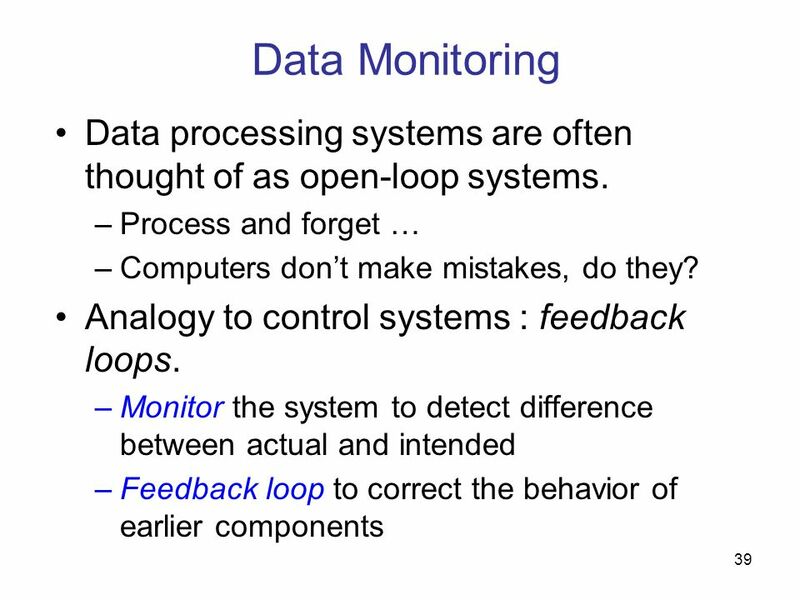 Close feedback loops Many people look at data, use different sections for different purposes in different ways, “test” the data Surprisingly difficult sometimes. 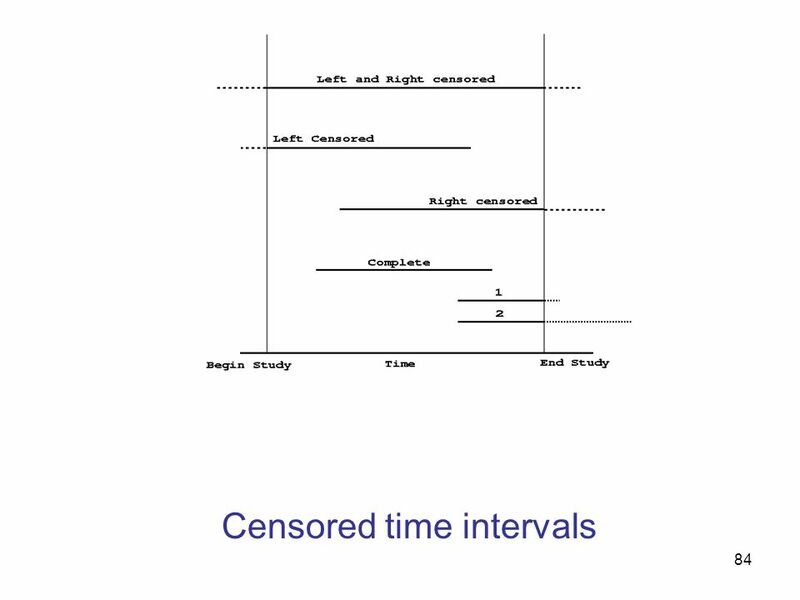 Organizational boundaries, loss of control interpreted as loss of power, desire to hide problems. 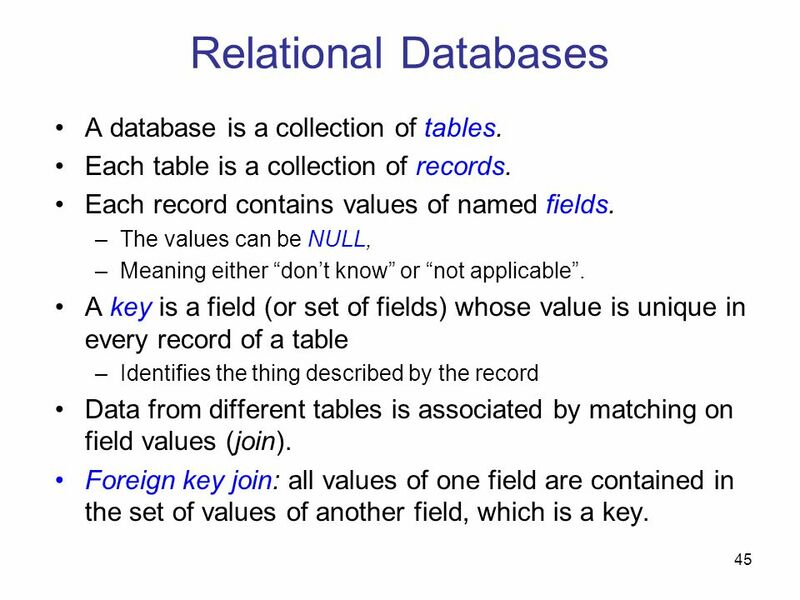 45 Relational Databases A database is a collection of tables. Each table is a collection of records. 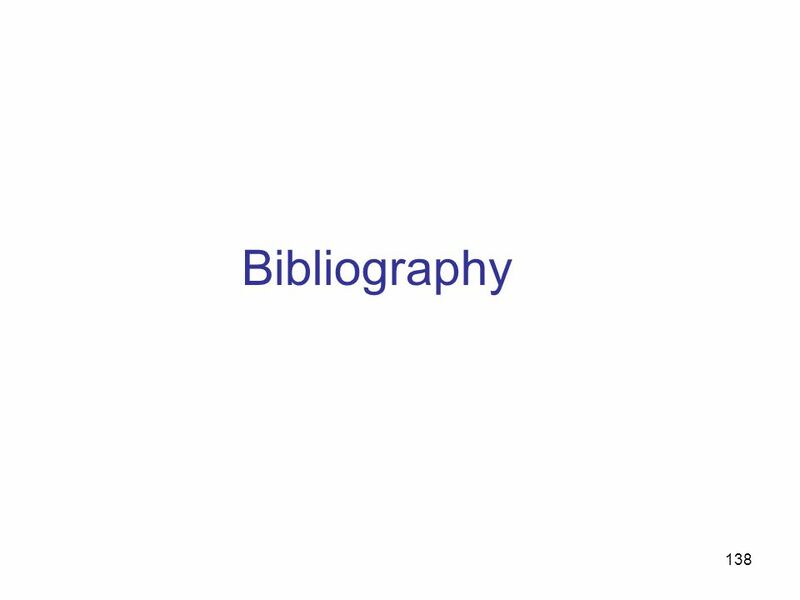 Each record contains values of named fields. 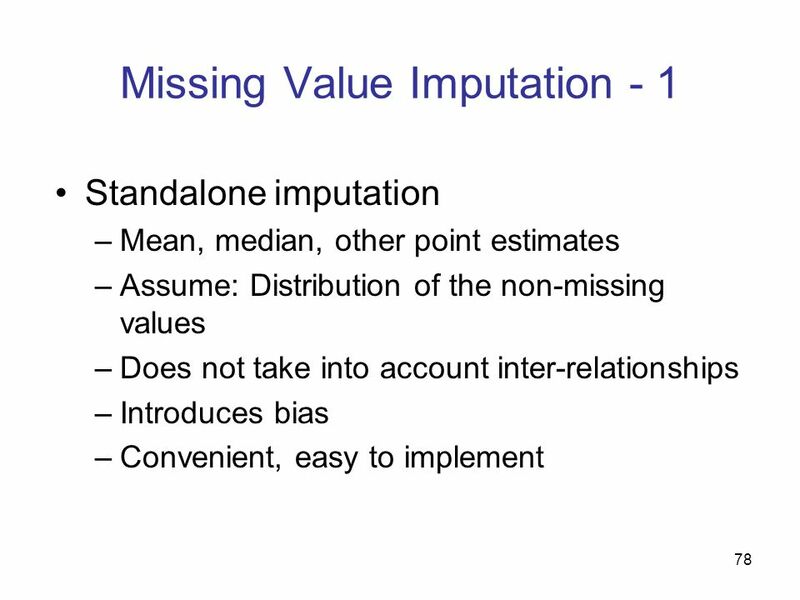 The values can be NULL, Meaning either “don’t know” or “not applicable”. 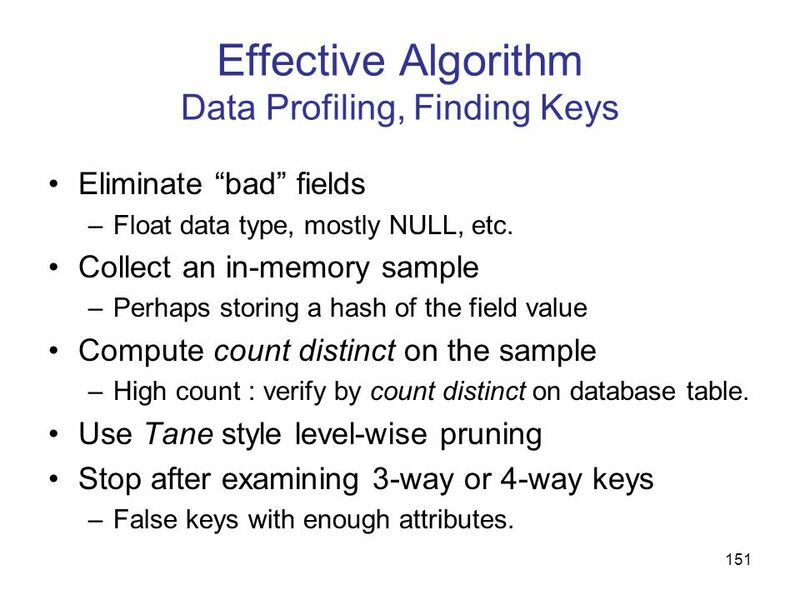 A key is a field (or set of fields) whose value is unique in every record of a table Identifies the thing described by the record Data from different tables is associated by matching on field values (join). 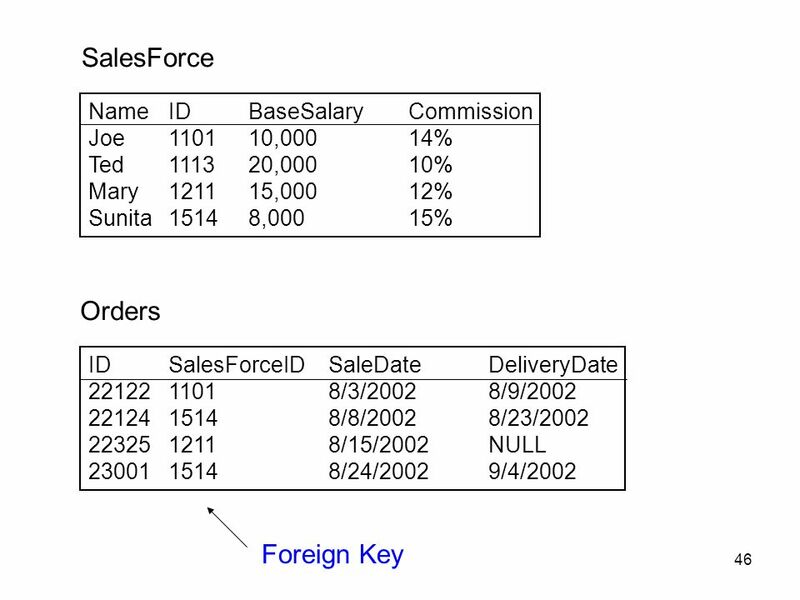 Foreign key join: all values of one field are contained in the set of values of another field, which is a key. 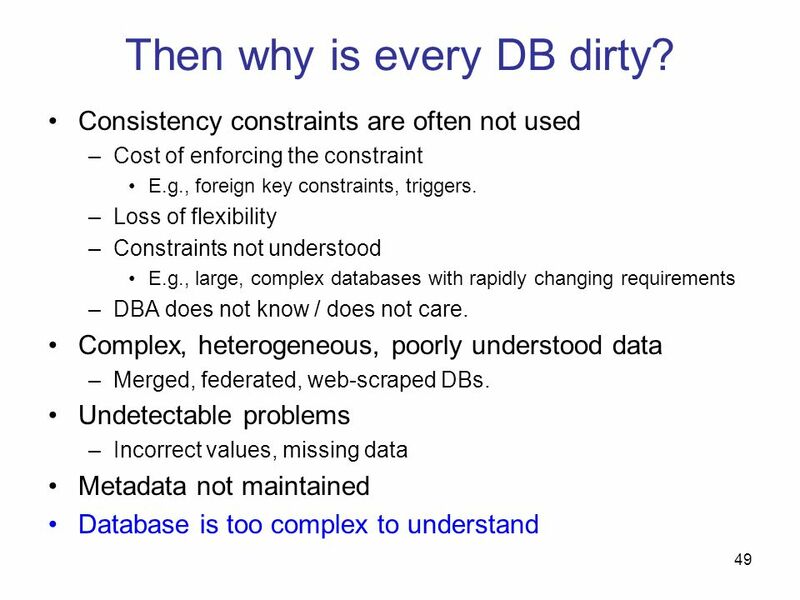 49 Then why is every DB dirty? 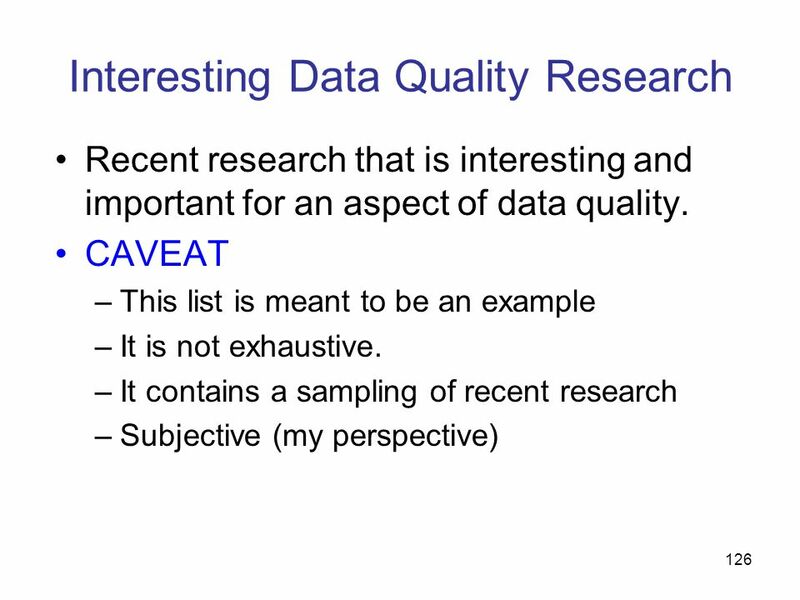 52 Data Loading The data might be derived from a questionable source. 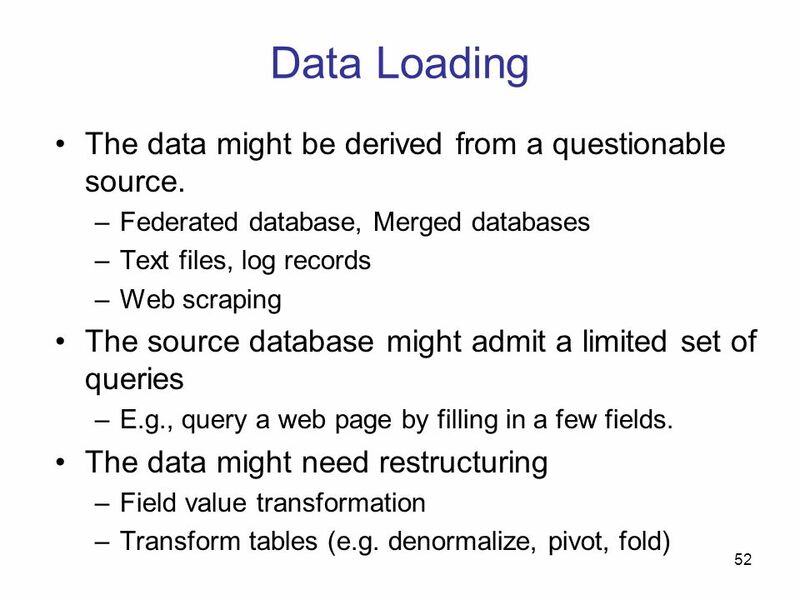 Federated database, Merged databases Text files, log records Web scraping The source database might admit a limited set of queries E.g., query a web page by filling in a few fields. 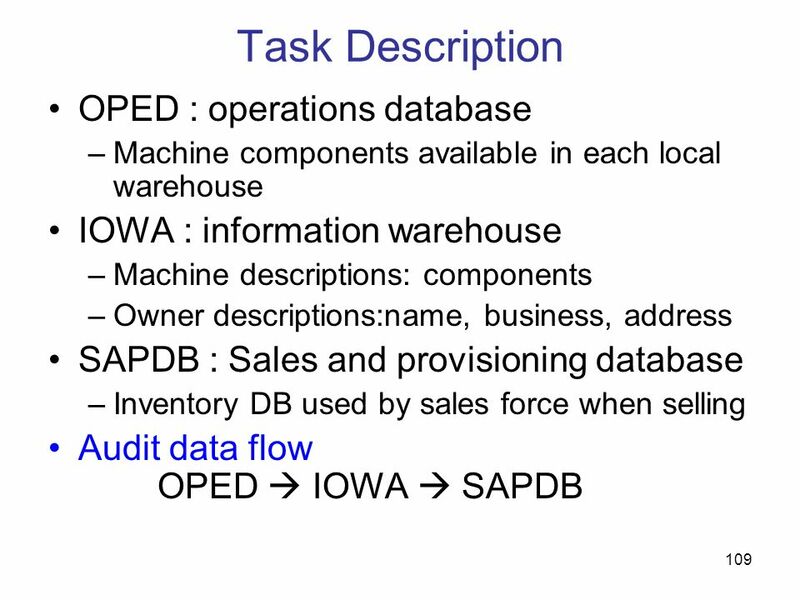 The data might need restructuring Field value transformation Transform tables (e.g. denormalize, pivot, fold) Denormalize means do the foreign key joins to put all the relevant information in one record. 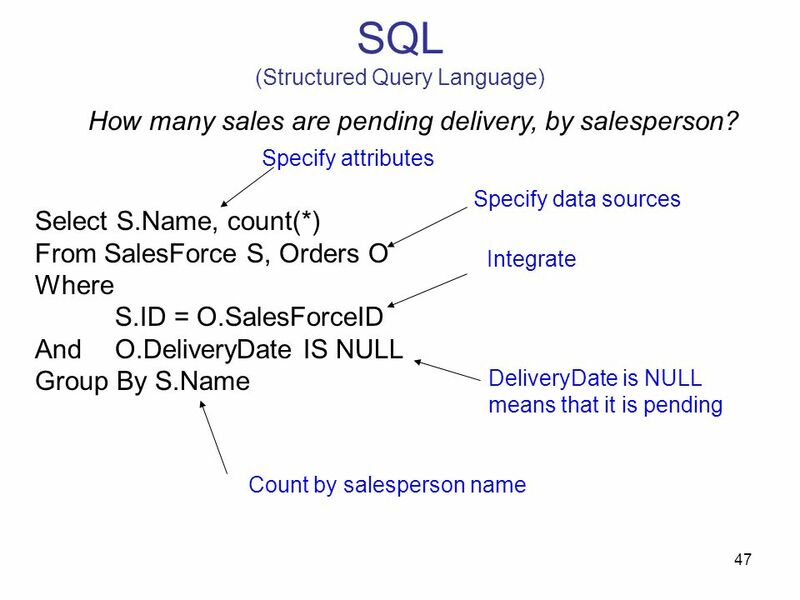 Example is joining Salesforce to Orders so that you can do the analysis on a single table. 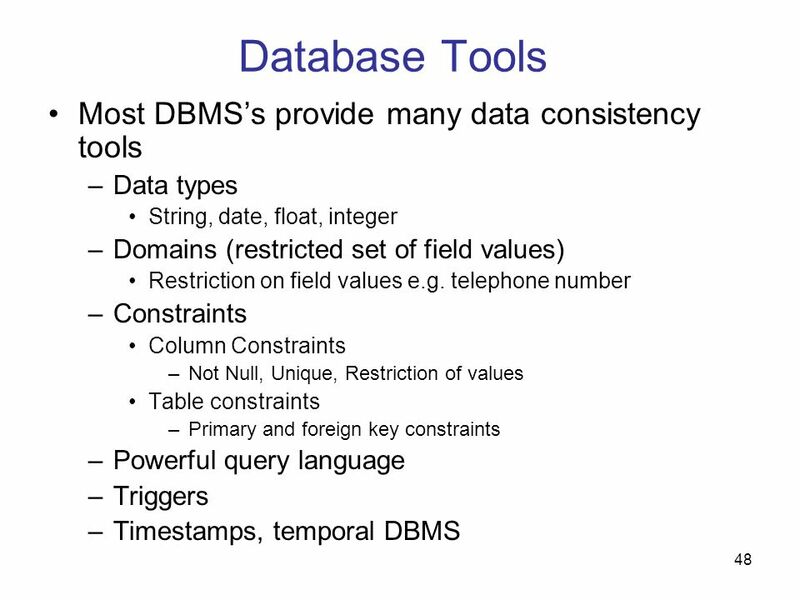 Access data (DB drivers, web page fetch, parse tools) Validate data (ensure constraints) Transform data (e.g. 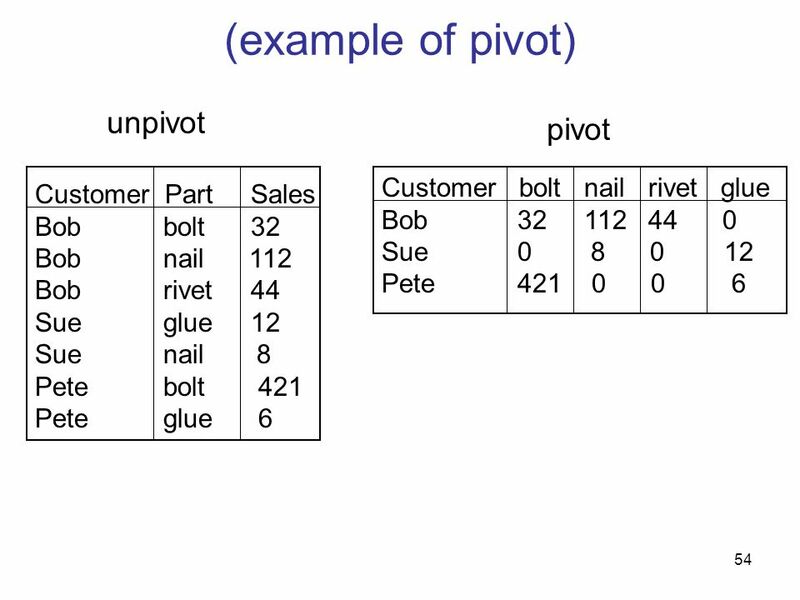 addresses, phone numbers) Transform tables (pivot, etc.) 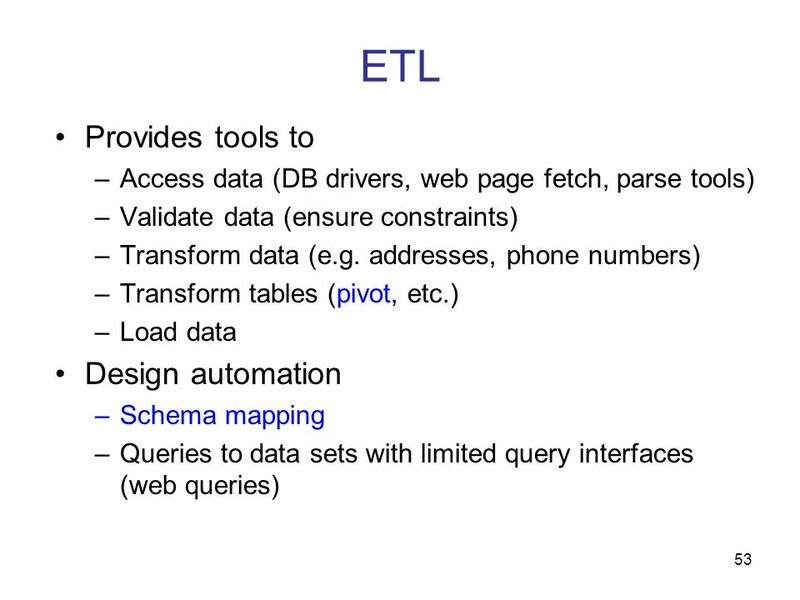 Load data Design automation Schema mapping Queries to data sets with limited query interfaces (web queries) Trade off time by preprocessing data for validation/transformation etc. to speed up loading. 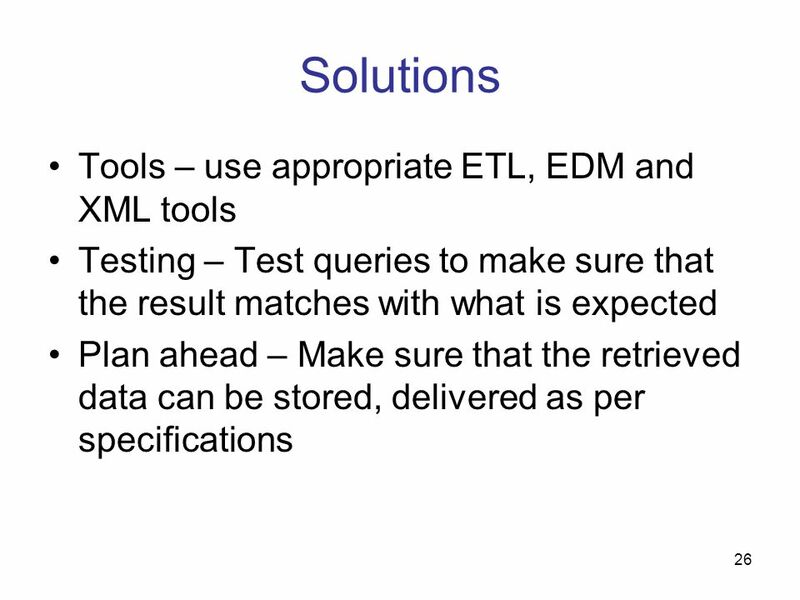 Design automation tools will automatically generate queries to bridge the gap between the canned queries and custom queries that you want to ask. 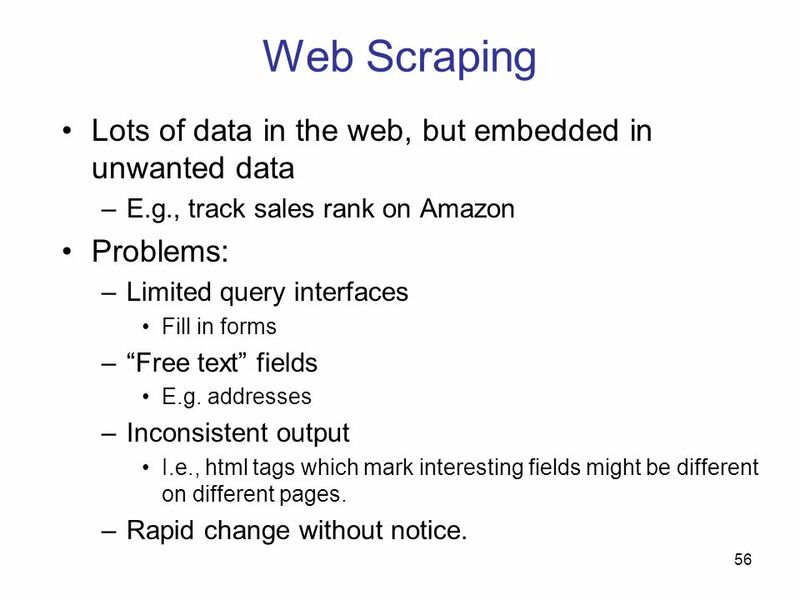 E.g., track sales rank on Amazon Problems: Limited query interfaces Fill in forms “Free text” fields E.g. 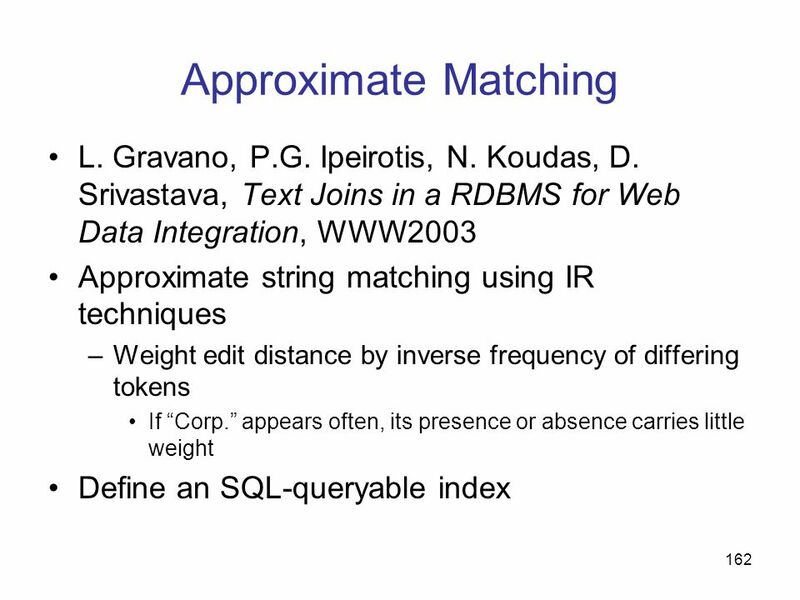 addresses Inconsistent output I.e., html tags which mark interesting fields might be different on different pages. Rapid change without notice. 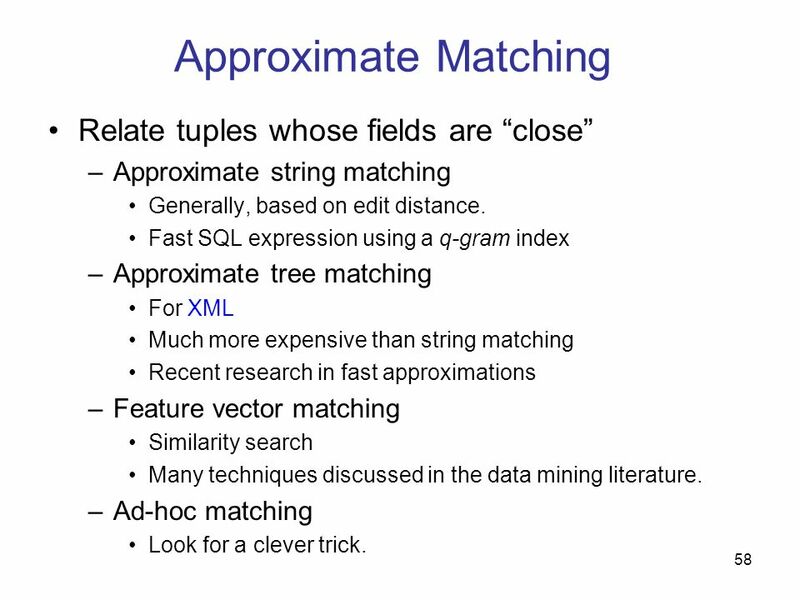 Approximate string matching Generally, based on edit distance. 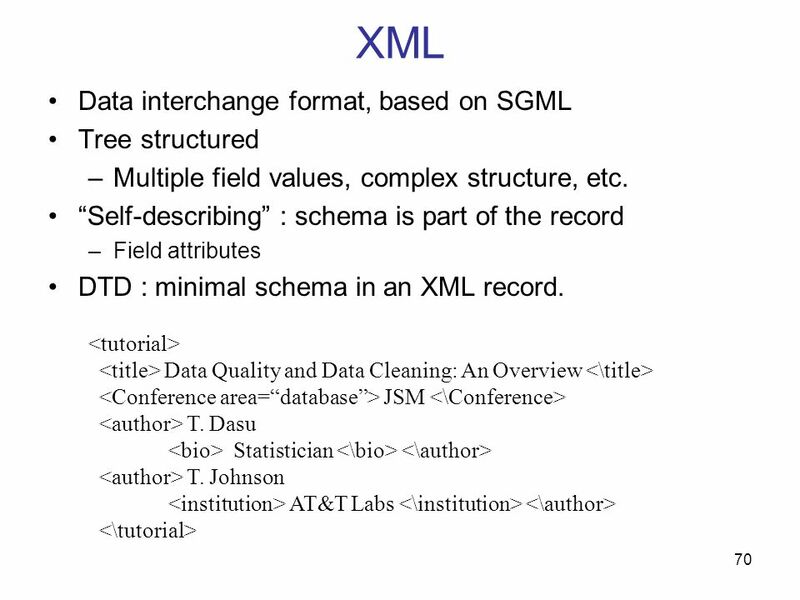 Fast SQL expression using a q-gram index Approximate tree matching For XML Much more expensive than string matching Recent research in fast approximations Feature vector matching Similarity search Many techniques discussed in the data mining literature. Ad-hoc matching Look for a clever trick. 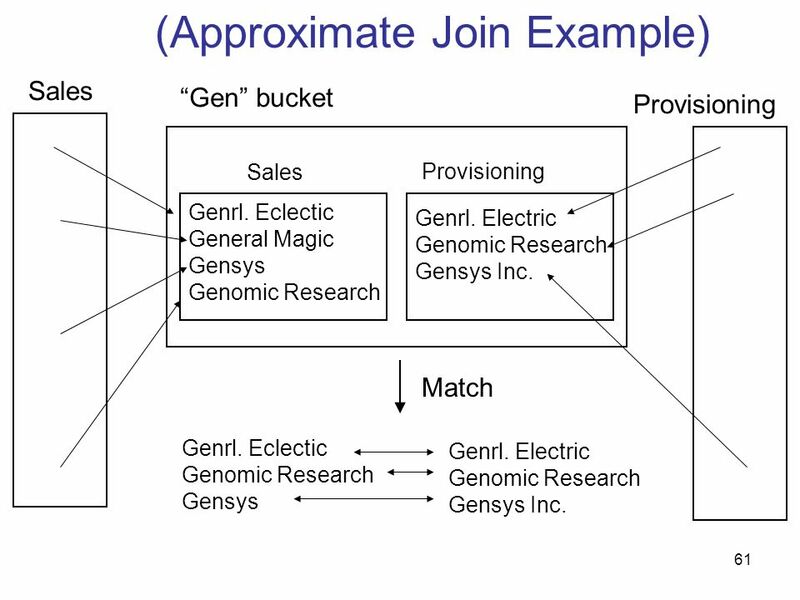 Sales “Gen” bucket Provisioning Sales Provisioning Genrl. Eclectic General Magic Gensys Genomic Research Genrl. 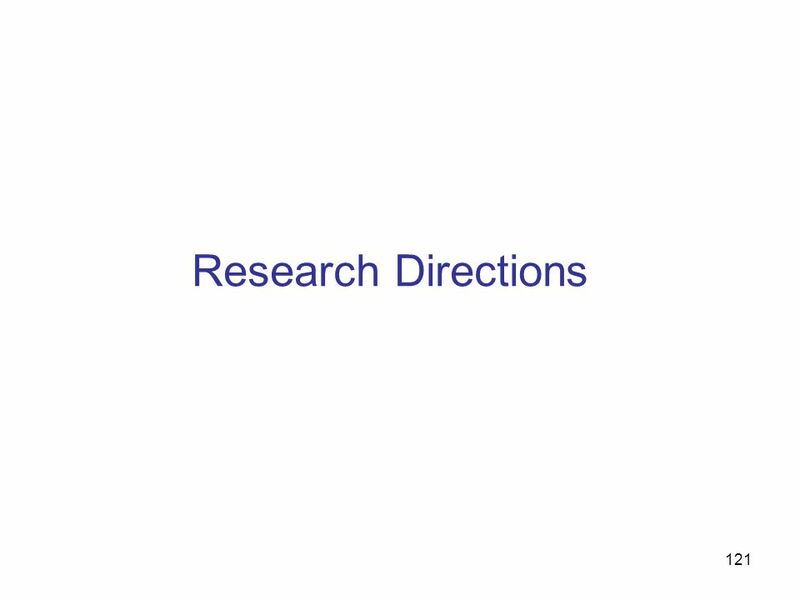 Electric Genomic Research Gensys Inc. Match Genrl. 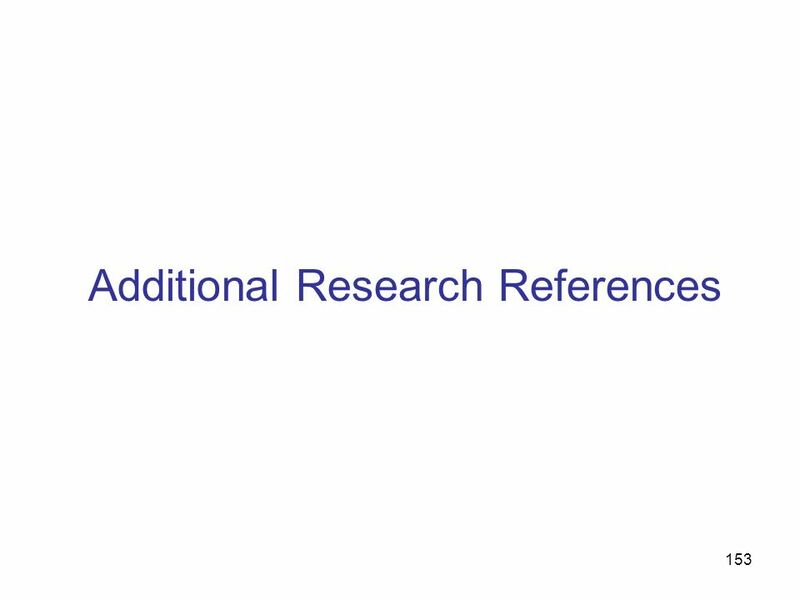 Eclectic Genomic Research Gensys Genrl. Electric Genomic Research Gensys Inc. 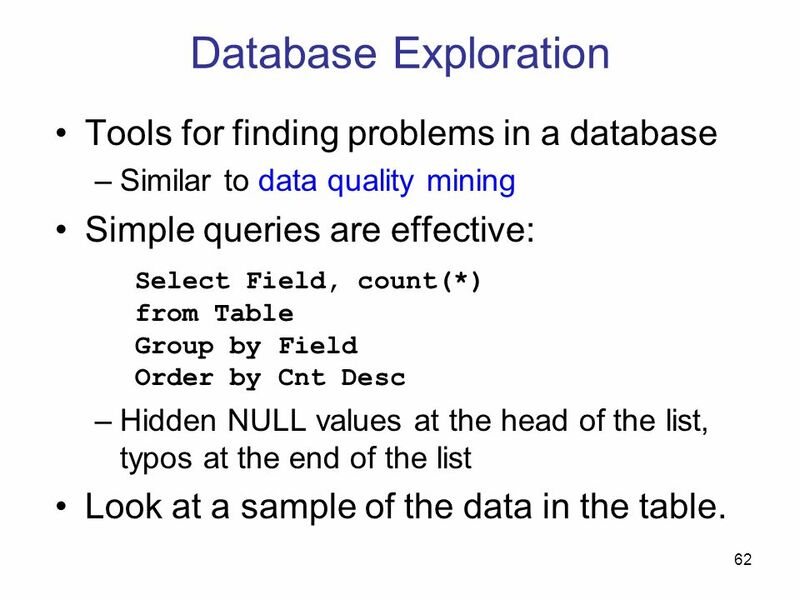 Similar to data quality mining Simple queries are effective: Select Field, count(*) from Table Group by Field Order by Cnt Desc Hidden NULL values at the head of the list, typos at the end of the list Look at a sample of the data in the table. 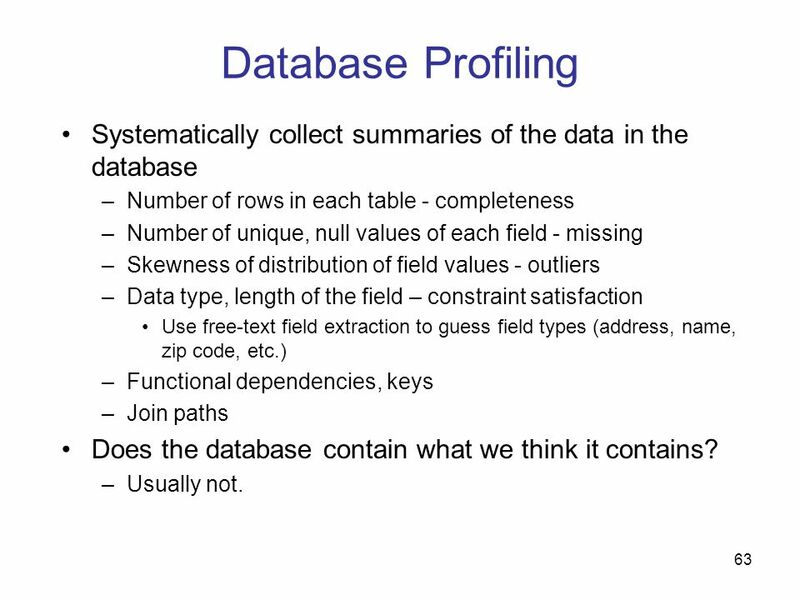 63 Database Profiling Systematically collect summaries of the data in the database Number of rows in each table - completeness Number of unique, null values of each field - missing Skewness of distribution of field values - outliers Data type, length of the field – constraint satisfaction Use free-text field extraction to guess field types (address, name, zip code, etc.) 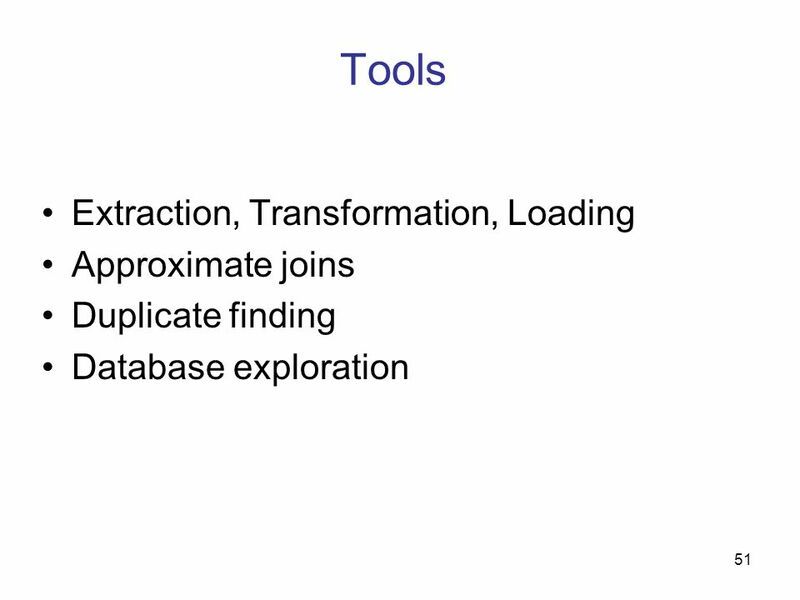 Functional dependencies, keys Join paths Does the database contain what we think it contains? Usually not. 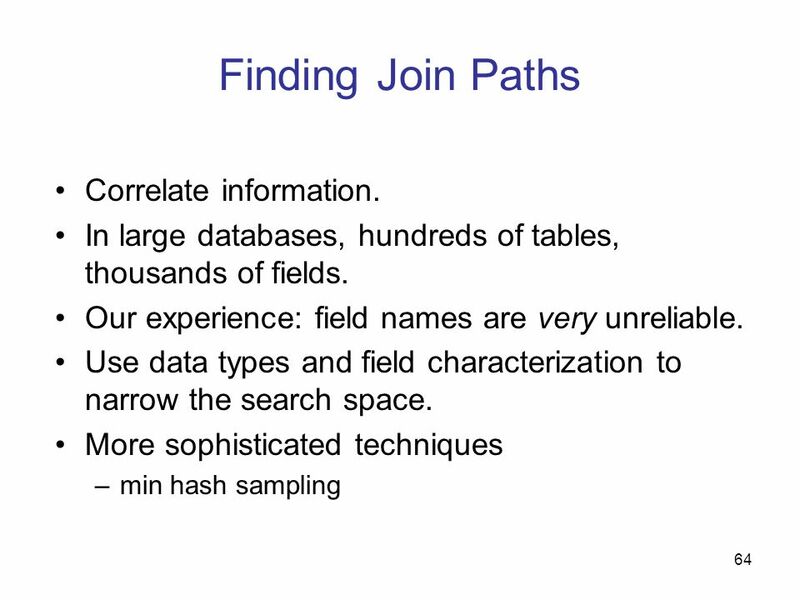 64 Finding Join Paths Correlate information. 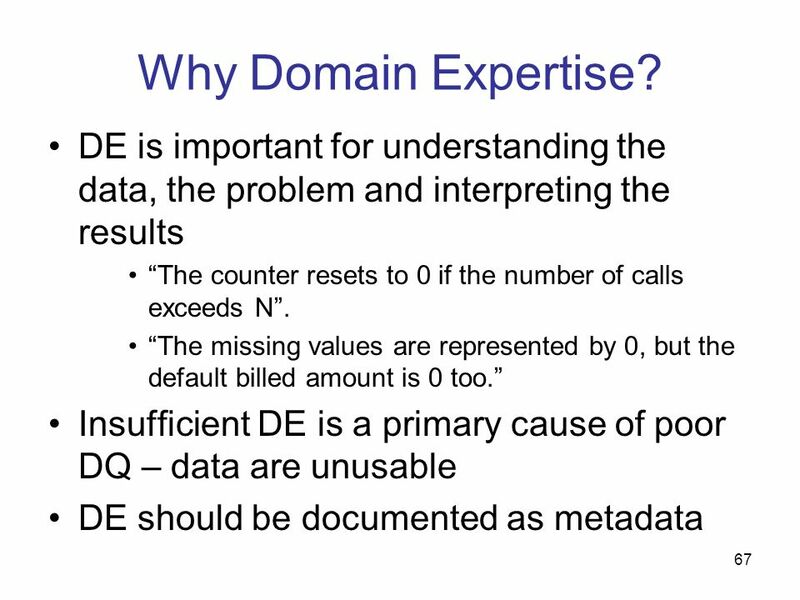 68 Where is the Domain Expertise? 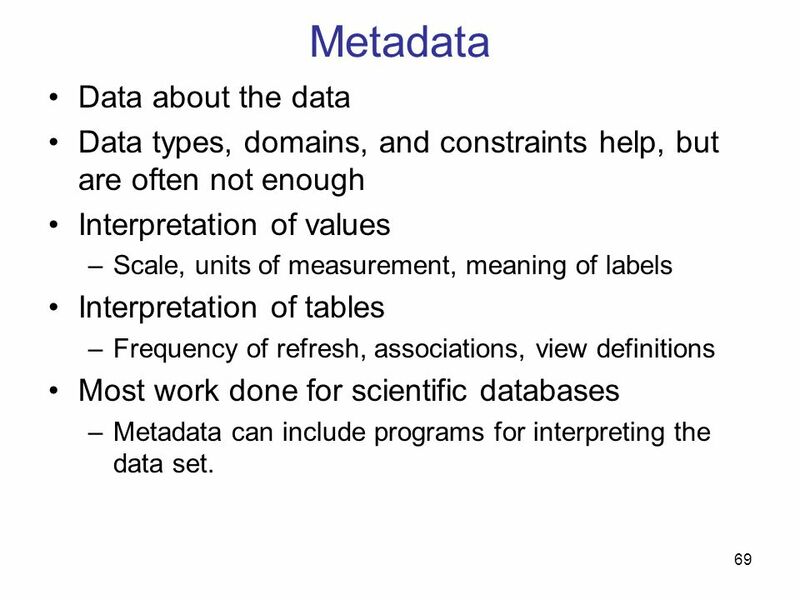 Data types, domains, and constraints help, but are often not enough Interpretation of values Scale, units of measurement, meaning of labels Interpretation of tables Frequency of refresh, associations, view definitions Most work done for scientific databases Metadata can include programs for interpreting the data set. 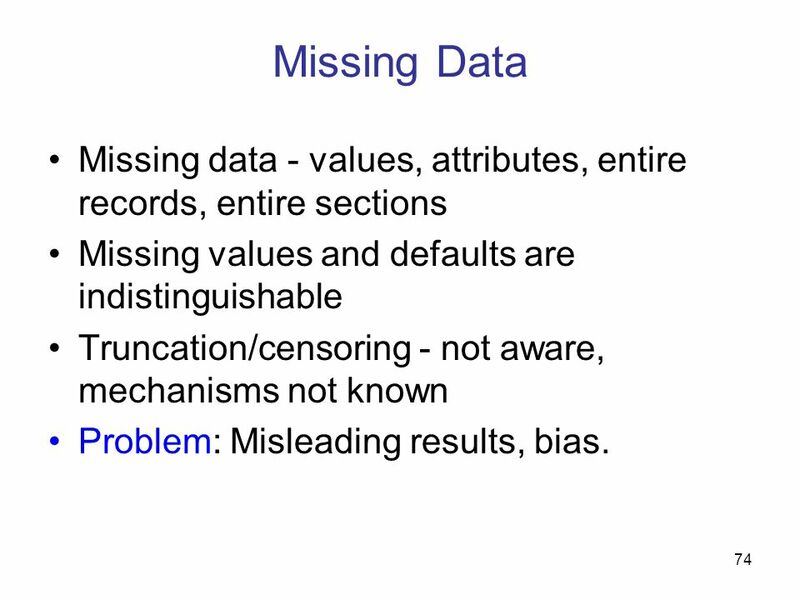 74 Missing Data Missing data - values, attributes, entire records, entire sections Missing values and defaults are indistinguishable Truncation/censoring - not aware, mechanisms not known Problem: Misleading results, bias. 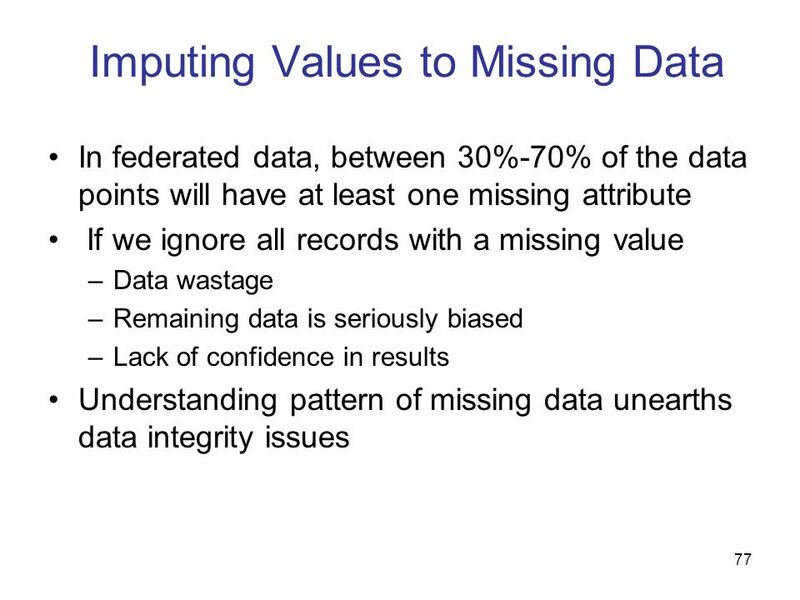 Overtly missing data Match data specifications against data - are all the attributes present? 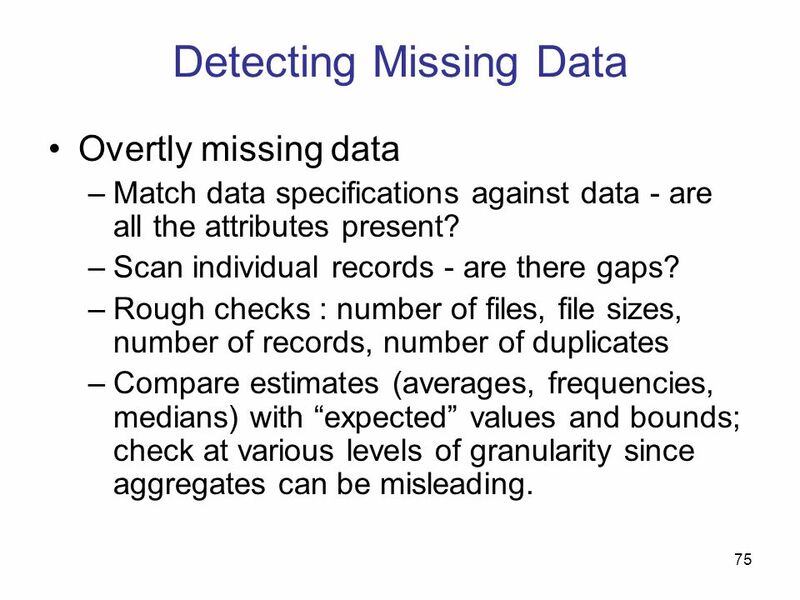 Scan individual records - are there gaps? 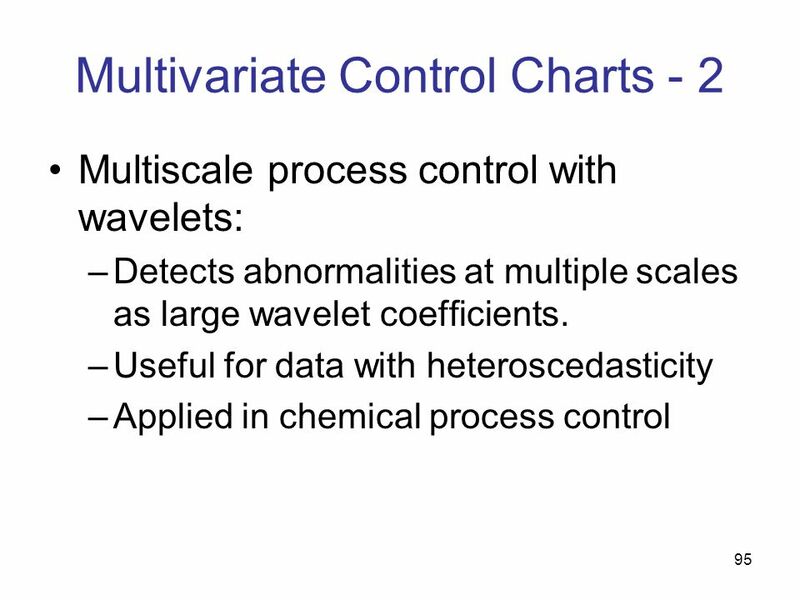 Rough checks : number of files, file sizes, number of records, number of duplicates Compare estimates (averages, frequencies, medians) with “expected” values and bounds; check at various levels of granularity since aggregates can be misleading. 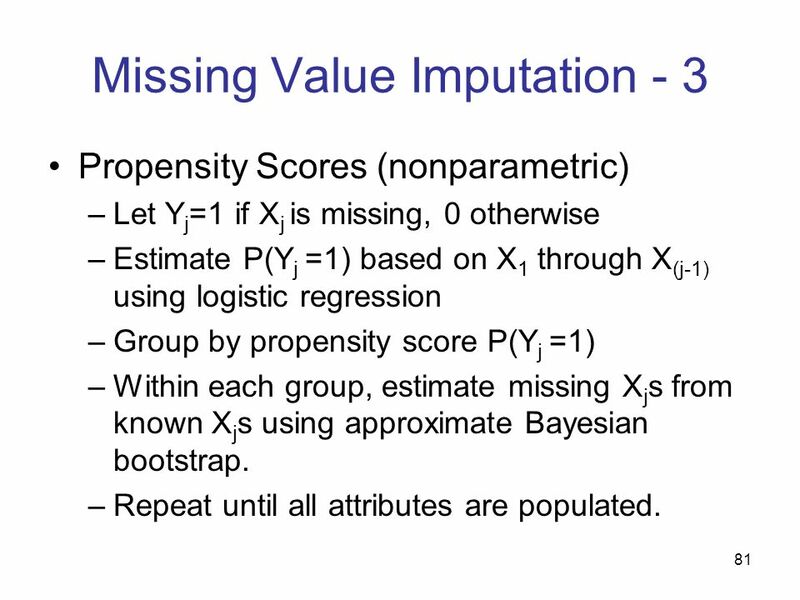 Propensity Scores (nonparametric) Let Yj=1 if Xj is missing, 0 otherwise Estimate P(Yj =1) based on X1 through X(j-1) using logistic regression Group by propensity score P(Yj =1) Within each group, estimate missing Xjs from known Xjs using approximate Bayesian bootstrap. 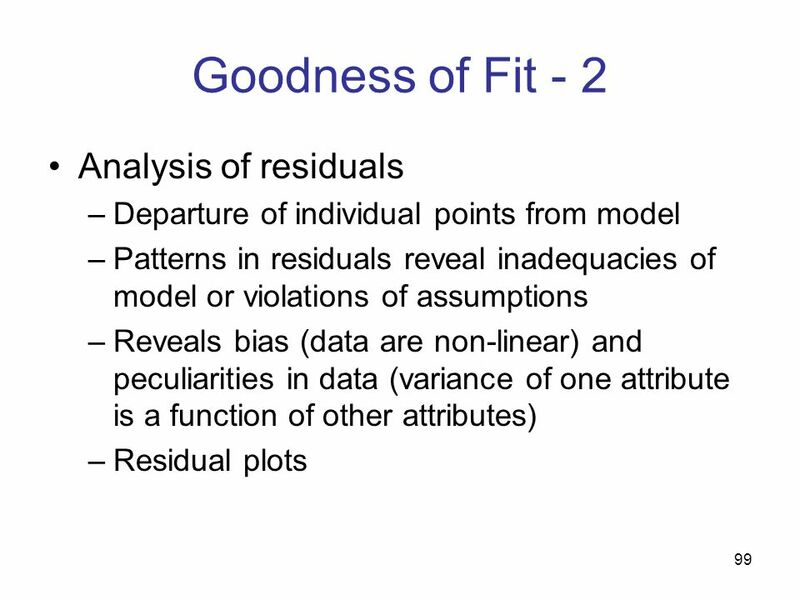 Repeat until all attributes are populated. 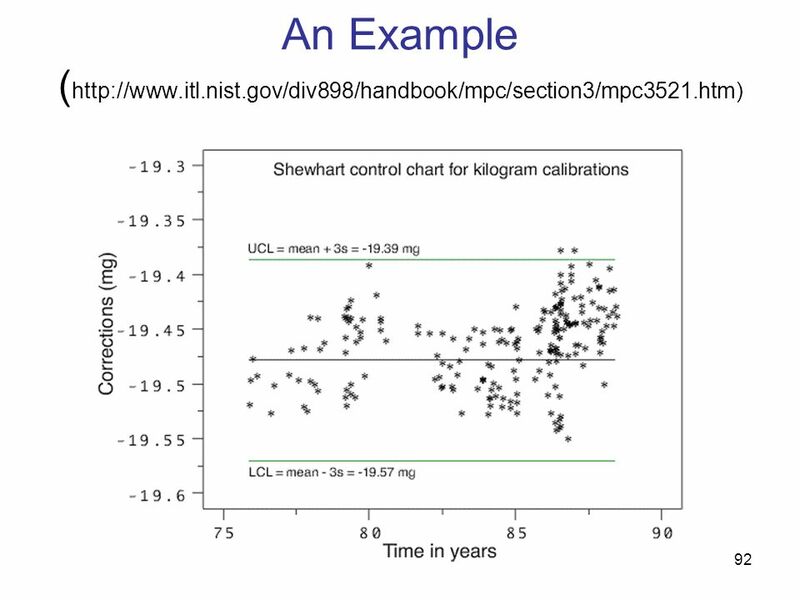 88 Courtesy R. K. Pearson: See references. 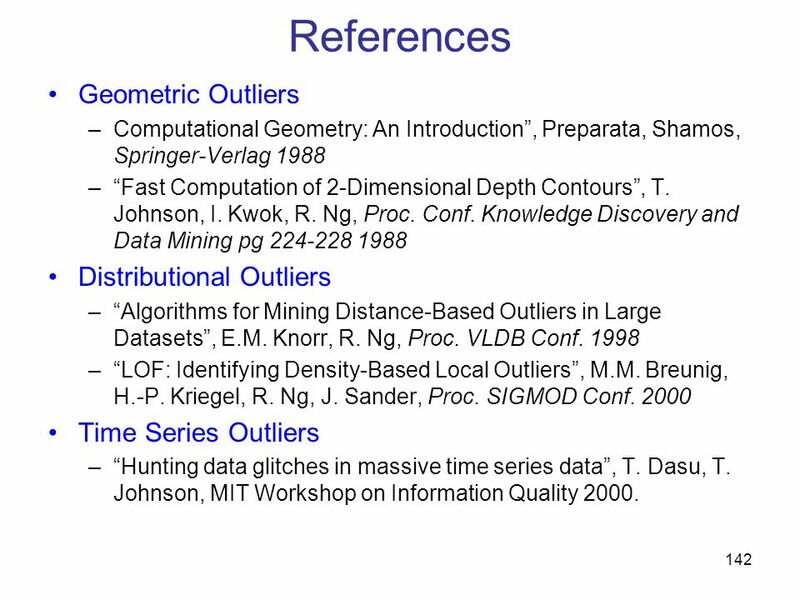 89 Courtesy R. K. Pearson: See references. 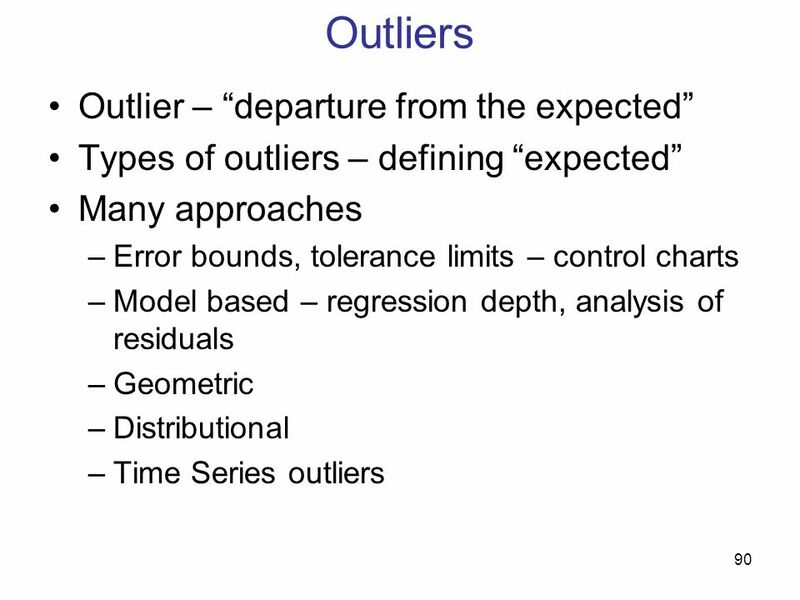 104 Time Series Outliers Data is a time series of measurements of a large collection of entities (e.g. 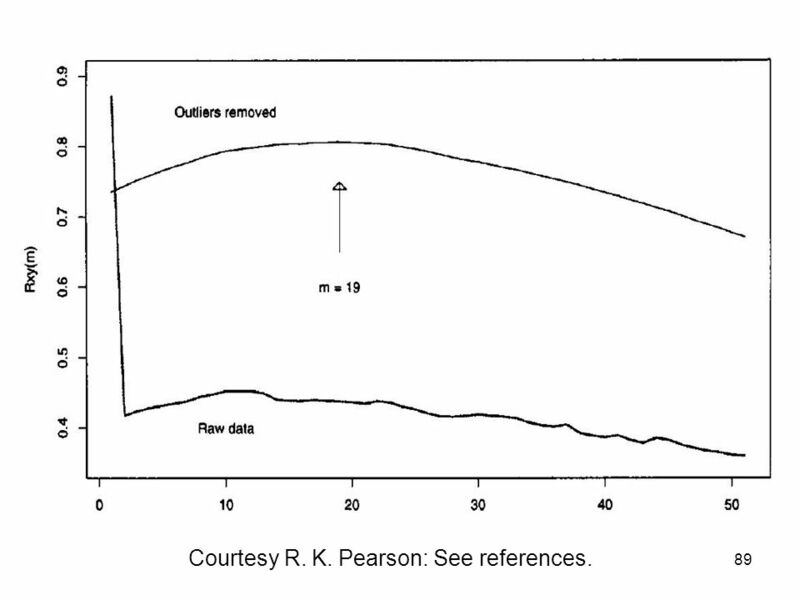 customer usage). 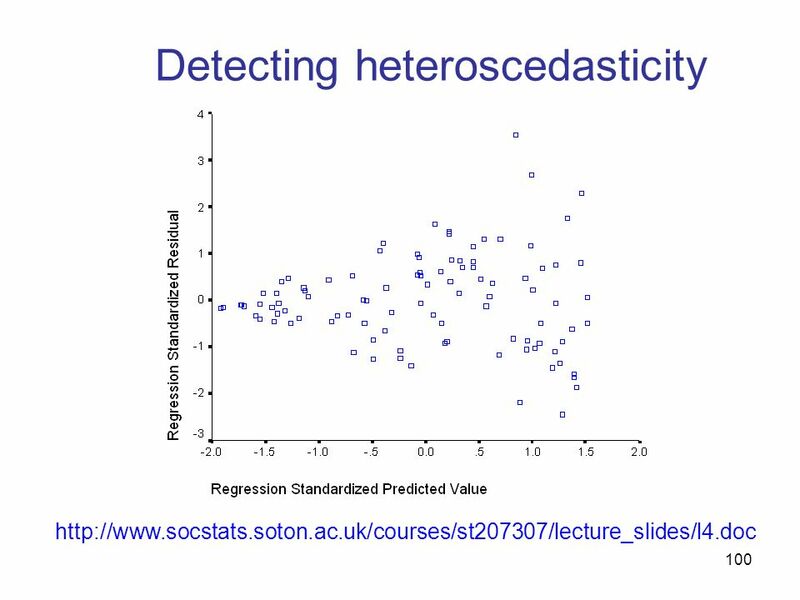 Vector of measurements define a trajectory for an entity. 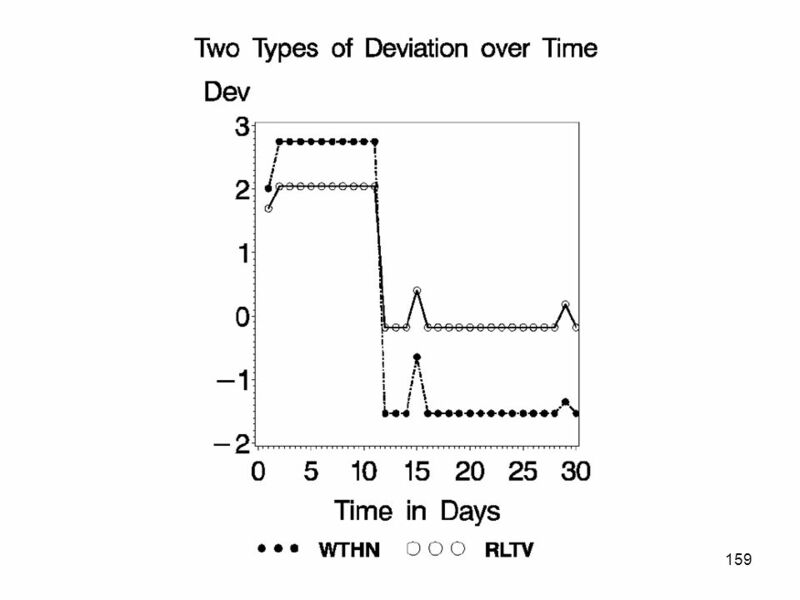 A trajectory can be glitched, or it can make radical but valid changes. 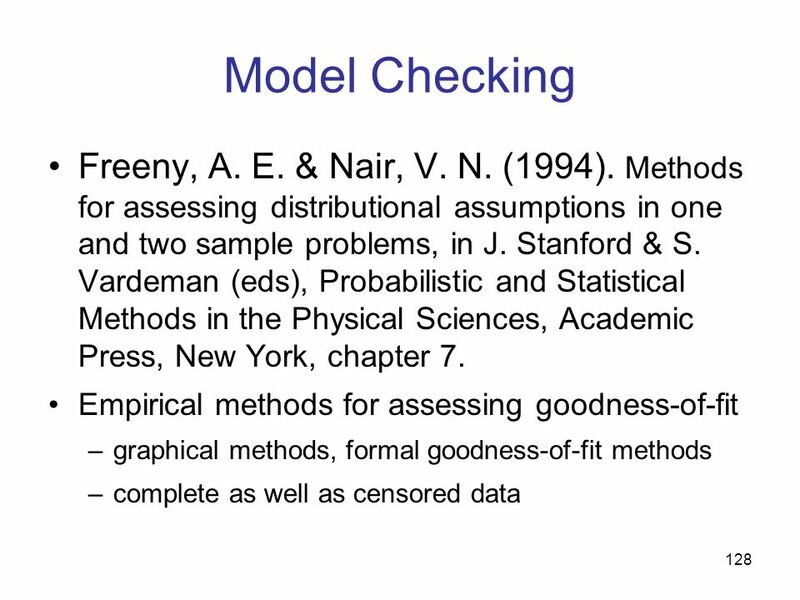 Approach: develop models based on entity’s past behavior (within) and all entity behavior (relative). 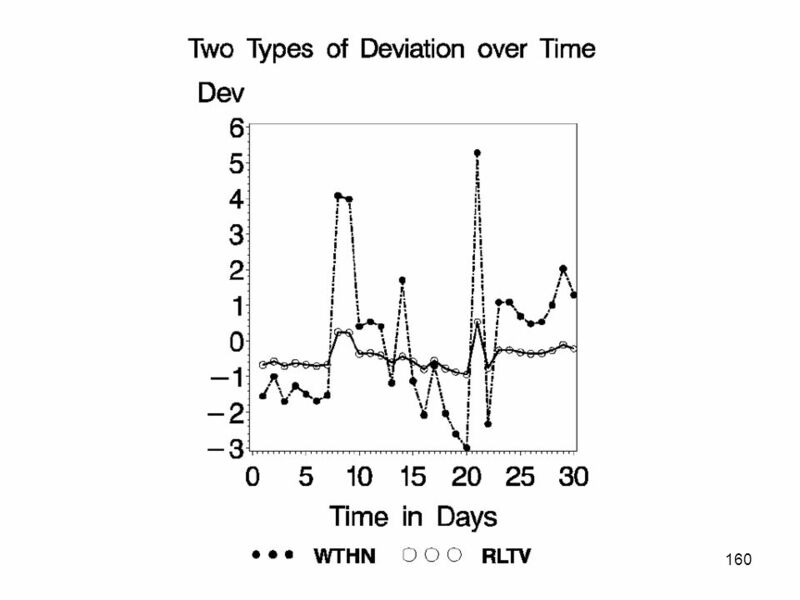 Find potential glitches: Common glitch trajectories Deviations from within and relative behavior. 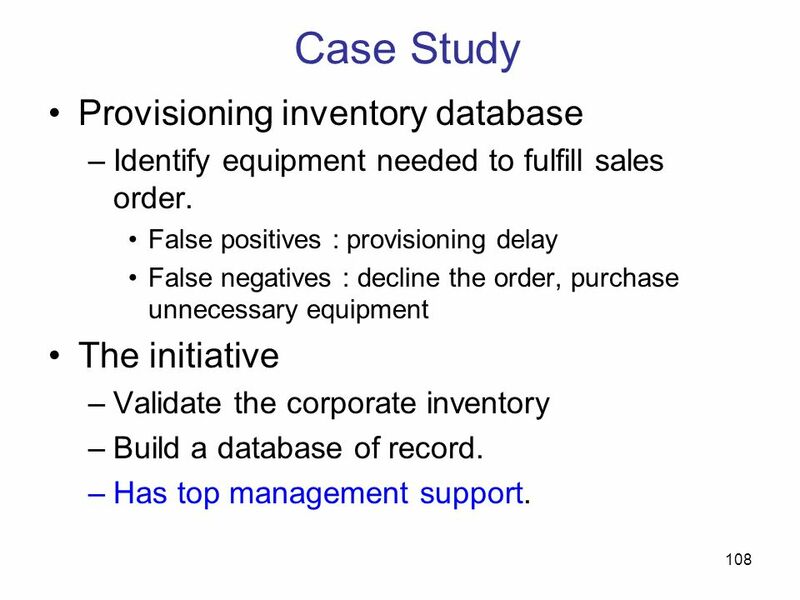 Identify equipment needed to fulfill sales order. 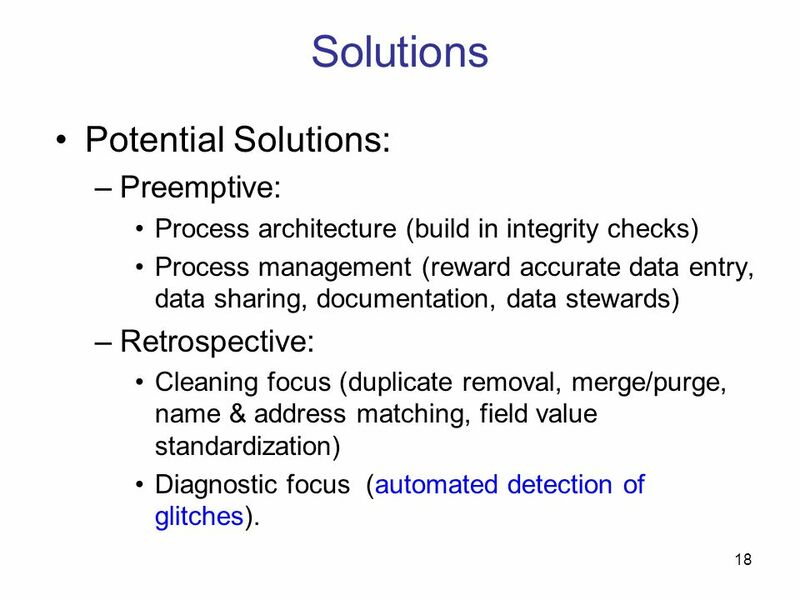 False positives : provisioning delay False negatives : decline the order, purchase unnecessary equipment The initiative Validate the corporate inventory Build a database of record. Has top management support. 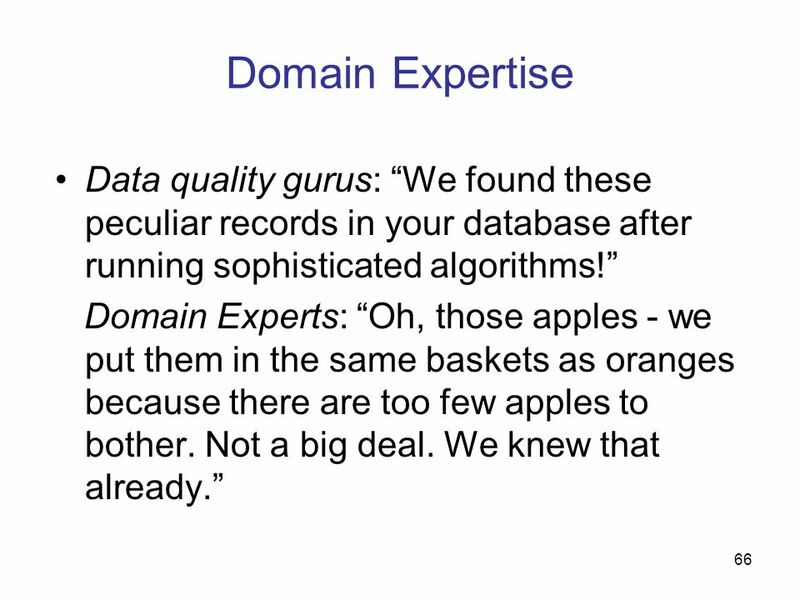 Authoritative documentation of metadata and domain expertise Inventory up by 15% (tens of thousands of records, millions of $$) Automated, end-to-end and continuous auditing system in place In 100 days! 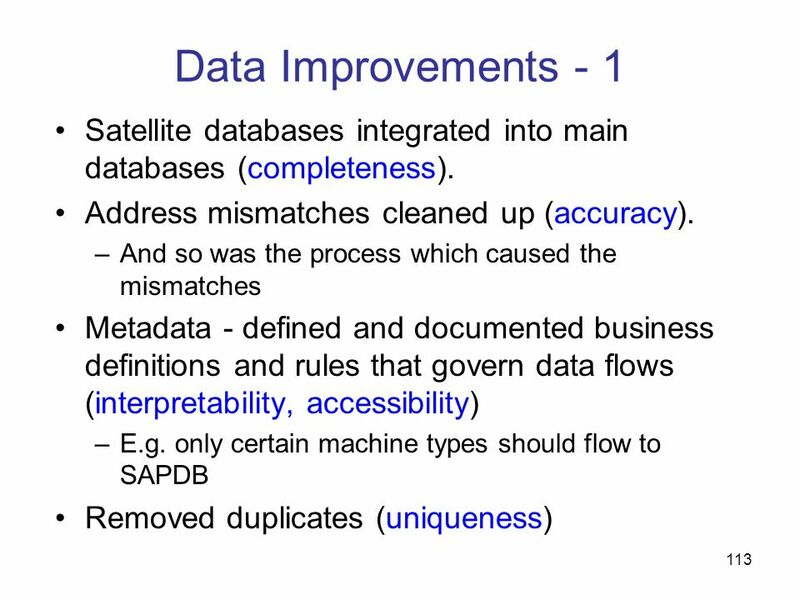 Metadata is frequently wrong Data transfers never work the first time Manual entry and intervention causes problems; Automate processes Remove the need for manual intervention; Make the regular process reflect practice. 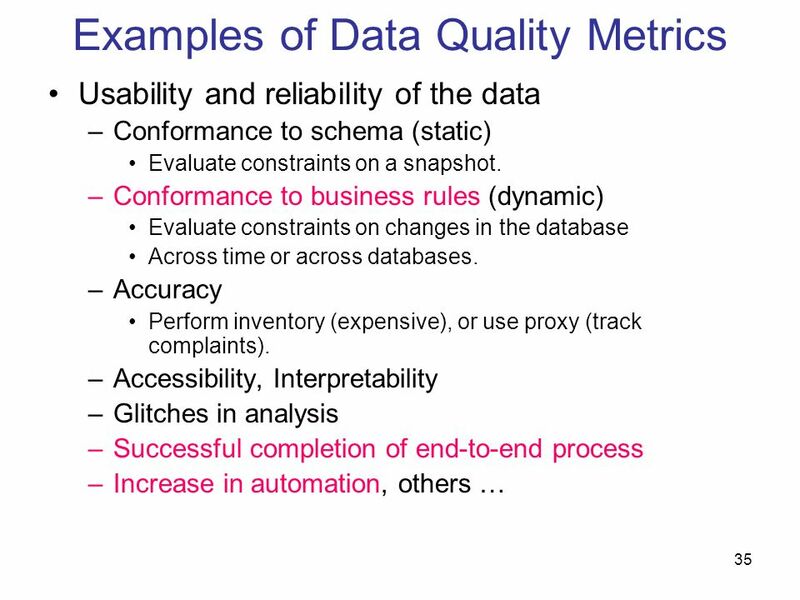 Defining data quality metrics is key Defines and measures the problem. 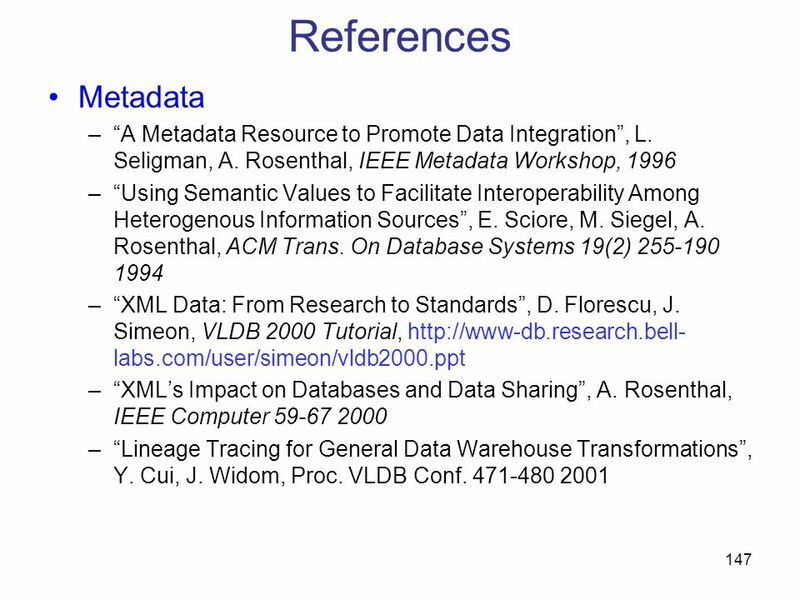 Creates metadata. 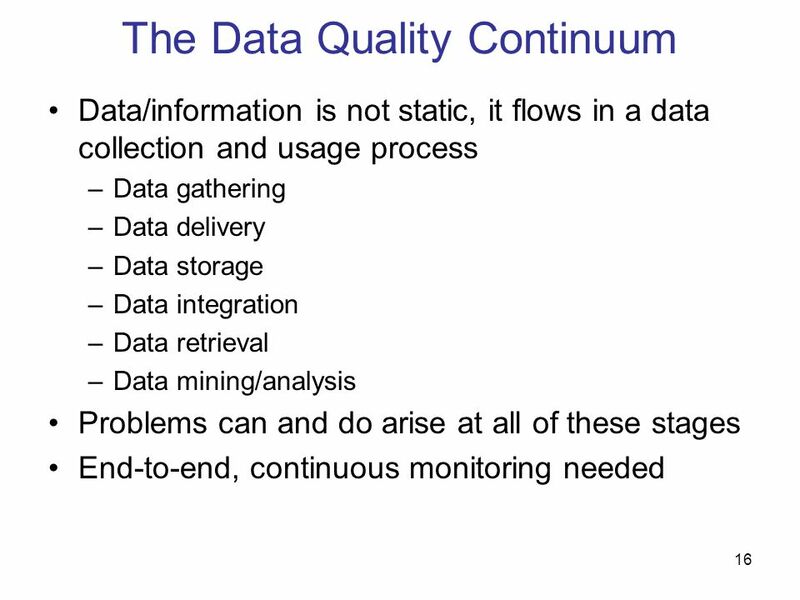 Organization-wide data quality Need to show $$ impact and get blessings of top brass Data steward for the end-to-end process. 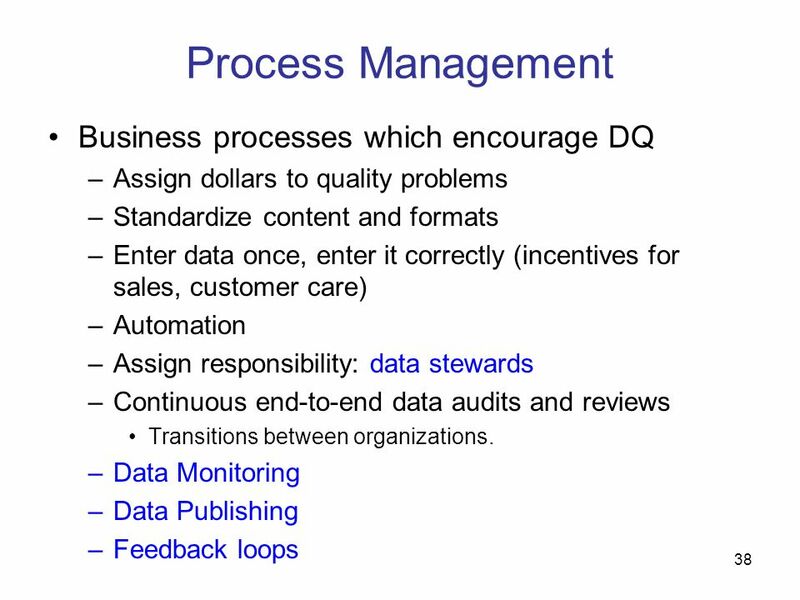 Data publishing to establish feedback loops. 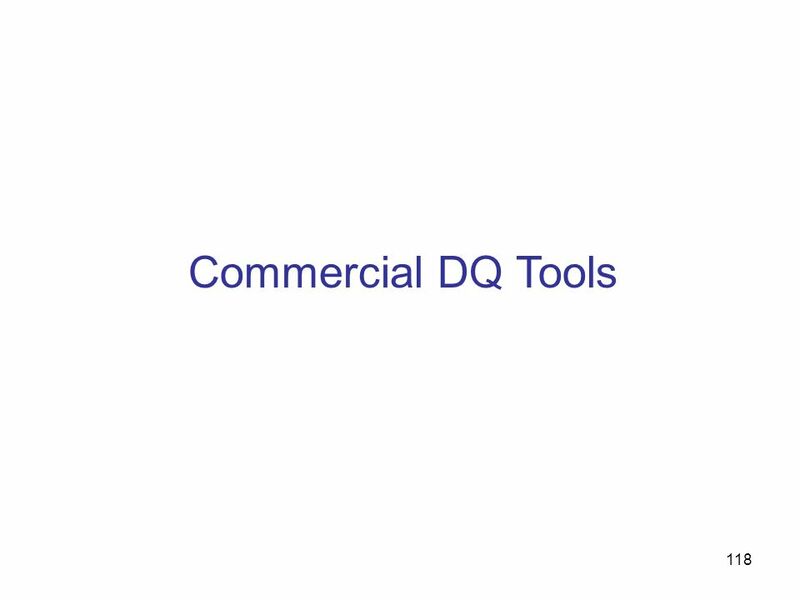 The SAS Data Quality Solution bundles the following tools: SAS/Warehouse Administrator software: structures operational data. 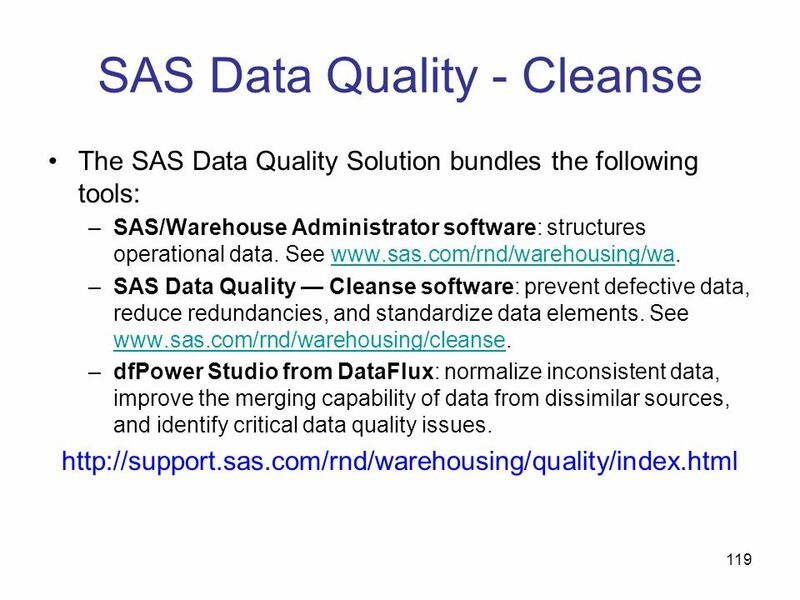 See SAS Data Quality — Cleanse software: prevent defective data, reduce redundancies, and standardize data elements. 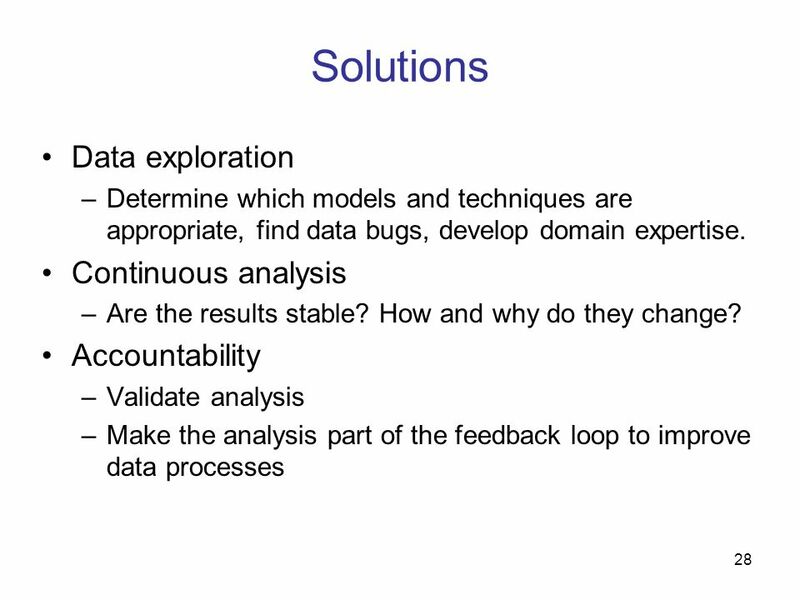 See dfPower Studio from DataFlux: normalize inconsistent data, improve the merging capability of data from dissimilar sources, and identify critical data quality issues. 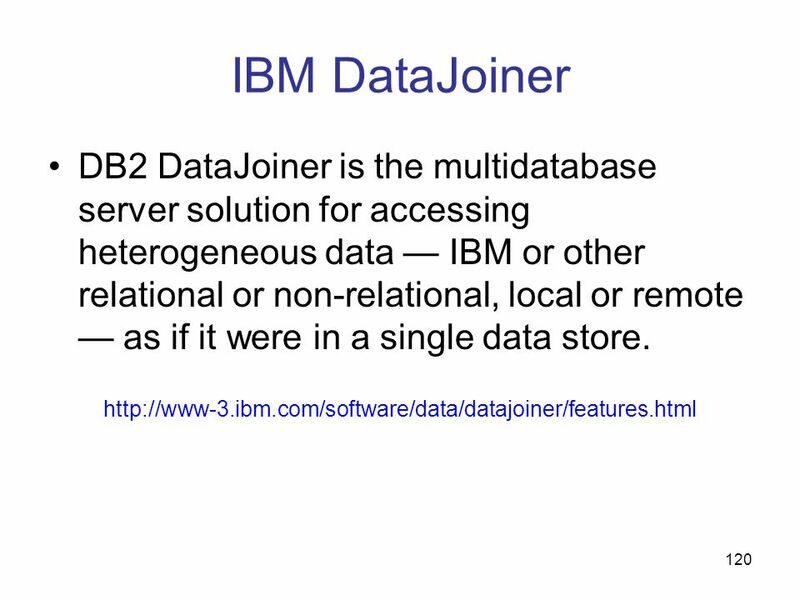 120 IBM DataJoiner DB2 DataJoiner is the multidatabase server solution for accessing heterogeneous data — IBM or other relational or non-relational, local or remote — as if it were in a single data store. 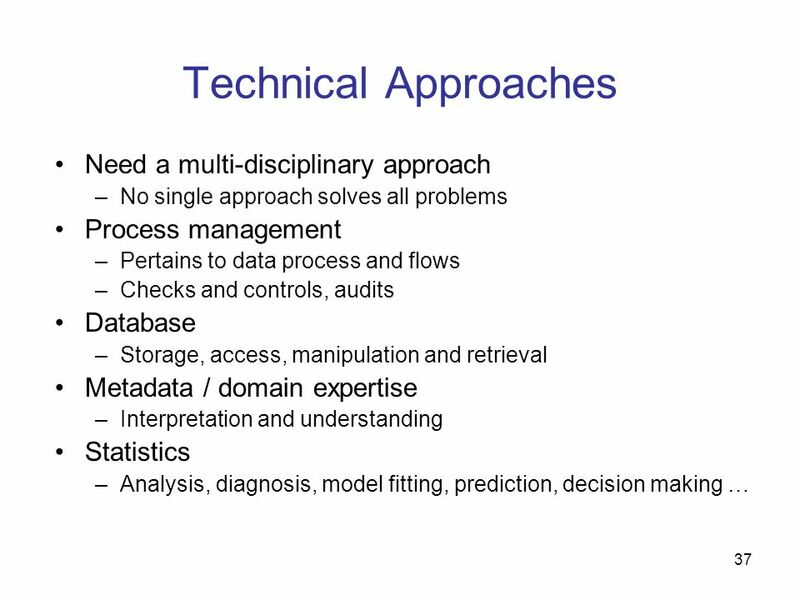 Multifaceted nature Problems are introduced at all stages of the process. but especially at organization boundaries. 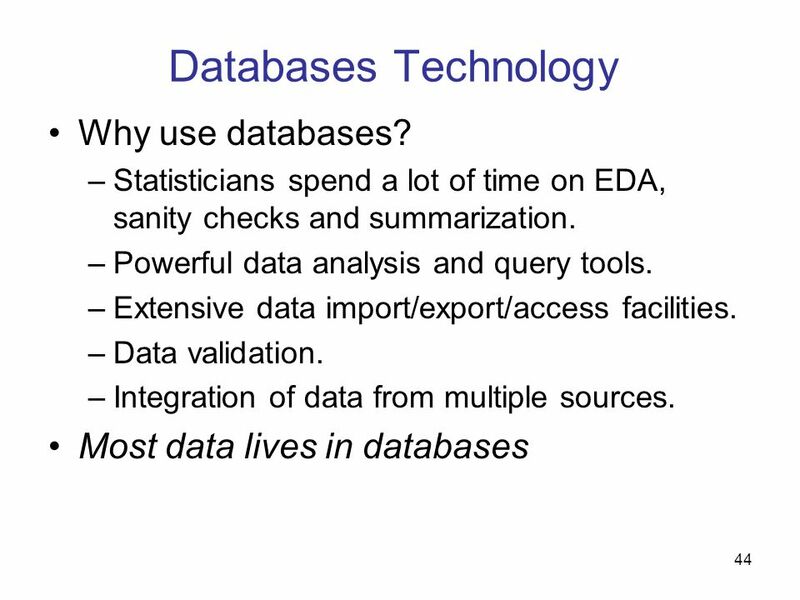 Many types of data and applications. 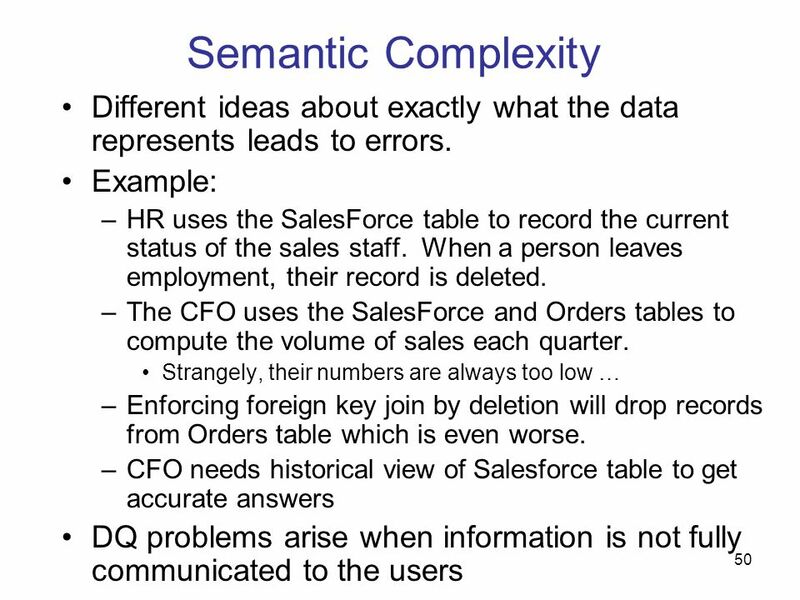 Highly complex and context-dependent The processes and entities are complex. Many problems in many forms. 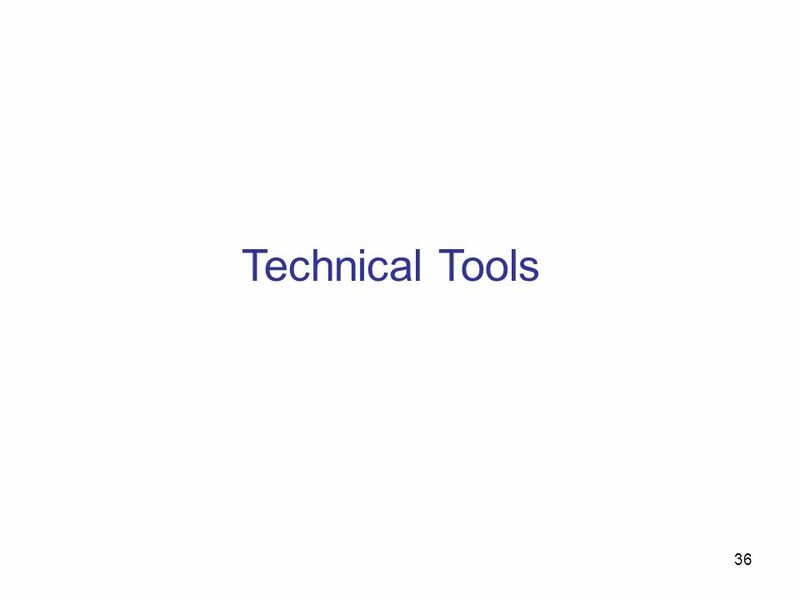 No silver bullet Need an array of tools. And the discipline to use them. 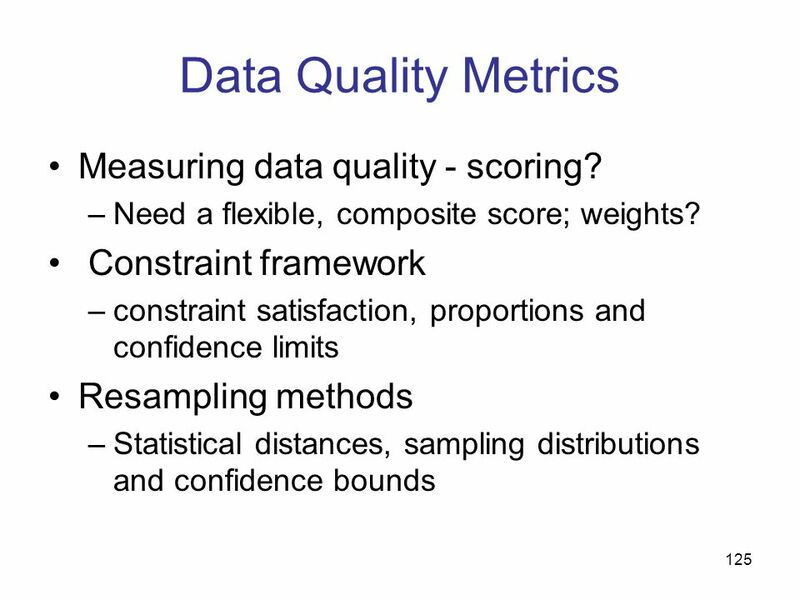 125 Data Quality Metrics Measuring data quality - scoring? 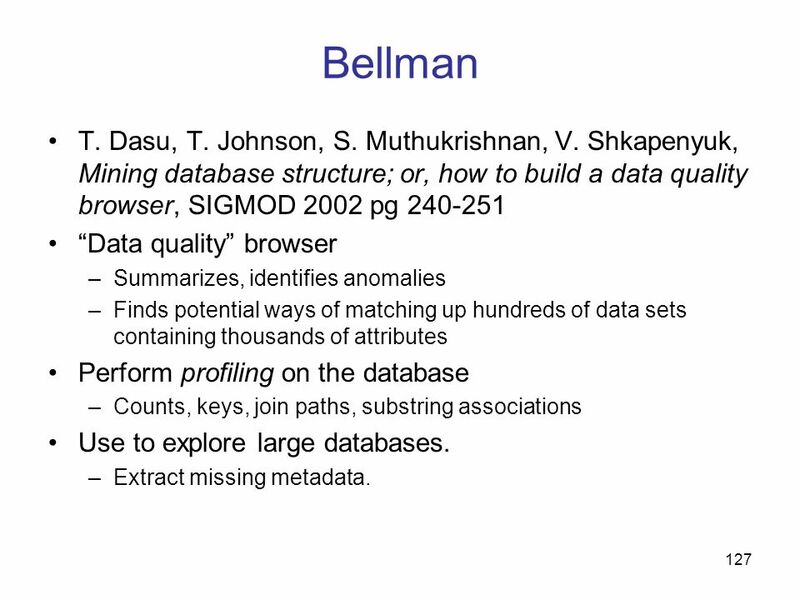 127 Bellman T. Dasu, T. Johnson, S. Muthukrishnan, V. Shkapenyuk, Mining database structure; or, how to build a data quality browser, SIGMOD 2002 pg “Data quality” browser Summarizes, identifies anomalies Finds potential ways of matching up hundreds of data sets containing thousands of attributes Perform profiling on the database Counts, keys, join paths, substring associations Use to explore large databases. 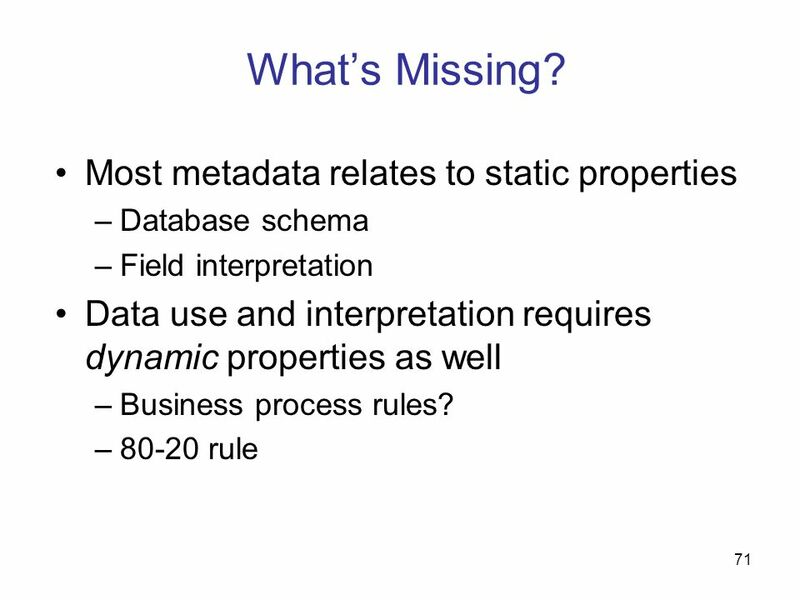 Extract missing metadata. H.V. 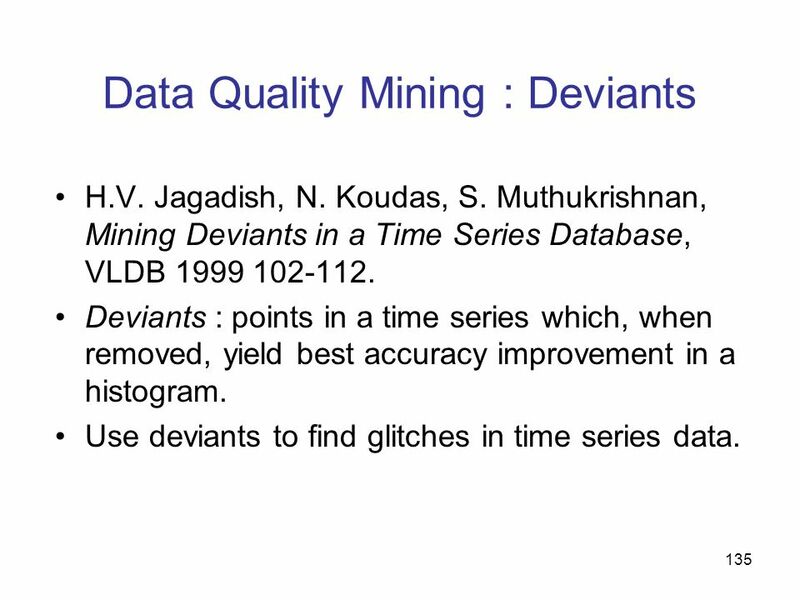 Jagadish, N. Koudas, S. Muthukrishnan, Mining Deviants in a Time Series Database, VLDB Deviants : points in a time series which, when removed, yield best accuracy improvement in a histogram. 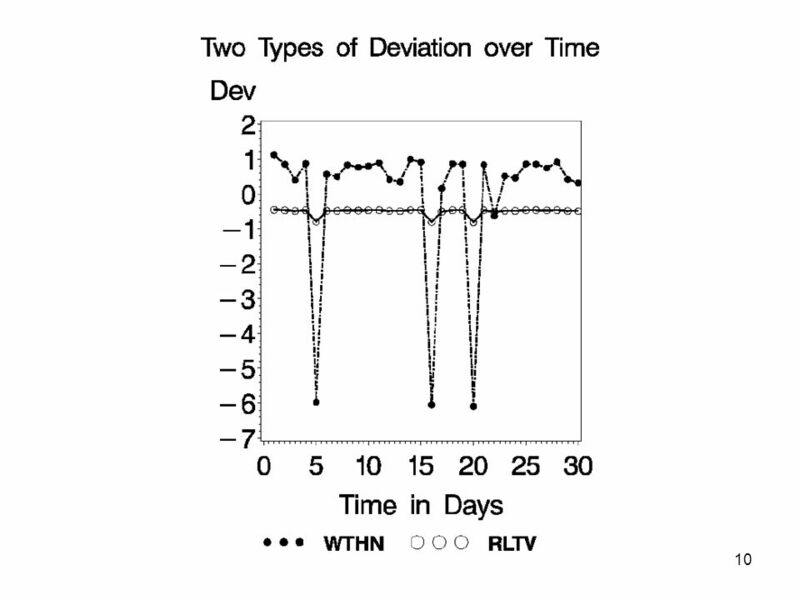 Use deviants to find glitches in time series data. 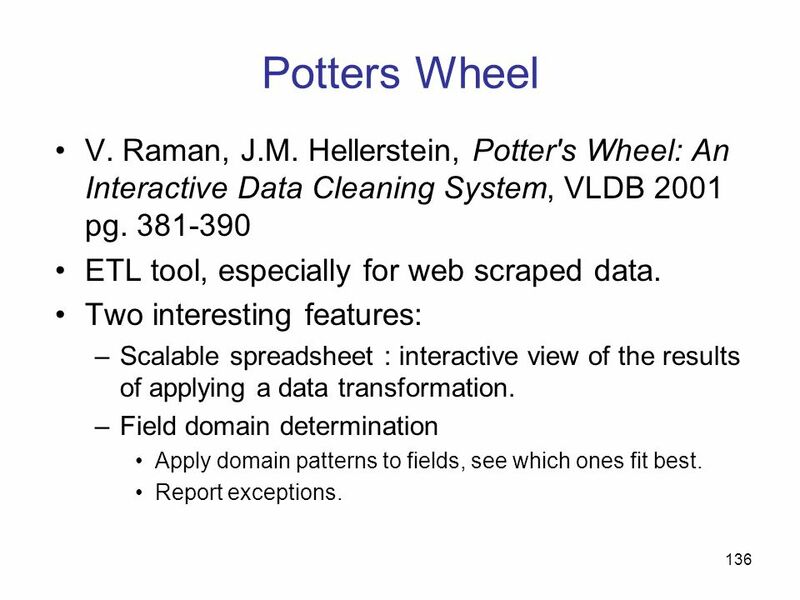 136 Potters Wheel V. Raman, J.M. 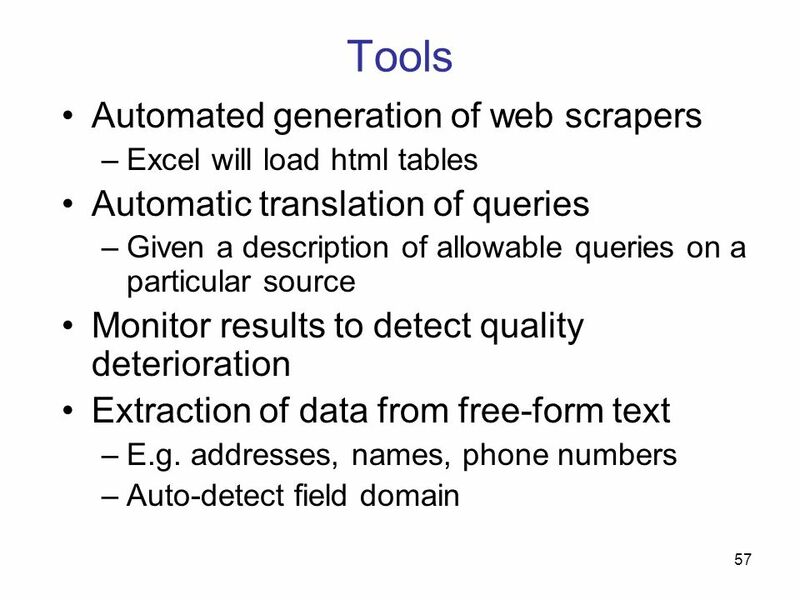 Hellerstein, Potter's Wheel: An Interactive Data Cleaning System, VLDB 2001 pg ETL tool, especially for web scraped data. 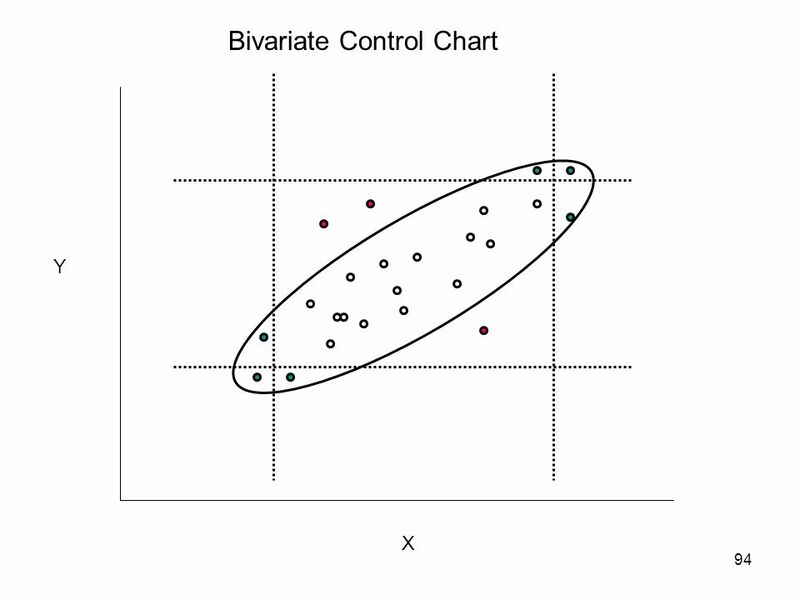 Two interesting features: Scalable spreadsheet : interactive view of the results of applying a data transformation. 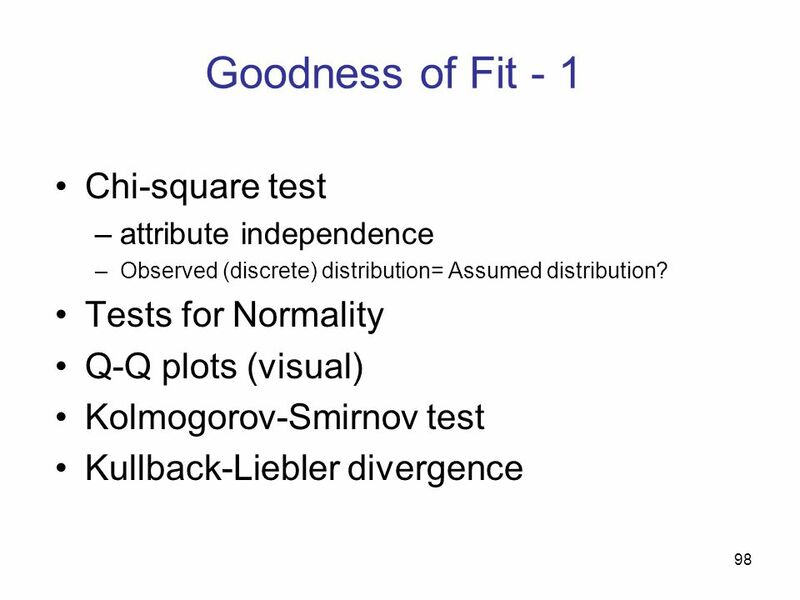 Field domain determination Apply domain patterns to fields, see which ones fit best. Report exceptions. 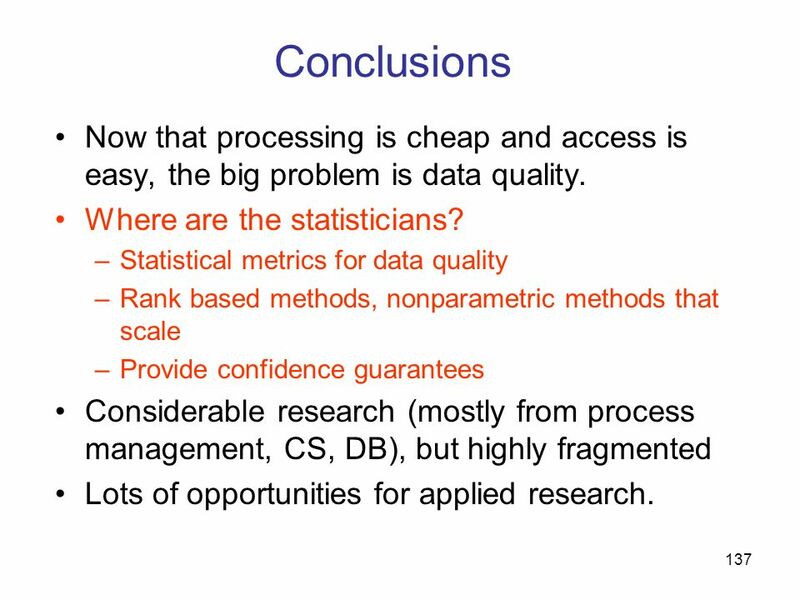 137 Conclusions Now that processing is cheap and access is easy, the big problem is data quality. 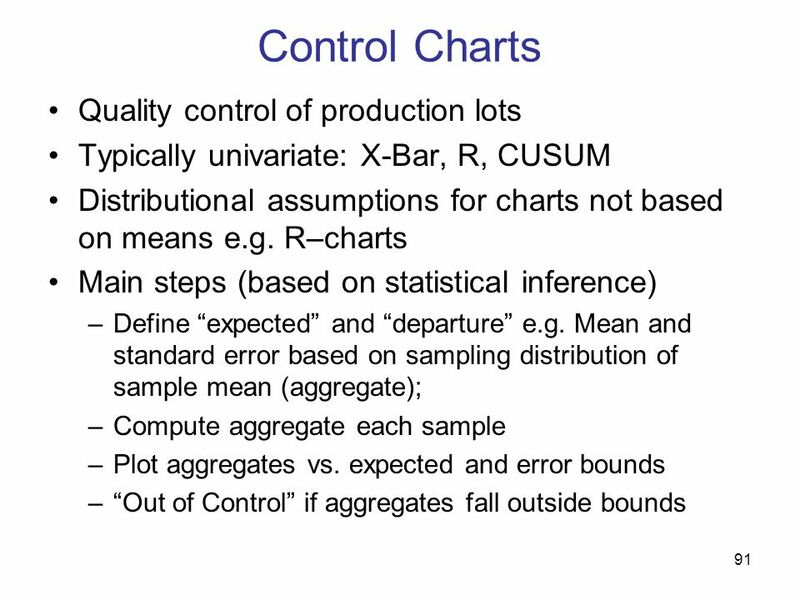 Where are the statisticians? 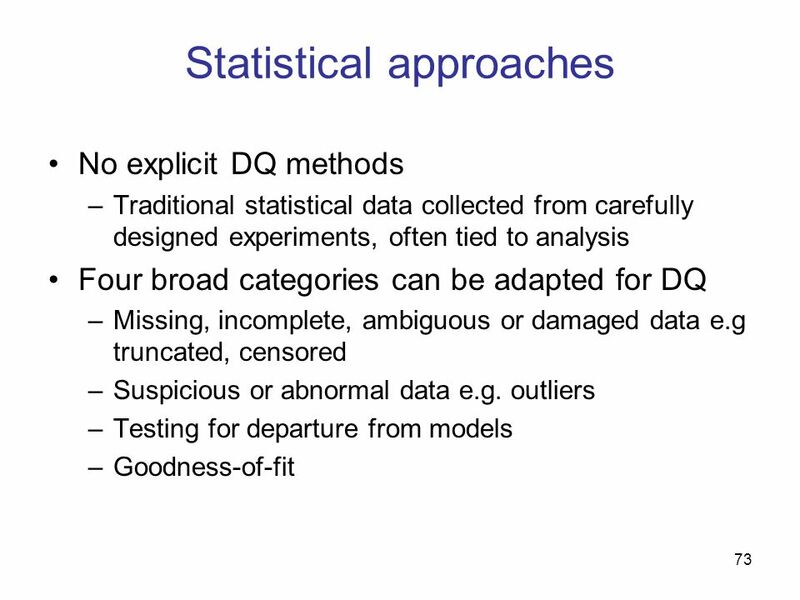 Statistical metrics for data quality Rank based methods, nonparametric methods that scale Provide confidence guarantees Considerable research (mostly from process management, CS, DB), but highly fragmented Lots of opportunities for applied research. 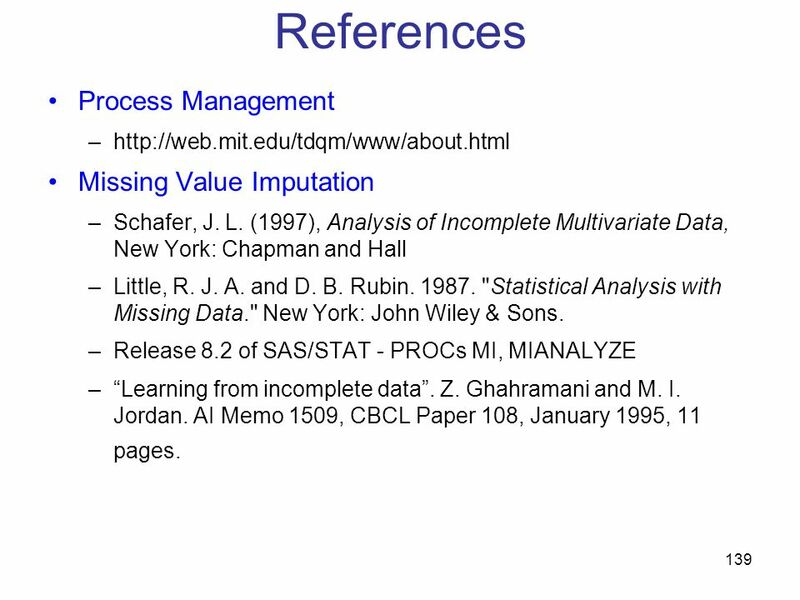 Missing Value Imputation Schafer, J. L. (1997), Analysis of Incomplete Multivariate Data, New York: Chapman and Hall Little, R. J. 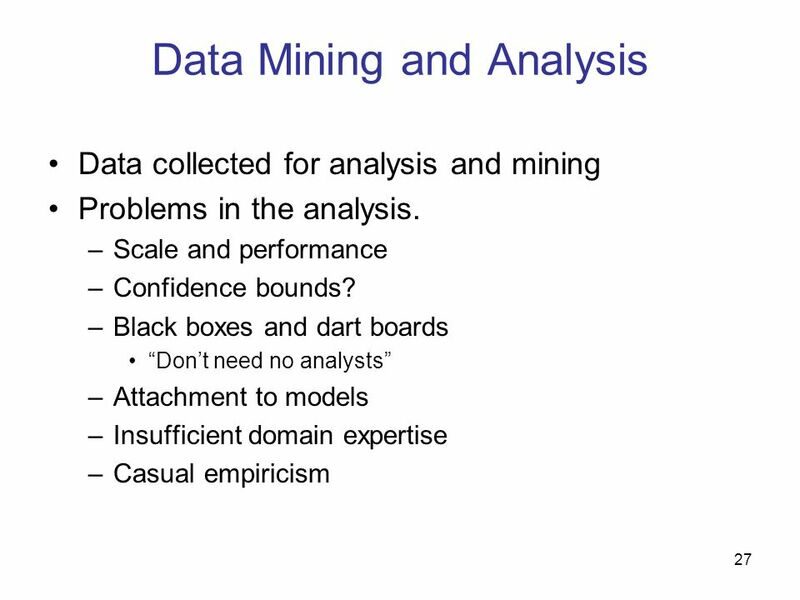 A. and D. B. Rubin "Statistical Analysis with Missing Data." New York: John Wiley & Sons. 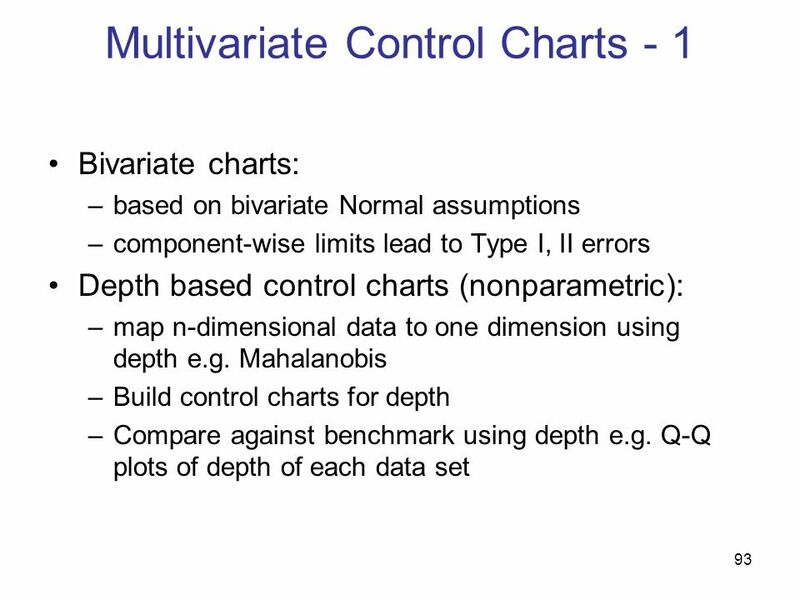 Release 8.2 of SAS/STAT - PROCs MI, MIANALYZE “Learning from incomplete data”. Z. Ghahramani and M. I. Jordan. 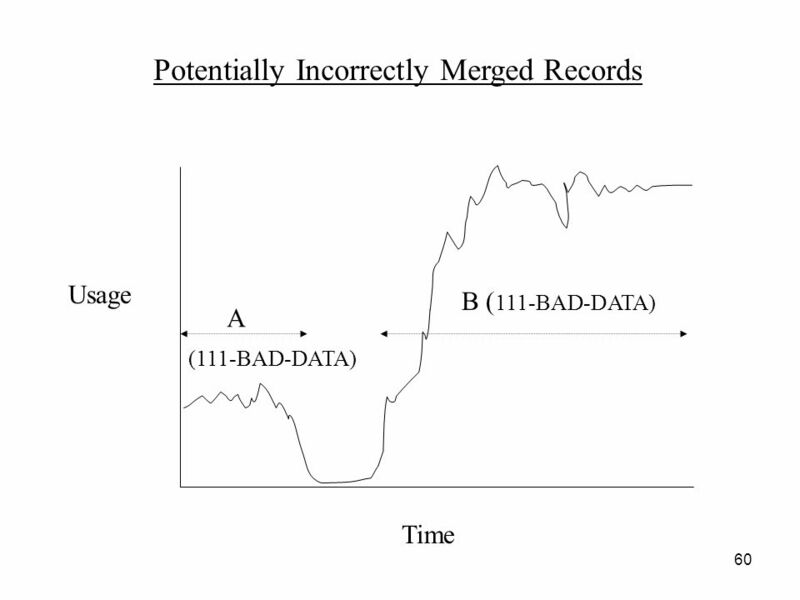 AI Memo 1509, CBCL Paper 108, January 1995, 11 pages. 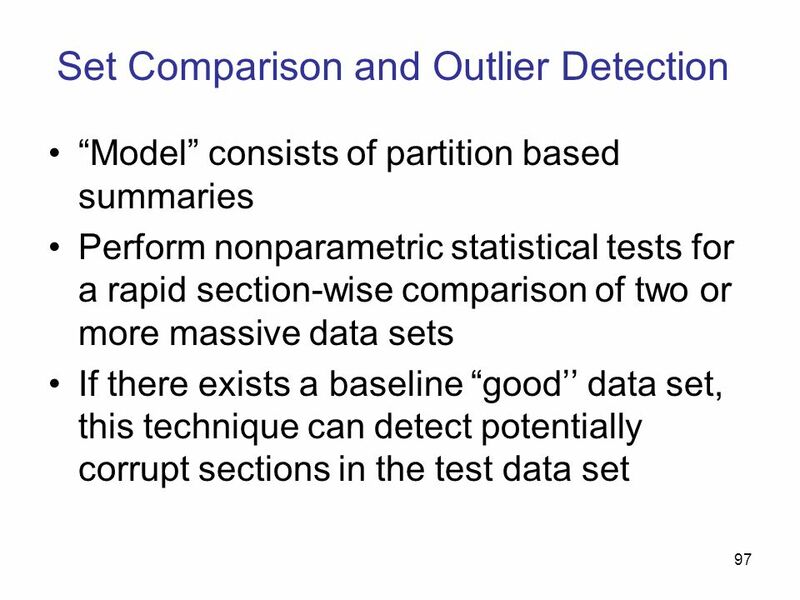 Theodore Johnson, Tamraparni Dasu: Comparing Massive High-Dimensional Data Sets. 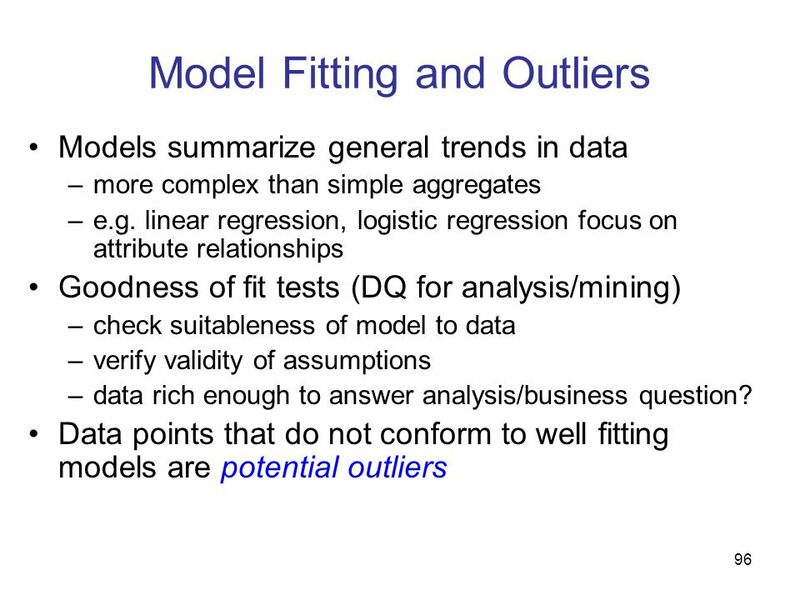 KDD 1998: Venkatesh Ganti, Johannes Gehrke, Raghu Ramakrishnan: A Framework for Measuring Changes in Data Characteristics. 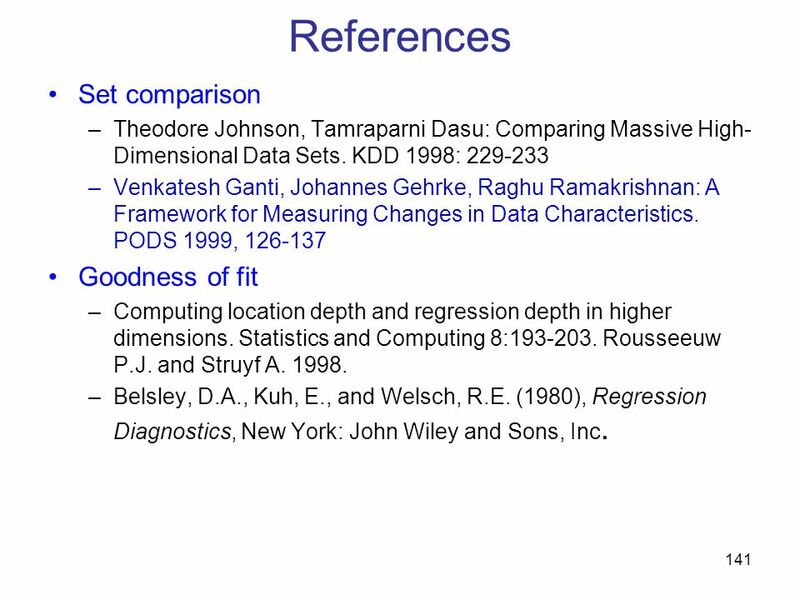 PODS 1999, Goodness of fit Computing location depth and regression depth in higher dimensions. 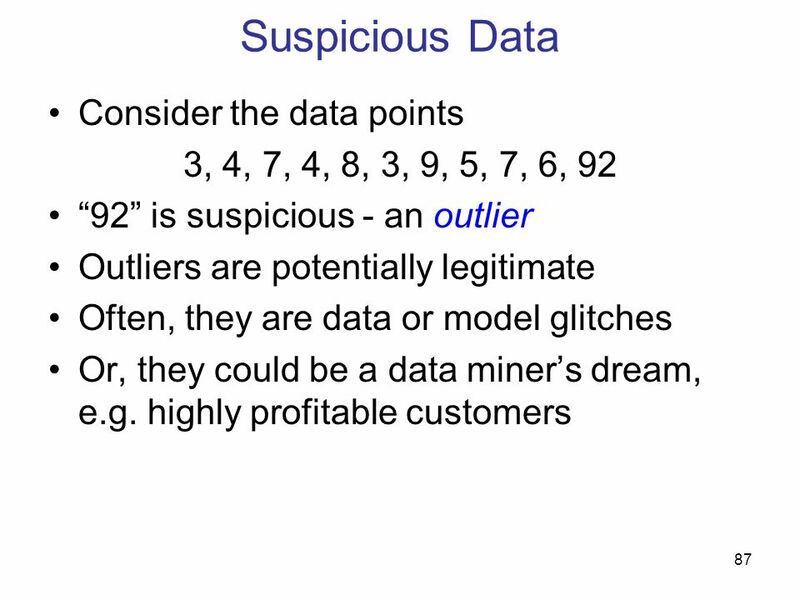 Statistics and Computing 8: Rousseeuw P.J. and Struyf A Belsley, D.A., Kuh, E., and Welsch, R.E. 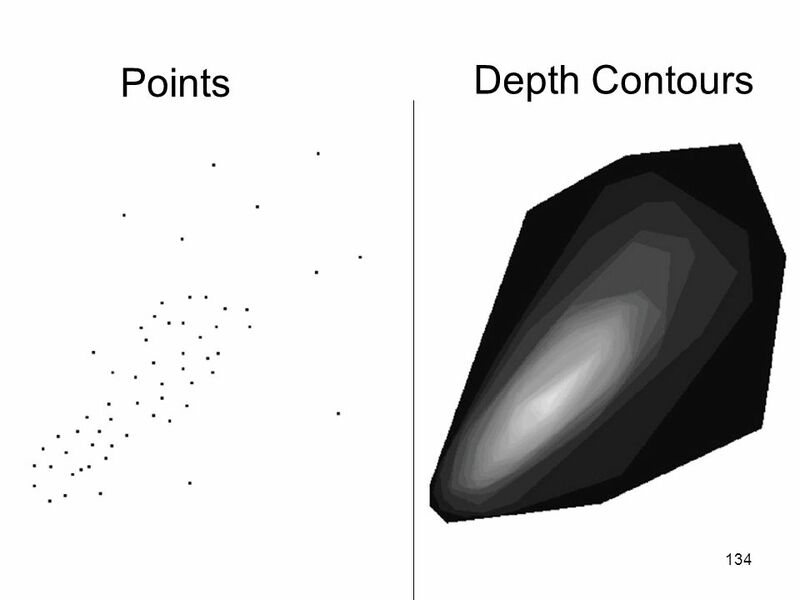 (1980), Regression Diagnostics, New York: John Wiley and Sons, Inc.
Computational Geometry: An Introduction”, Preparata, Shamos, Springer-Verlag 1988 “Fast Computation of 2-Dimensional Depth Contours”, T. Johnson, I. Kwok, R. Ng, Proc. Conf. 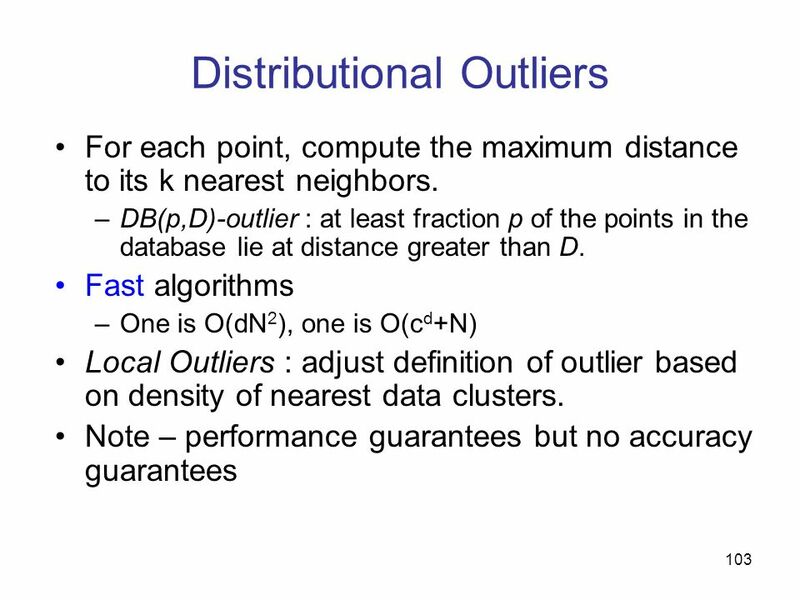 Knowledge Discovery and Data Mining pg Distributional Outliers “Algorithms for Mining Distance-Based Outliers in Large Datasets”, E.M. Knorr, R. Ng, Proc. VLDB Conf. 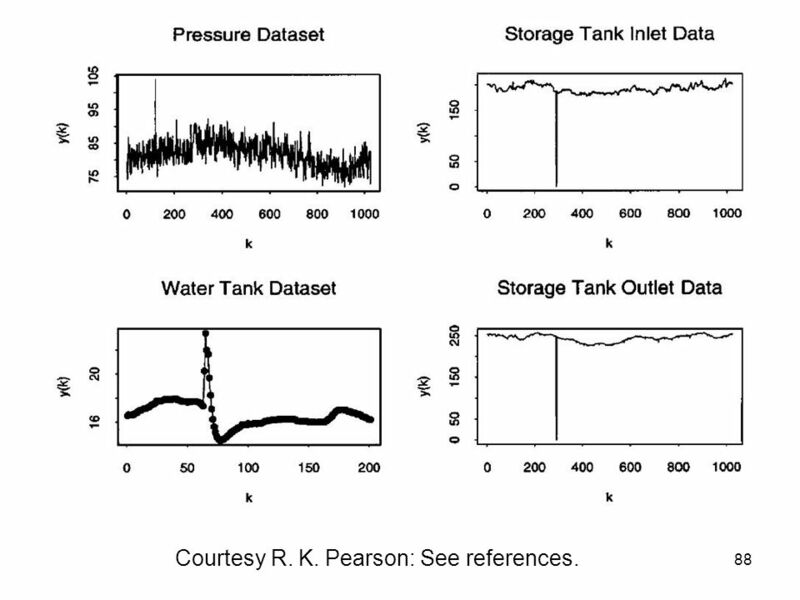 1998 “LOF: Identifying Density-Based Local Outliers”, M.M. Breunig, H.-P. Kriegel, R. Ng, J. Sander, Proc. 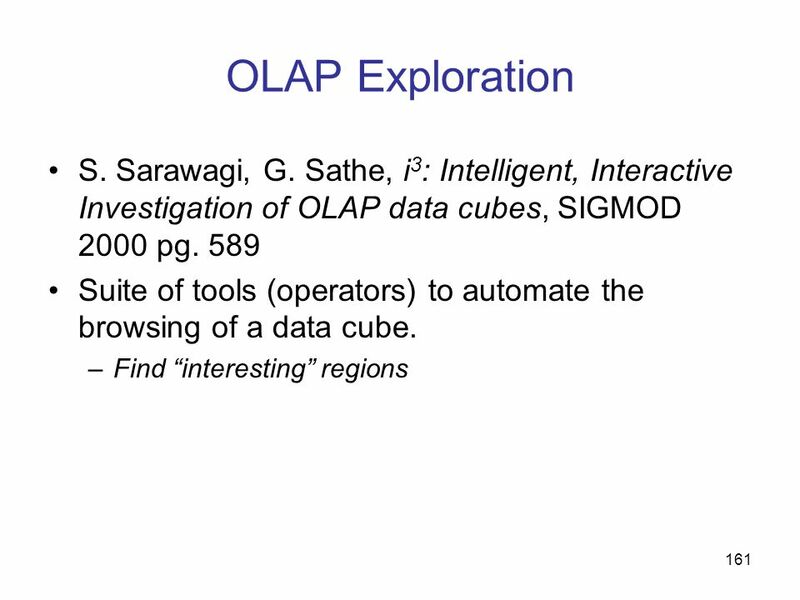 SIGMOD Conf. 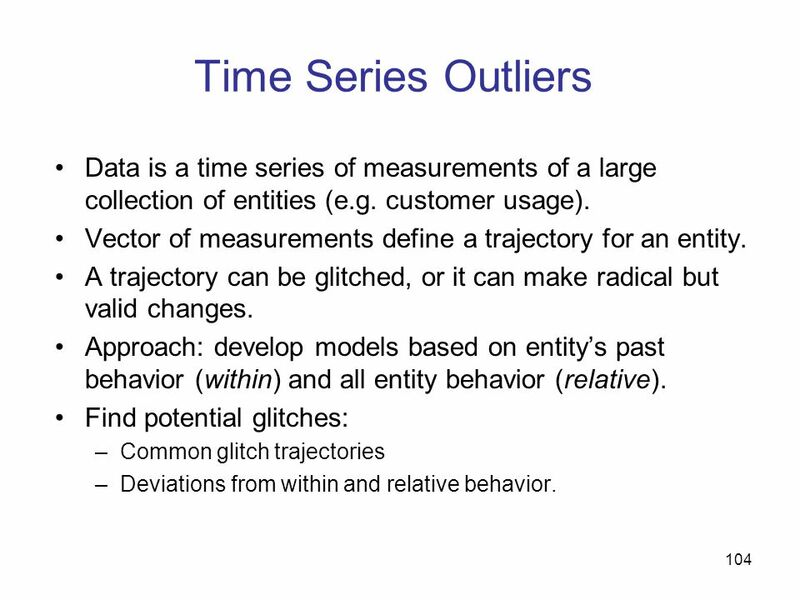 2000 Time Series Outliers “Hunting data glitches in massive time series data”, T. Dasu, T. Johnson, MIT Workshop on Information Quality 2000. 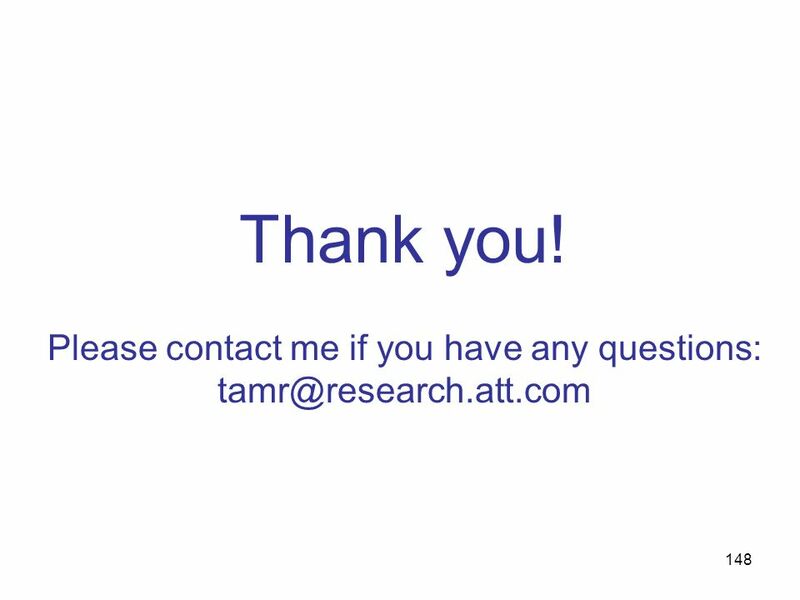 “Automatically Extracting Structure from Free Text Addresses”, V.R. 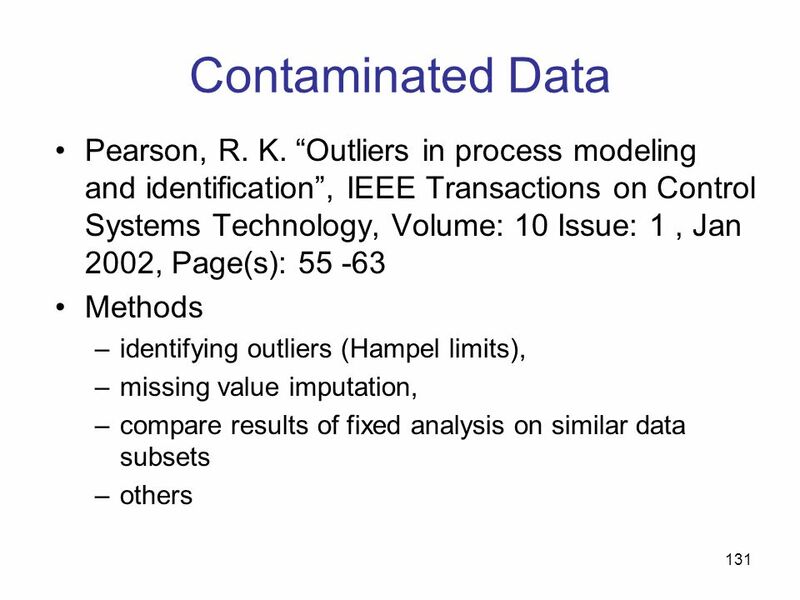 Borkar, K. Deshmukh, S. Sarawagi, Data Engineering Bulletin 23(4) 27-32, 2000 “Potters Wheel: An Interactive Data Cleaning System”, V. Raman and J.M. Hellerstein, Proc. 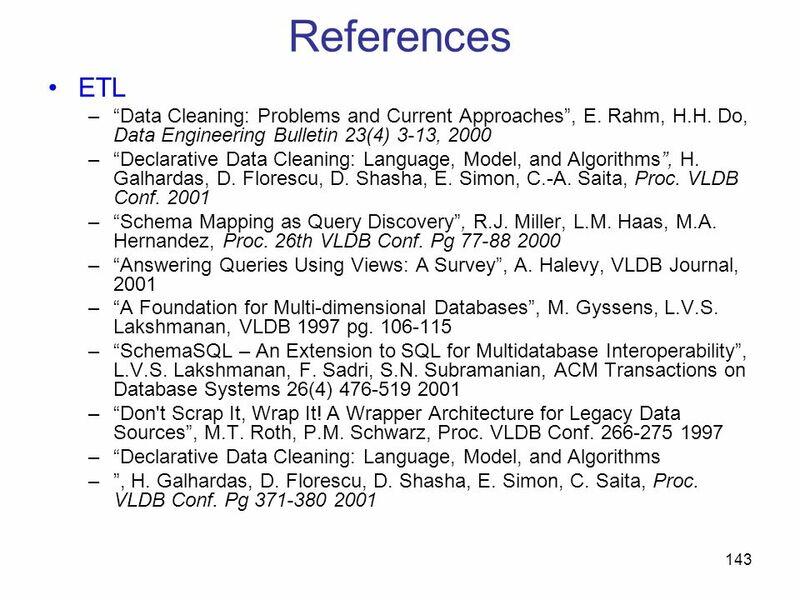 VLDB 2001 “Accurately and Reliably Extracting Data From the Web”, C.A. 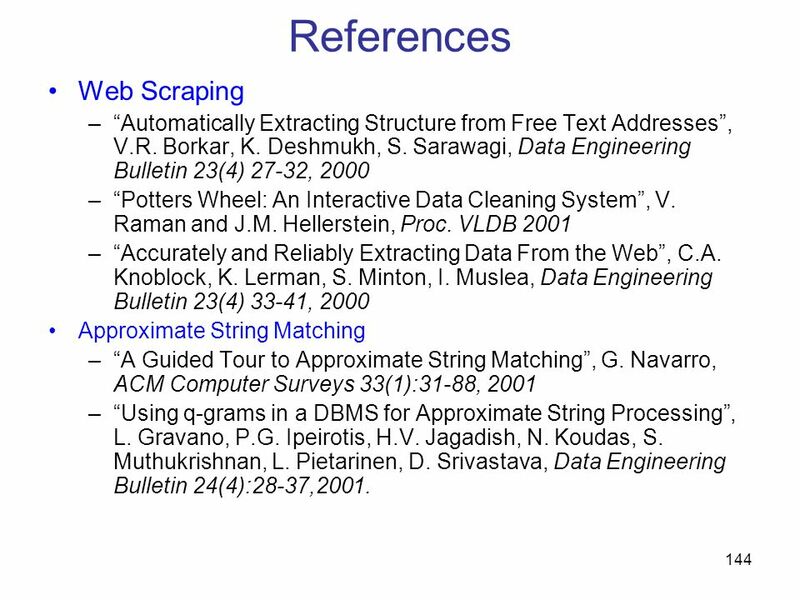 Knoblock, K. Lerman, S. Minton, I. Muslea, Data Engineering Bulletin 23(4) 33-41, 2000 Approximate String Matching “A Guided Tour to Approximate String Matching”, G. Navarro, ACM Computer Surveys 33(1):31-88, 2001 “Using q-grams in a DBMS for Approximate String Processing”, L. Gravano, P.G. Ipeirotis, H.V. 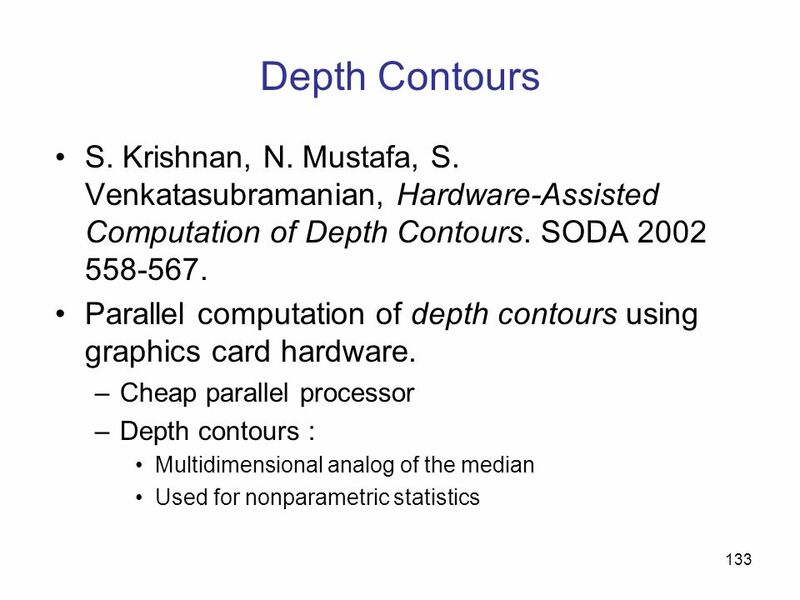 Jagadish, N. Koudas, S. Muthukrishnan, L. Pietarinen, D. Srivastava, Data Engineering Bulletin 24(4):28-37,2001. 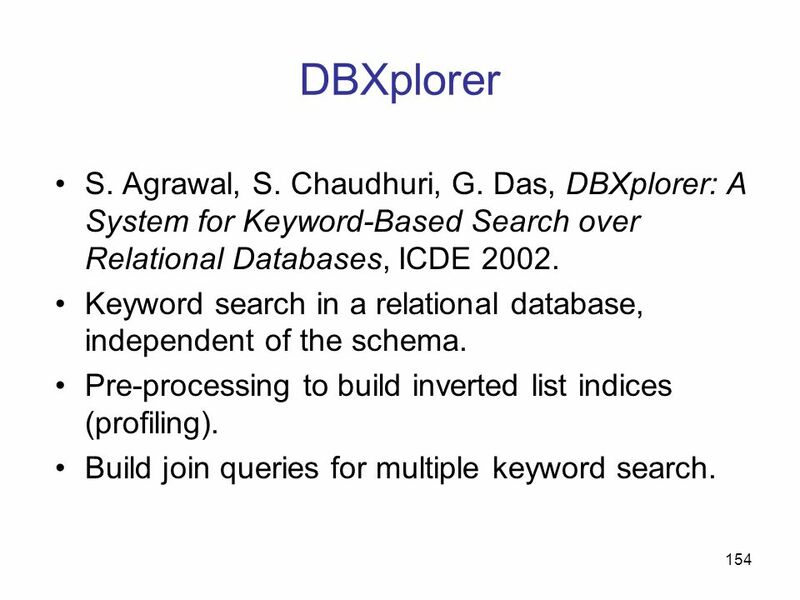 154 DBXplorer S. Agrawal, S. Chaudhuri, G. Das, DBXplorer: A System for Keyword-Based Search over Relational Databases, ICDE 2002. 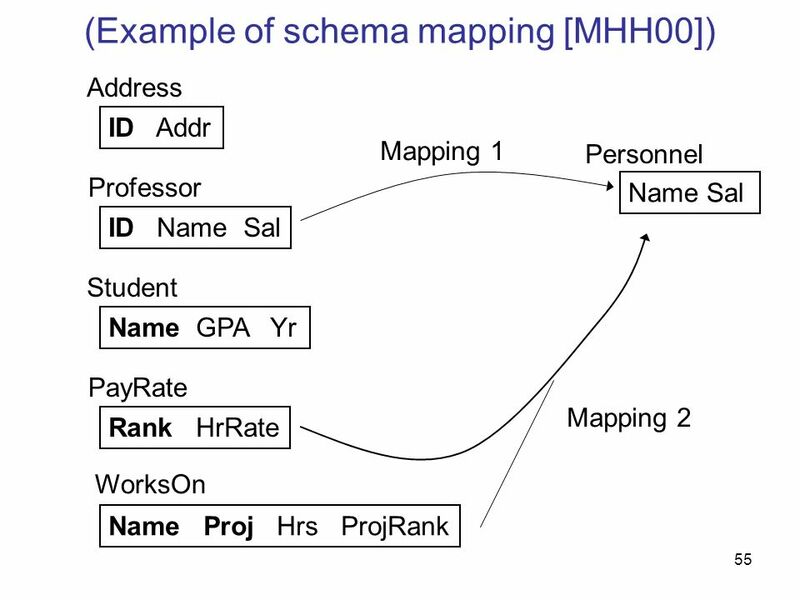 Keyword search in a relational database, independent of the schema. 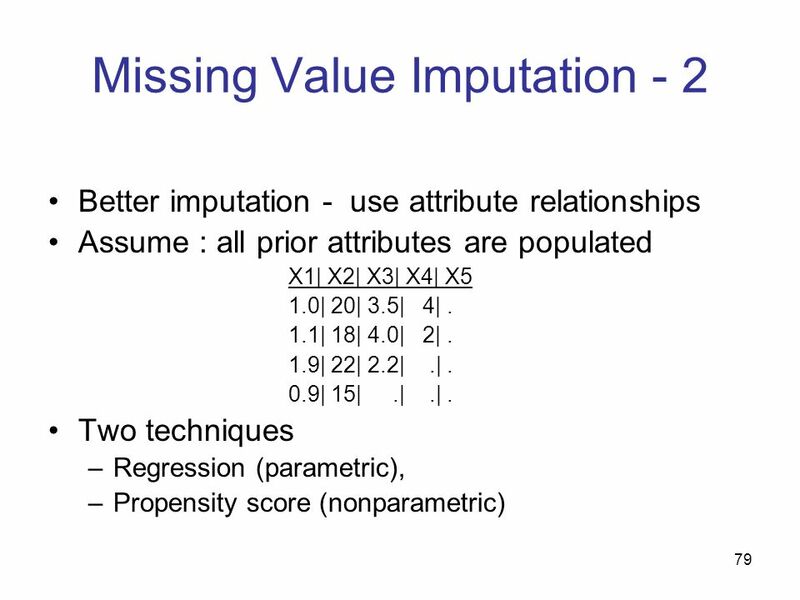 Pre-processing to build inverted list indices (profiling). 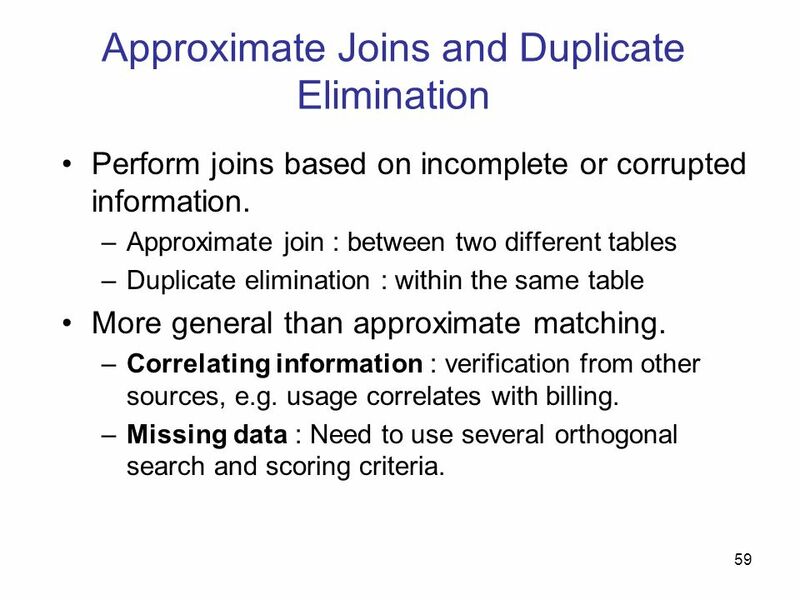 Build join queries for multiple keyword search. R.T. Ng, L.V.S. 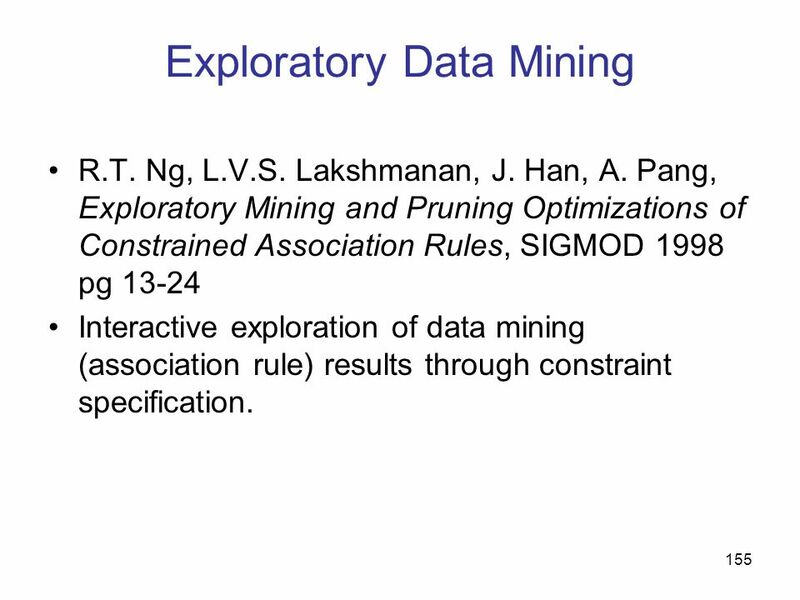 Lakshmanan, J. Han, A. Pang, Exploratory Mining and Pruning Optimizations of Constrained Association Rules, SIGMOD 1998 pg 13-24 Interactive exploration of data mining (association rule) results through constraint specification. M.A. Hernandez, R.J. Miller, L.M. 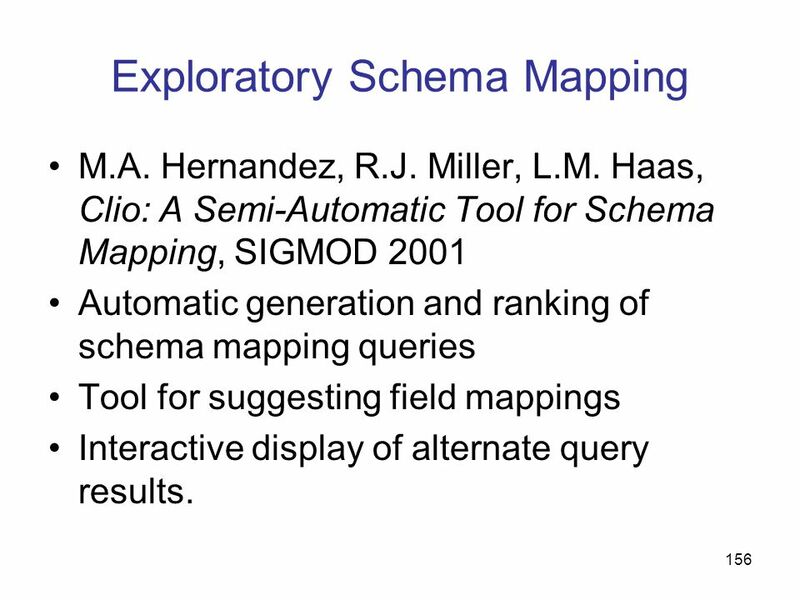 Haas, Clio: A Semi-Automatic Tool for Schema Mapping, SIGMOD 2001 Automatic generation and ranking of schema mapping queries Tool for suggesting field mappings Interactive display of alternate query results. 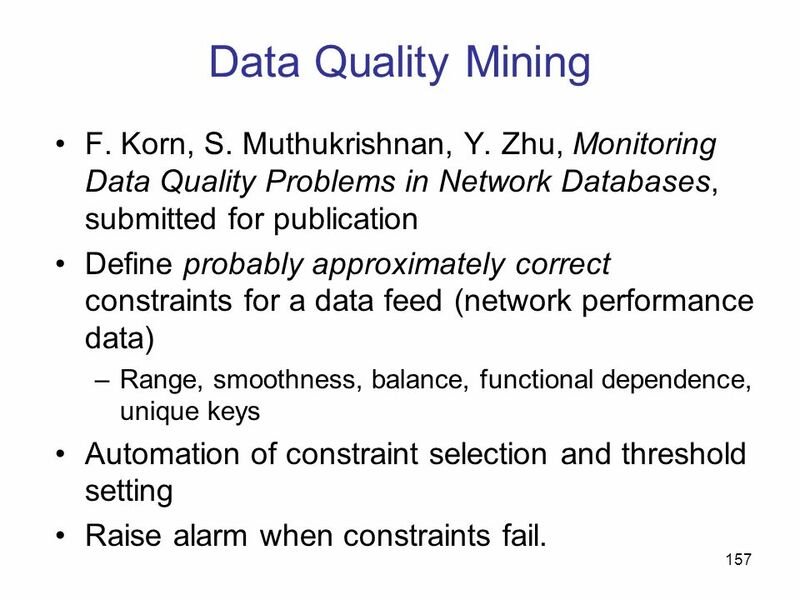 157 Data Quality Mining F. Korn, S. Muthukrishnan, Y. Zhu, Monitoring Data Quality Problems in Network Databases, submitted for publication Define probably approximately correct constraints for a data feed (network performance data) Range, smoothness, balance, functional dependence, unique keys Automation of constraint selection and threshold setting Raise alarm when constraints fail. J.D. 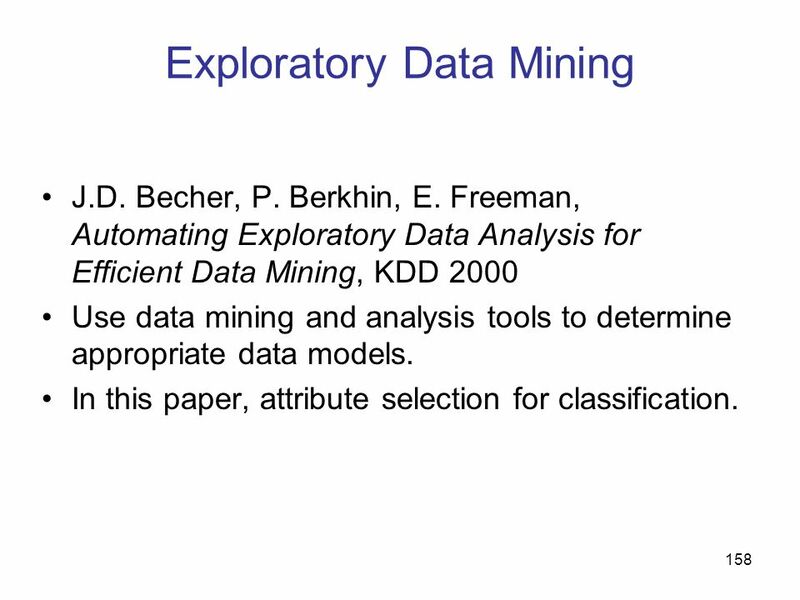 Becher, P. Berkhin, E. Freeman, Automating Exploratory Data Analysis for Efficient Data Mining, KDD 2000 Use data mining and analysis tools to determine appropriate data models. 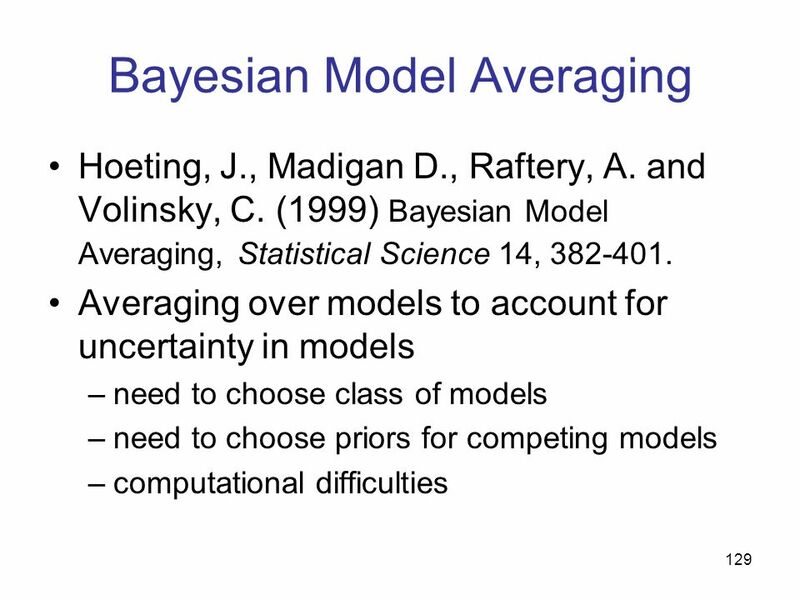 In this paper, attribute selection for classification. 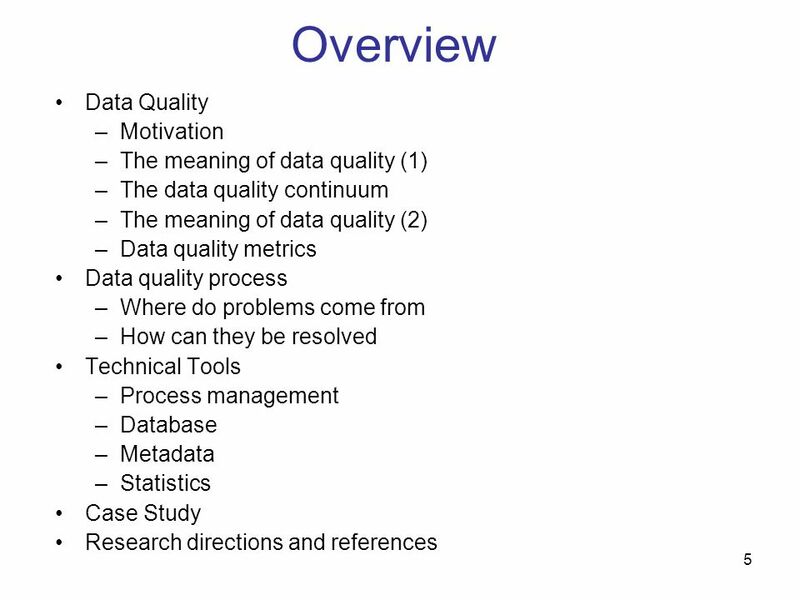 Download ppt "Data Quality and Data Cleaning: An Overview"